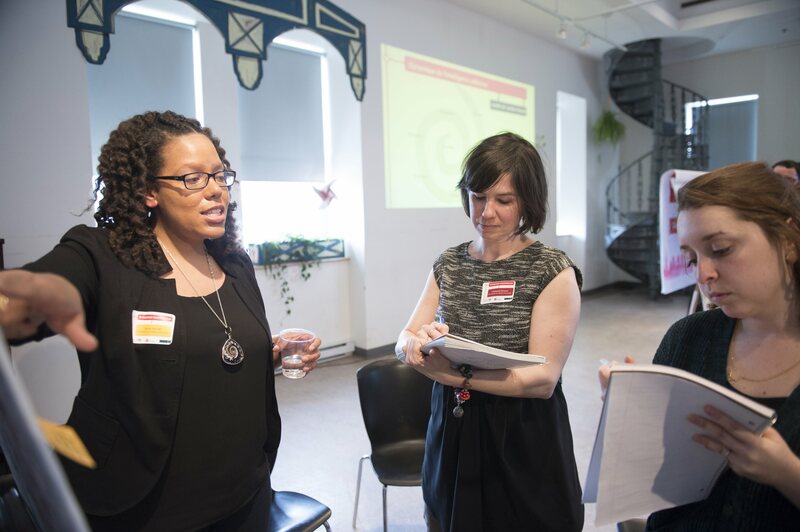 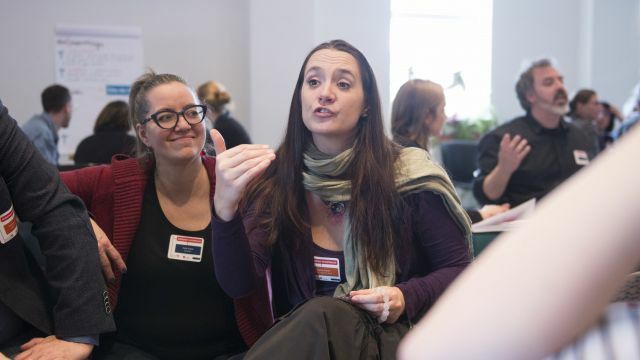 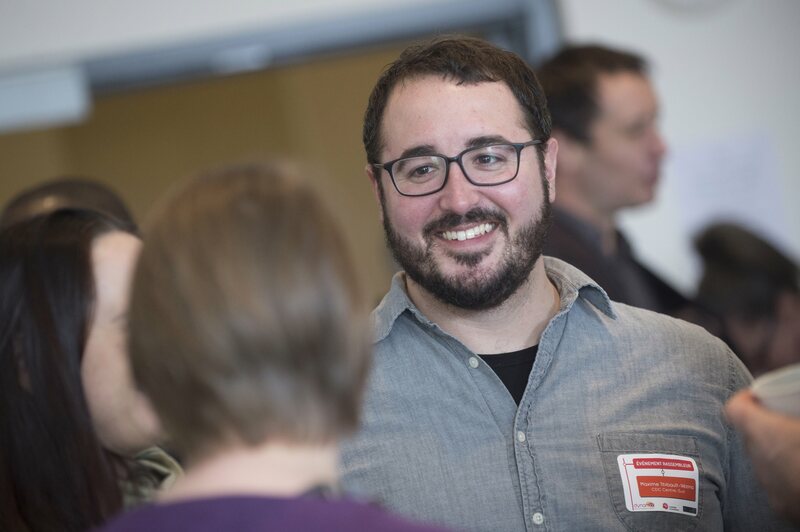 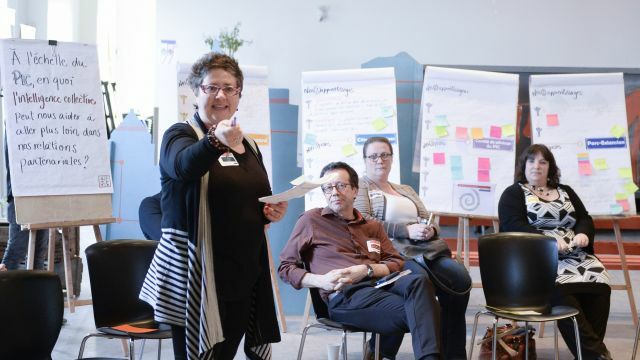 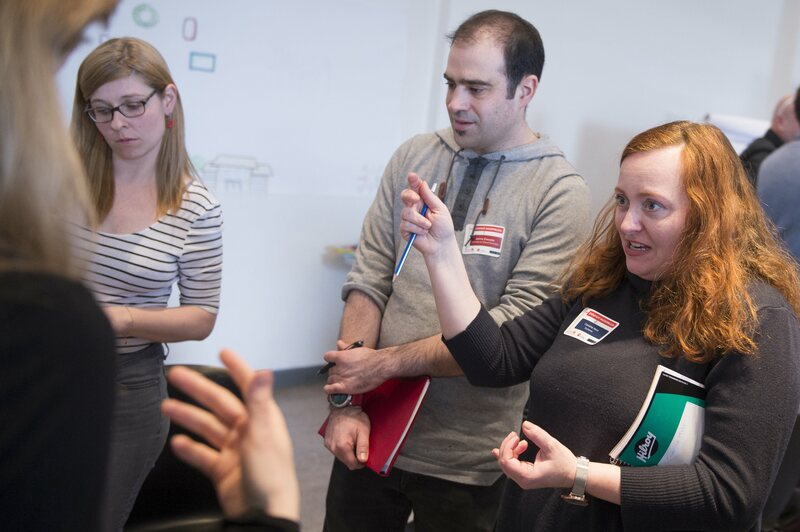 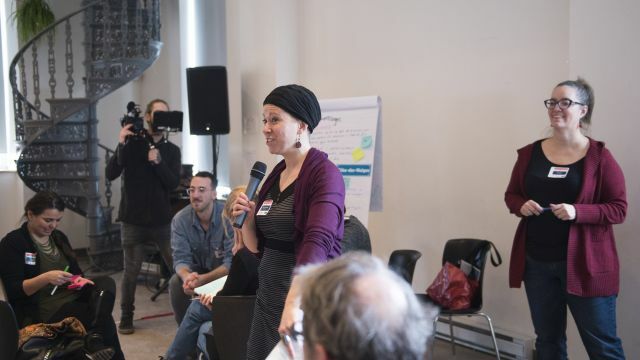 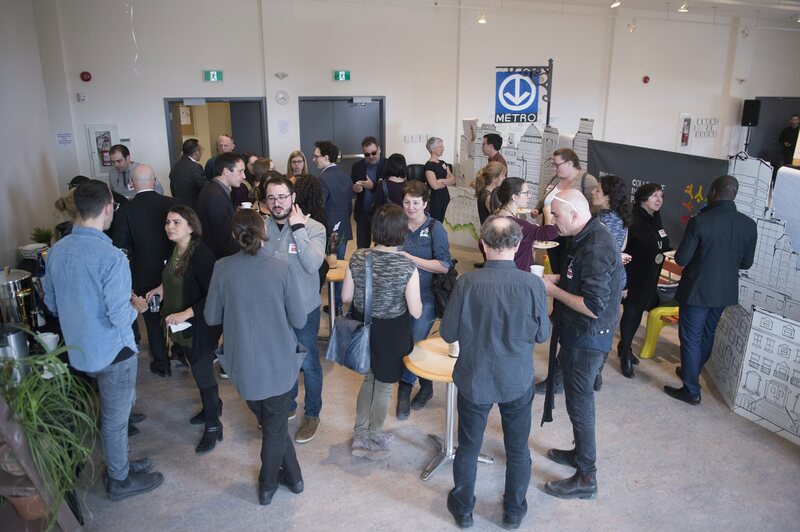 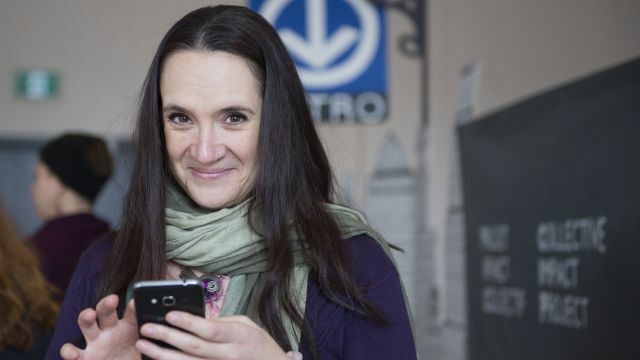 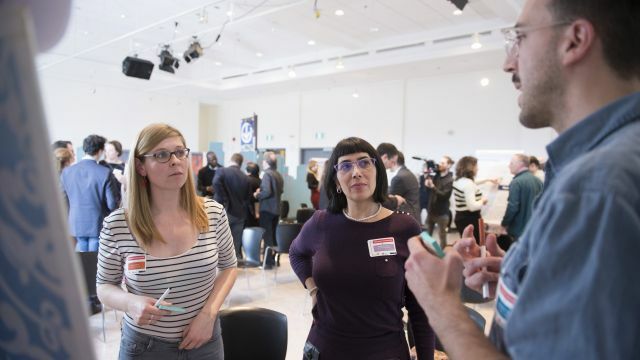 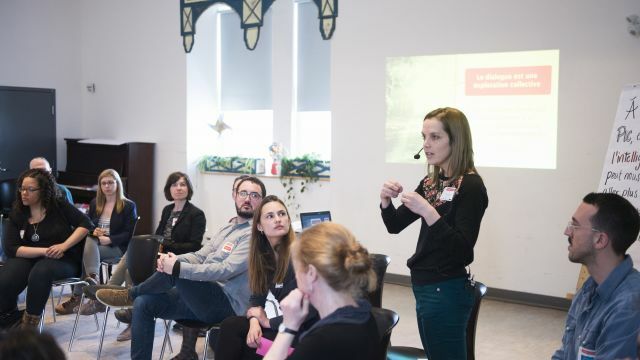 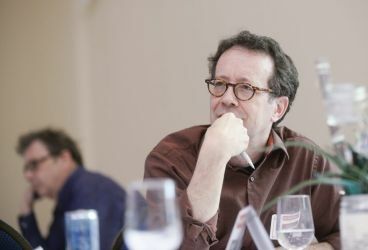 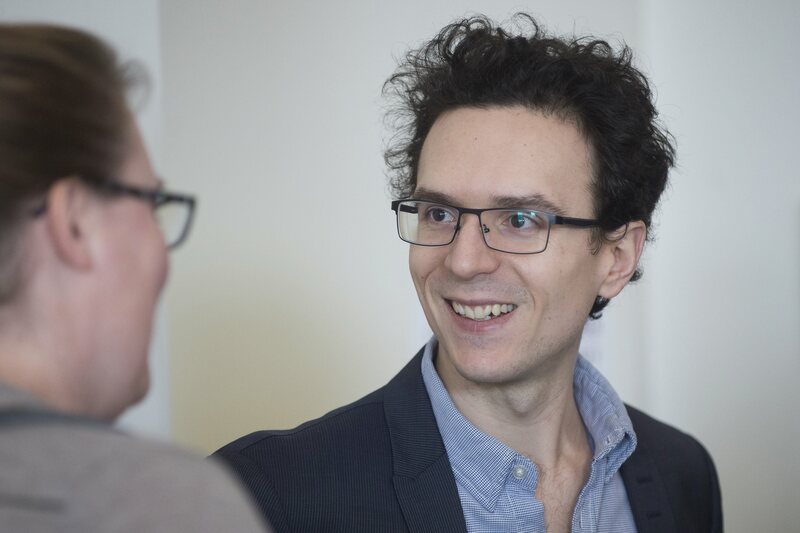 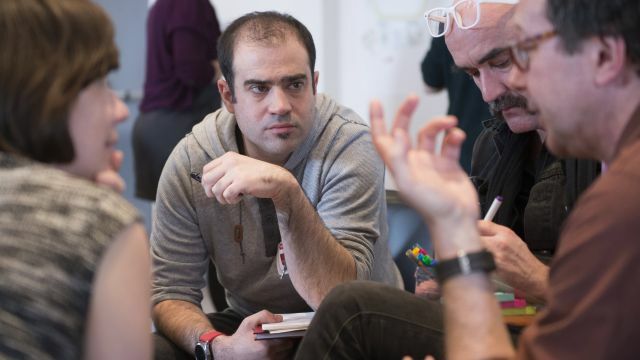 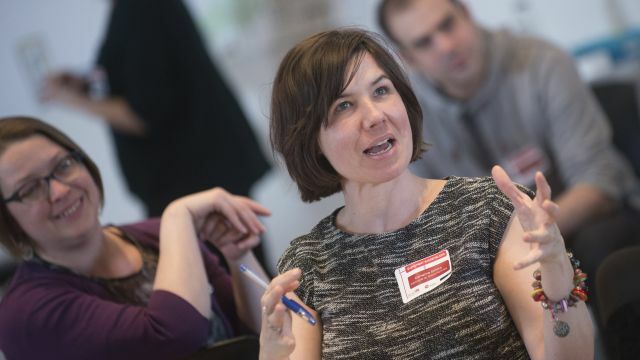 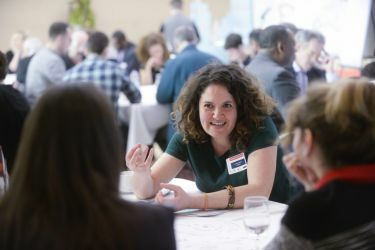 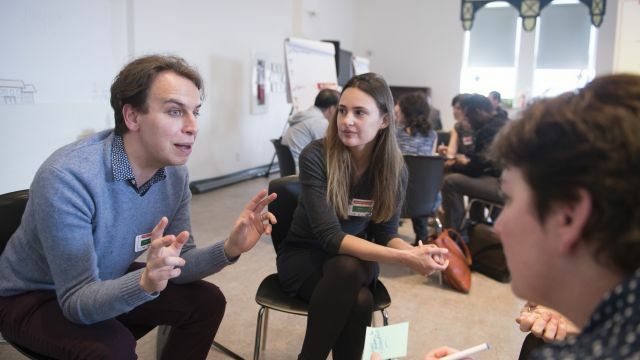 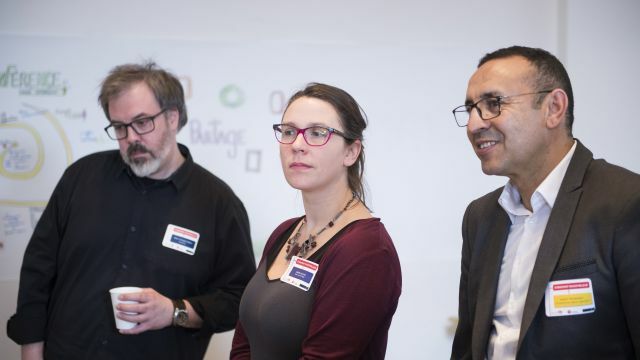 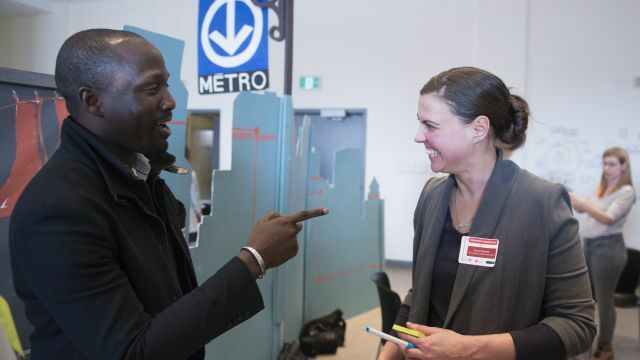 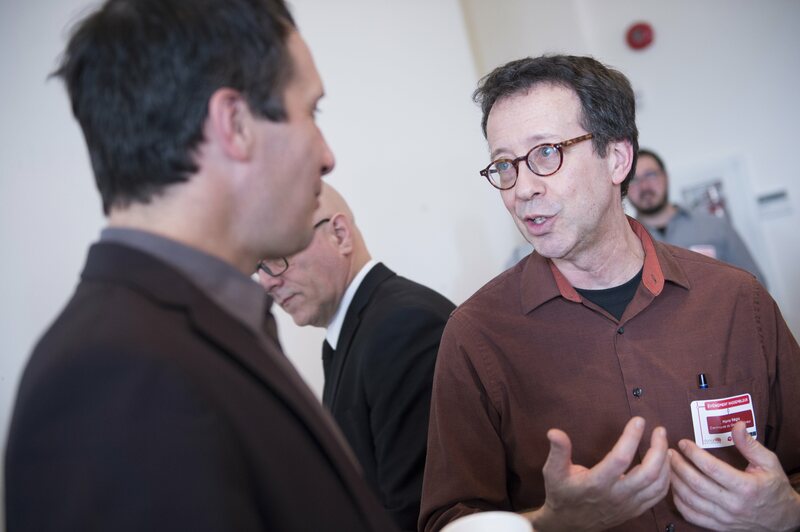 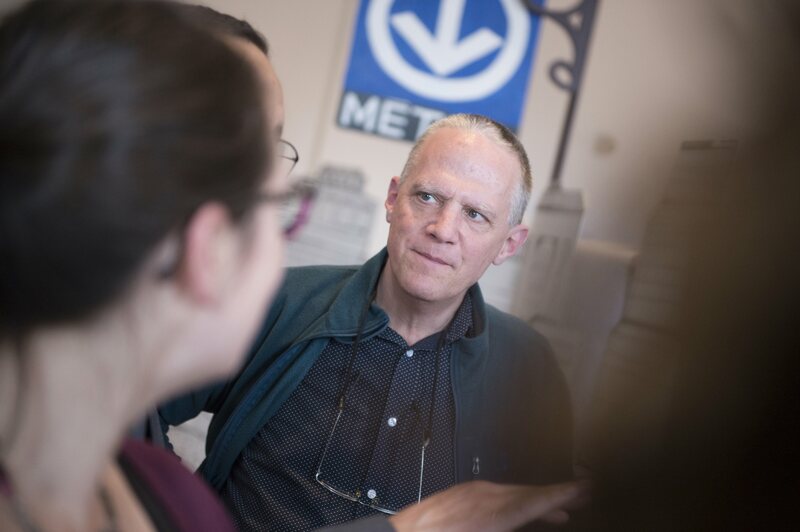 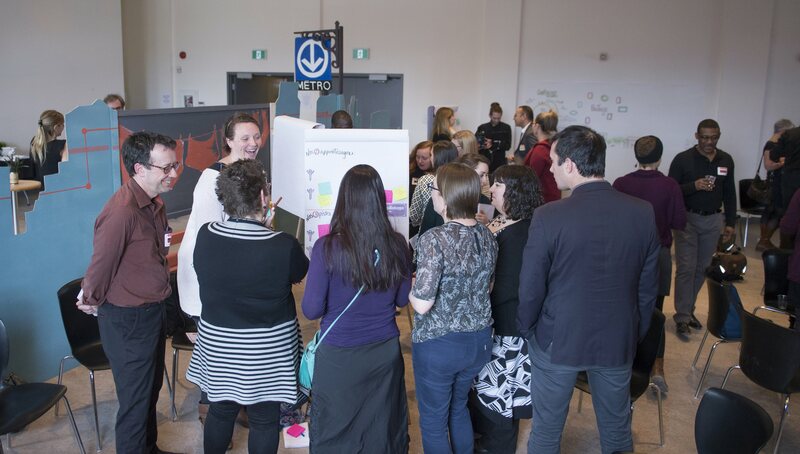 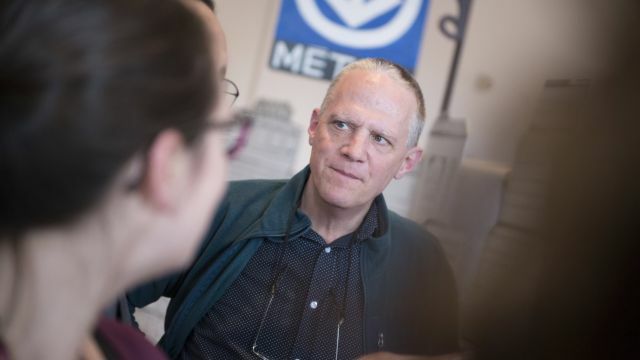 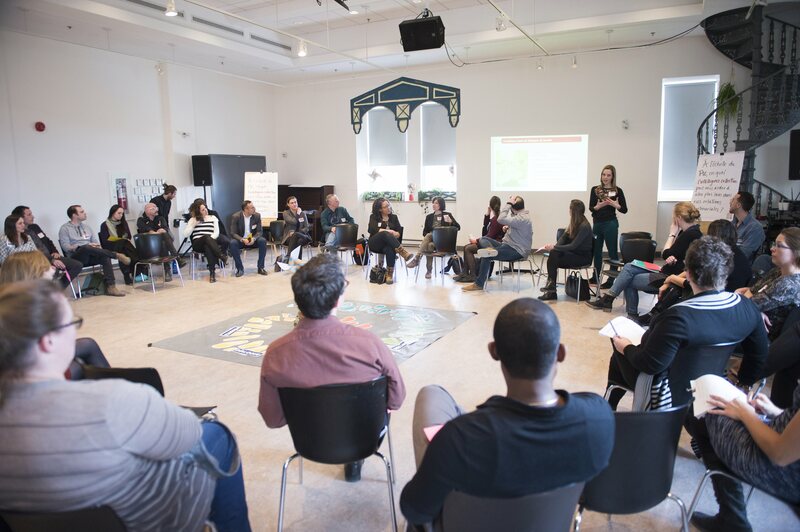 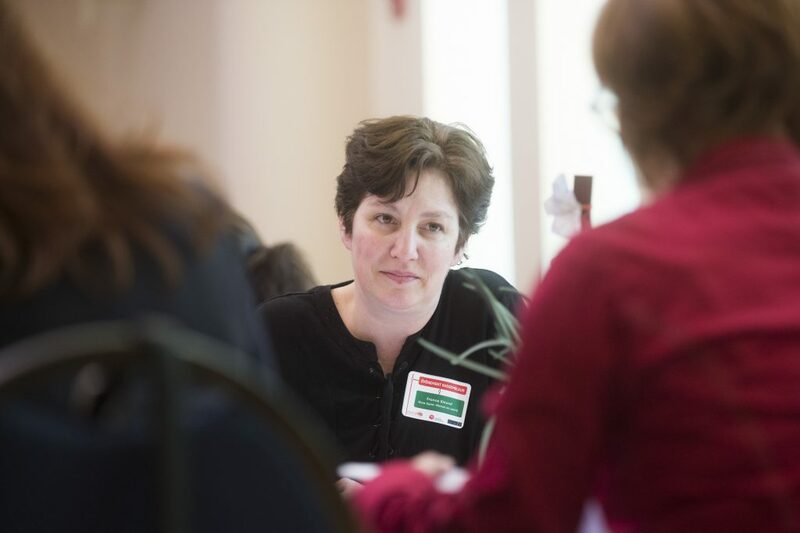 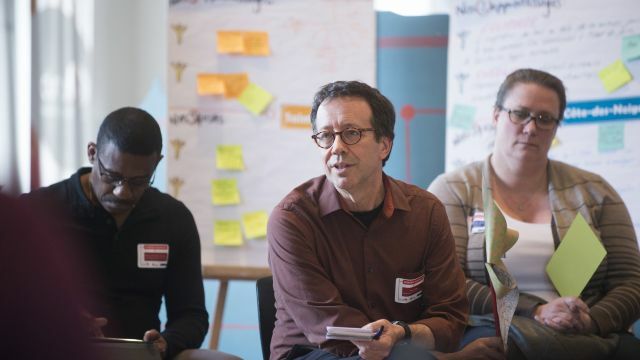 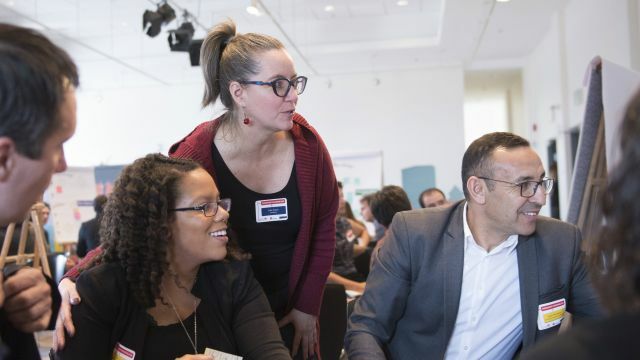 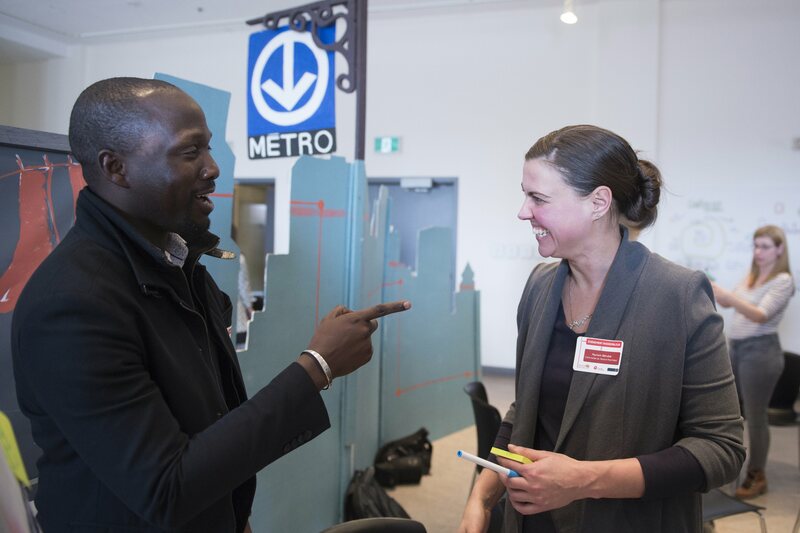 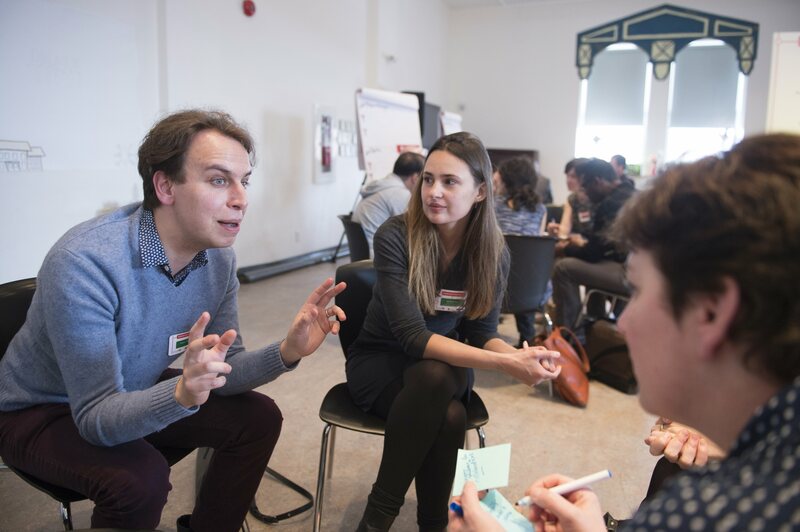 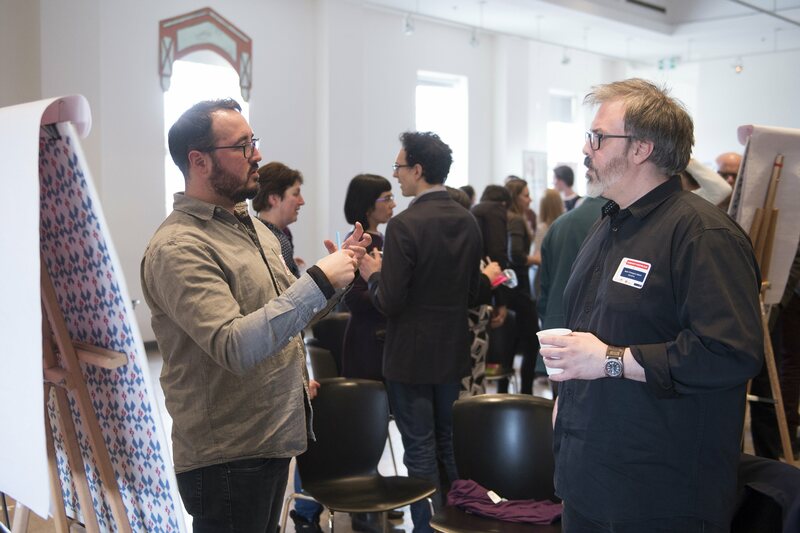 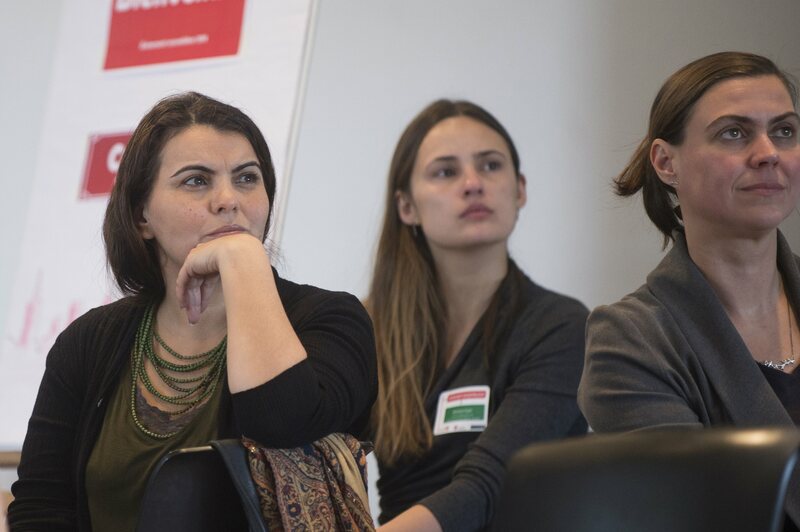 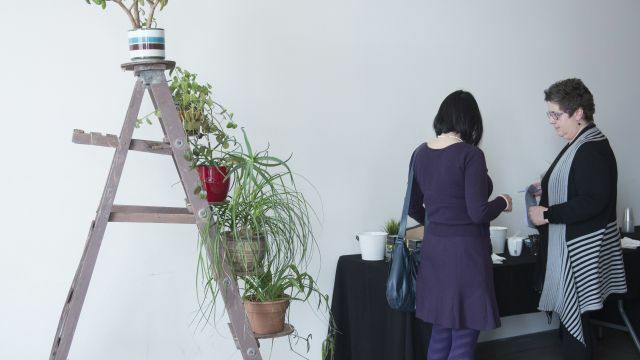 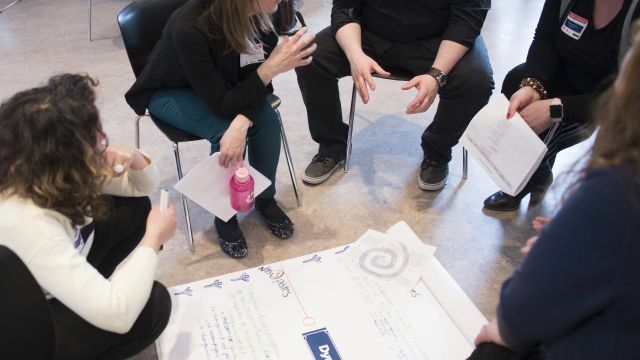 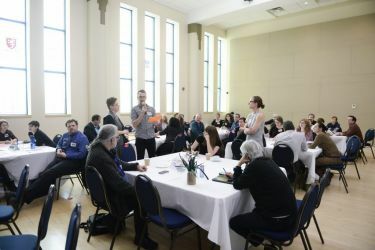 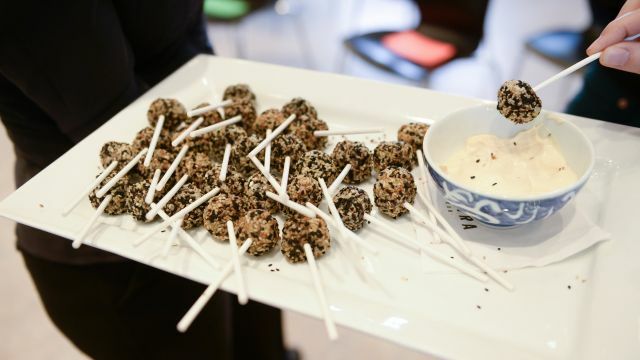 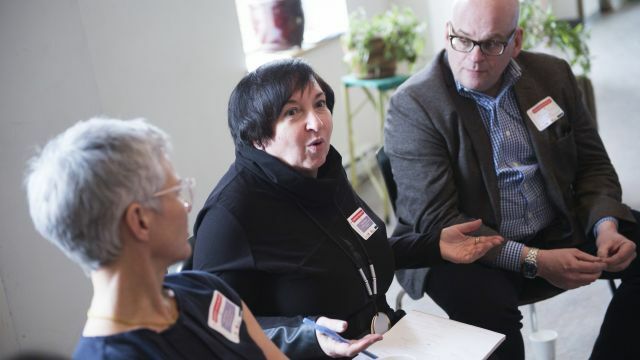 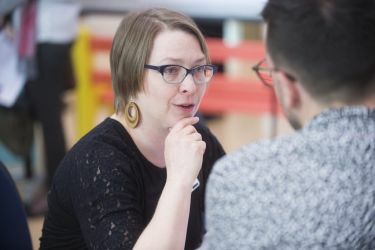 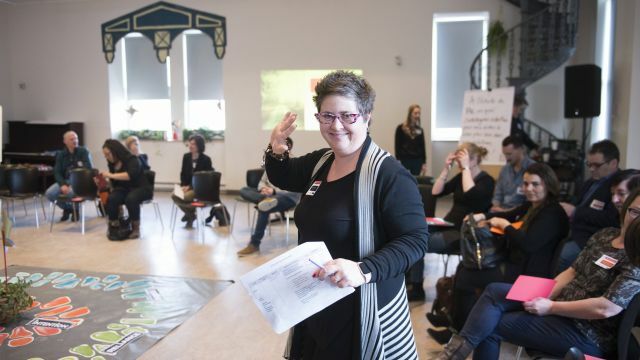 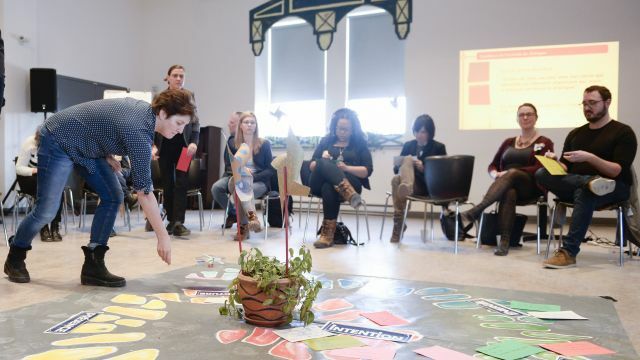 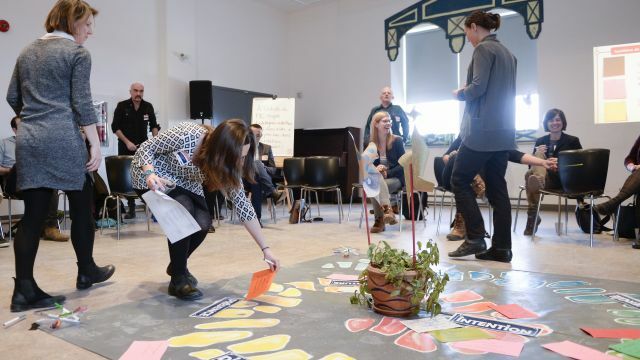 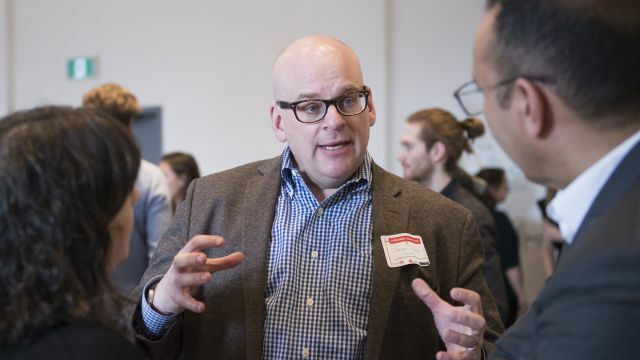 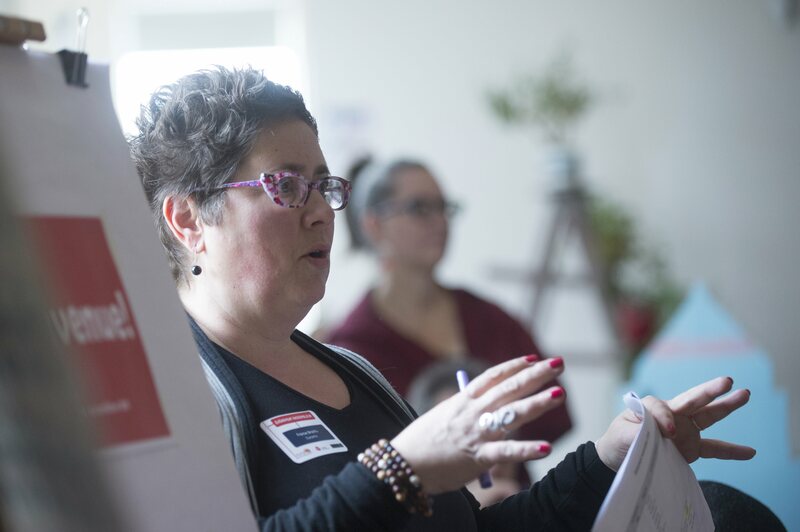 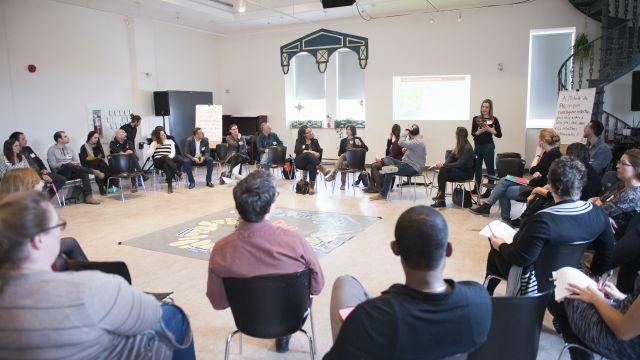 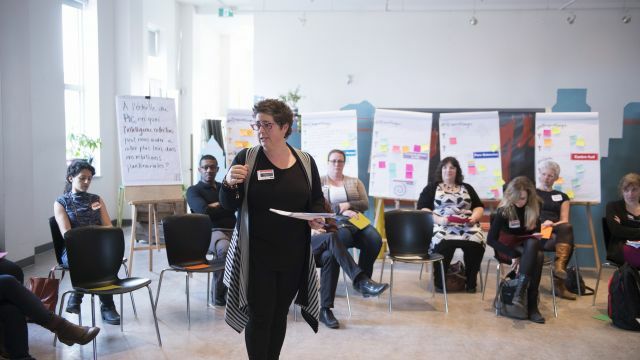 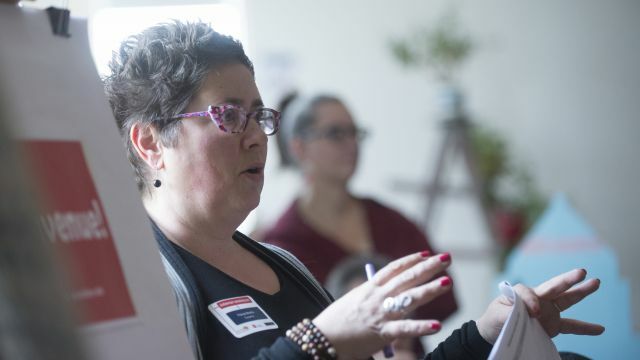 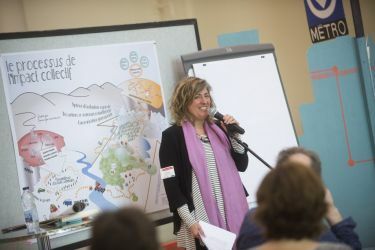 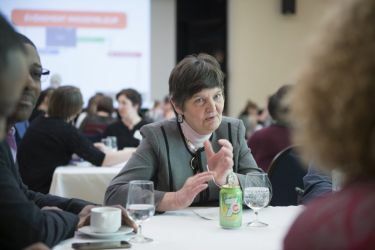 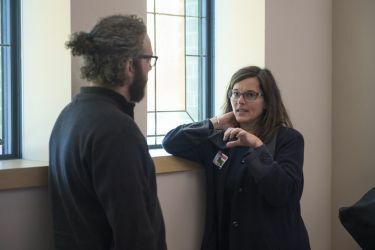 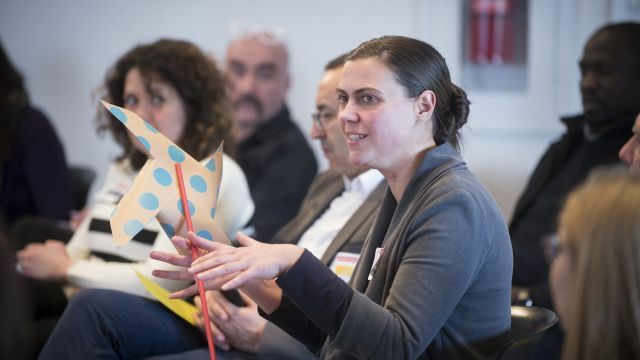 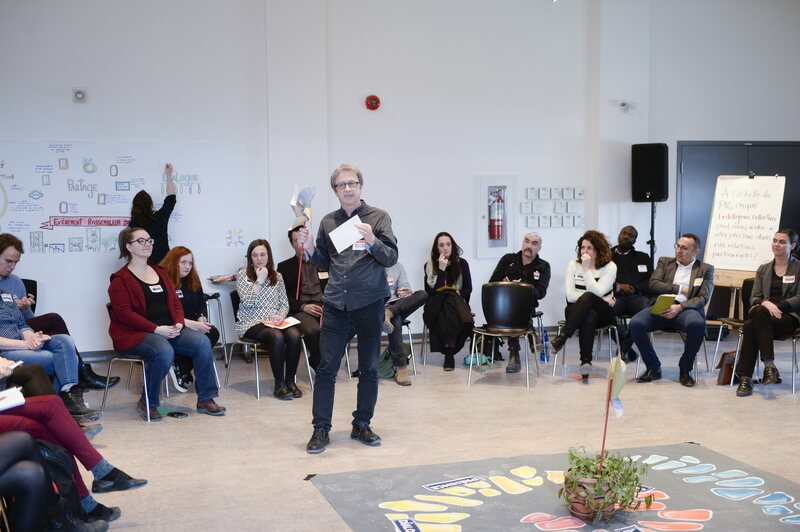 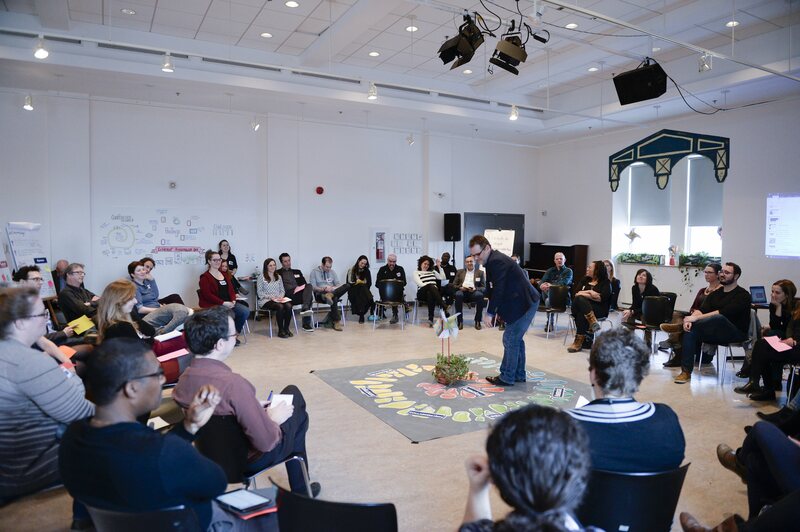 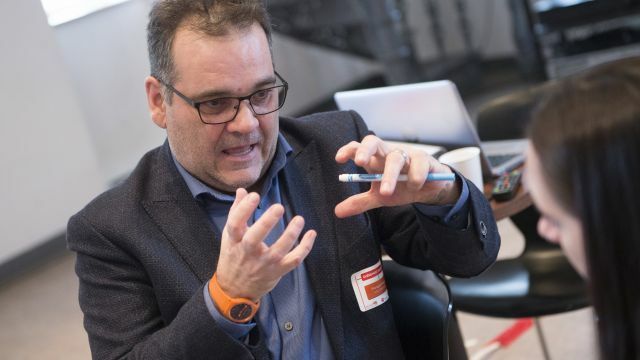 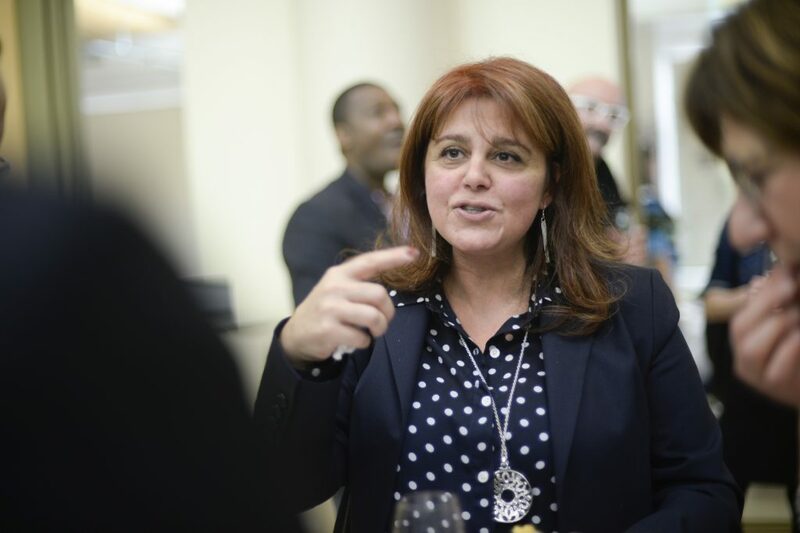 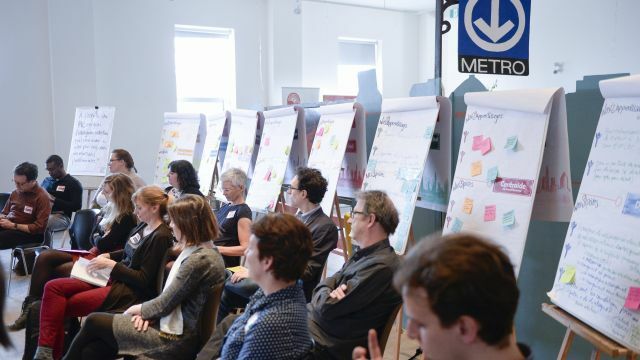 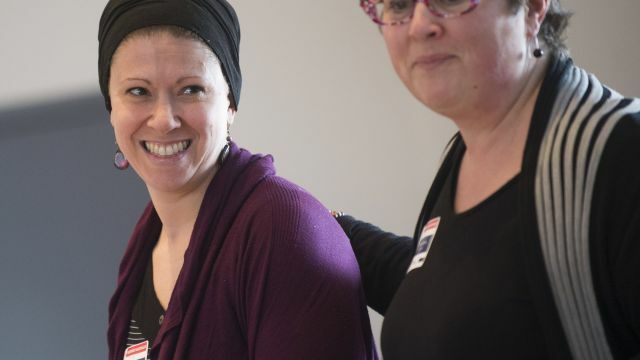 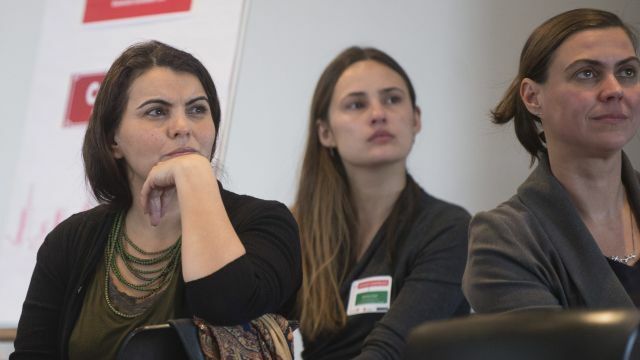 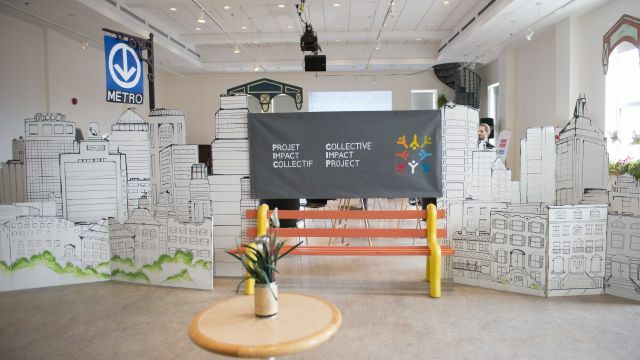 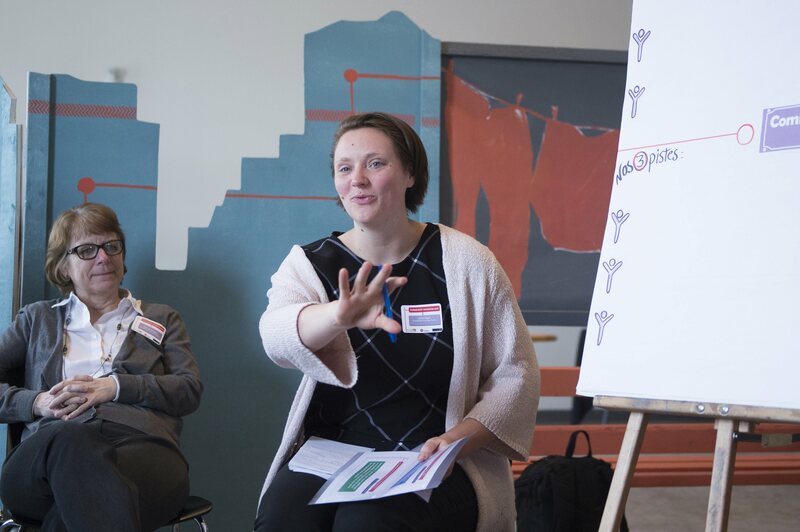 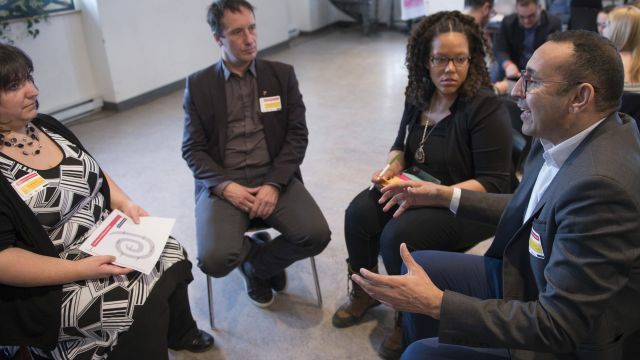 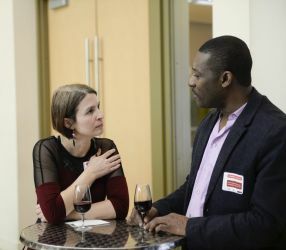 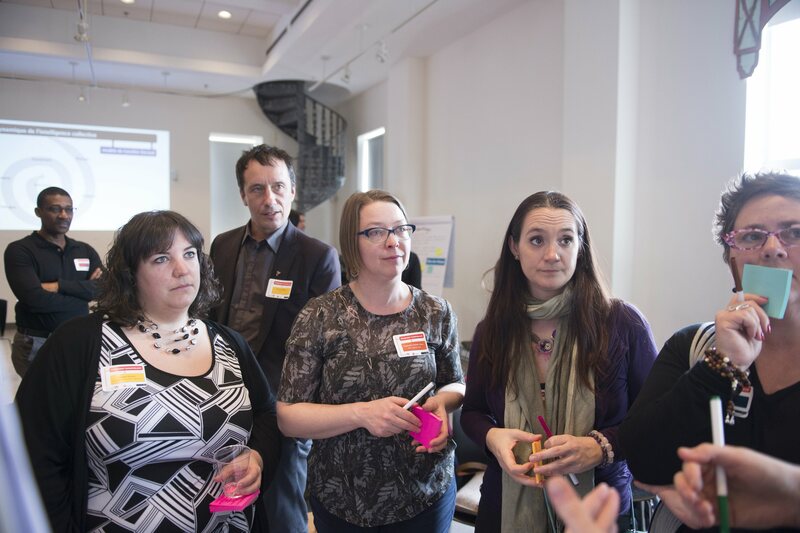 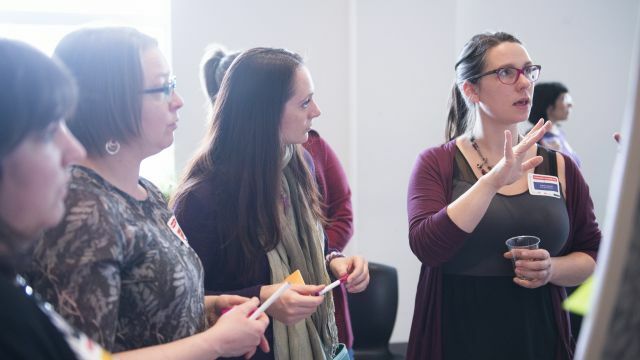 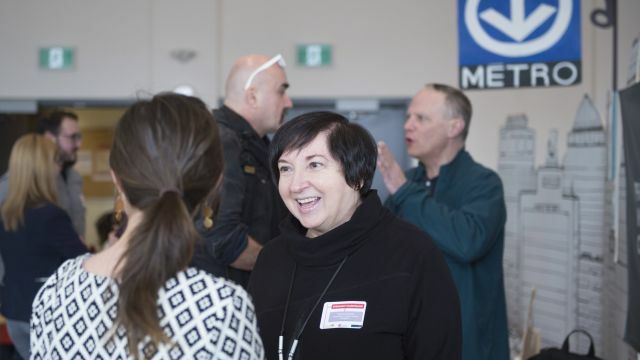 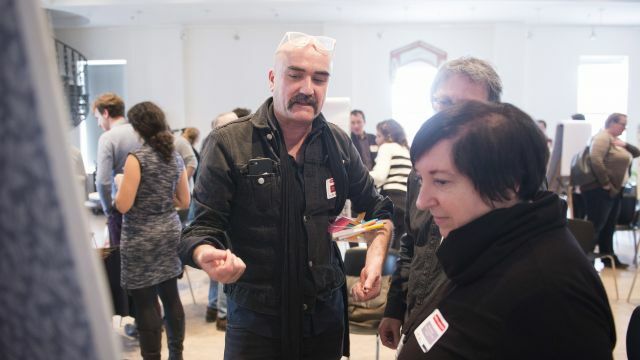 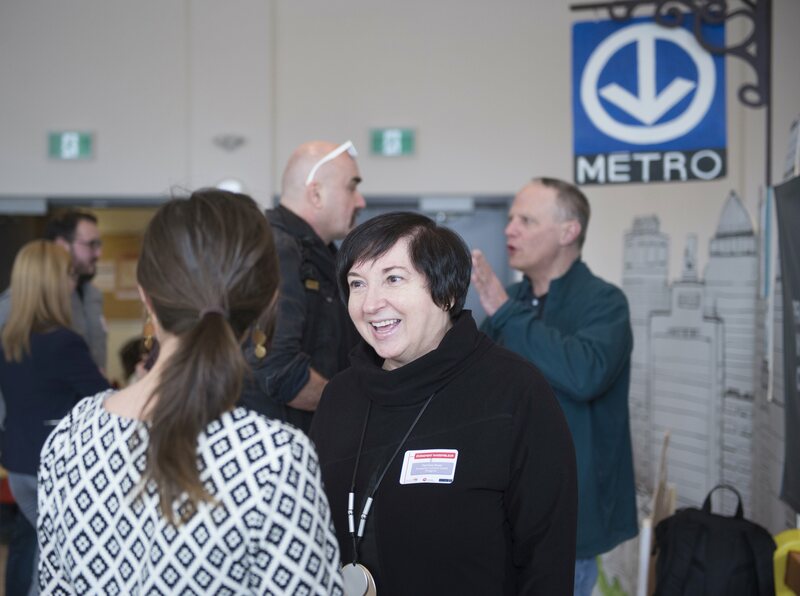 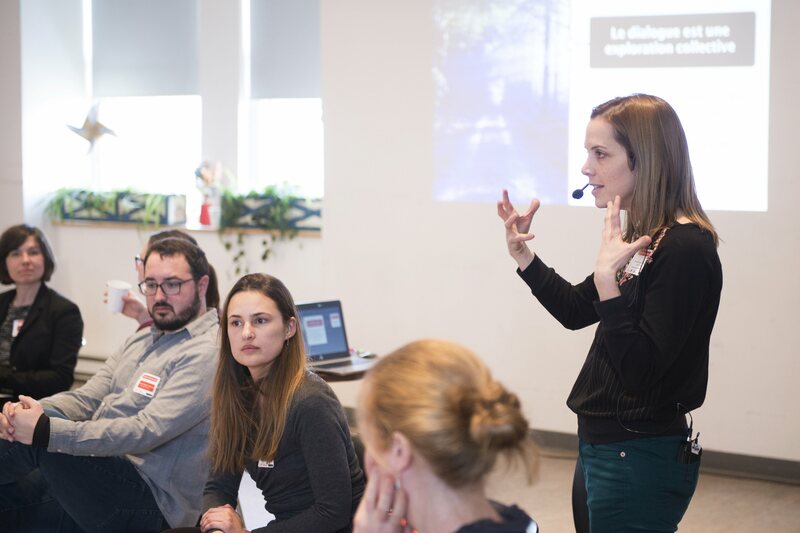 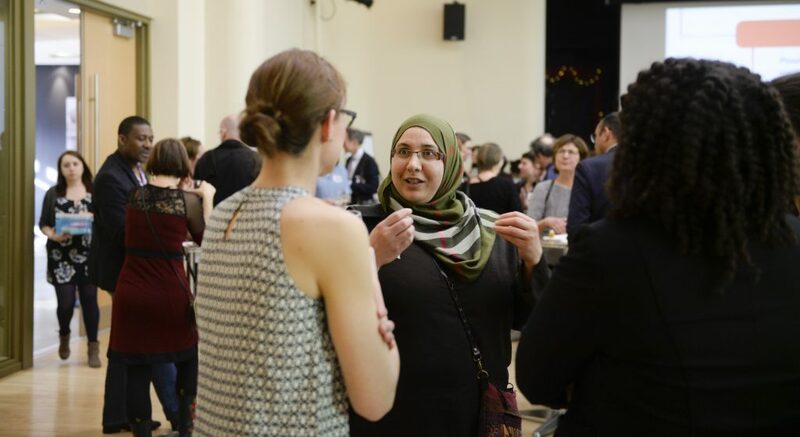 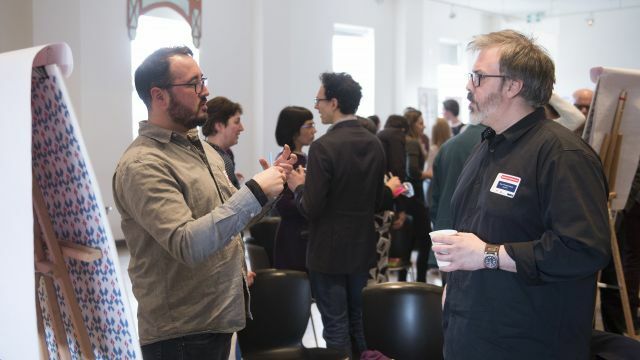 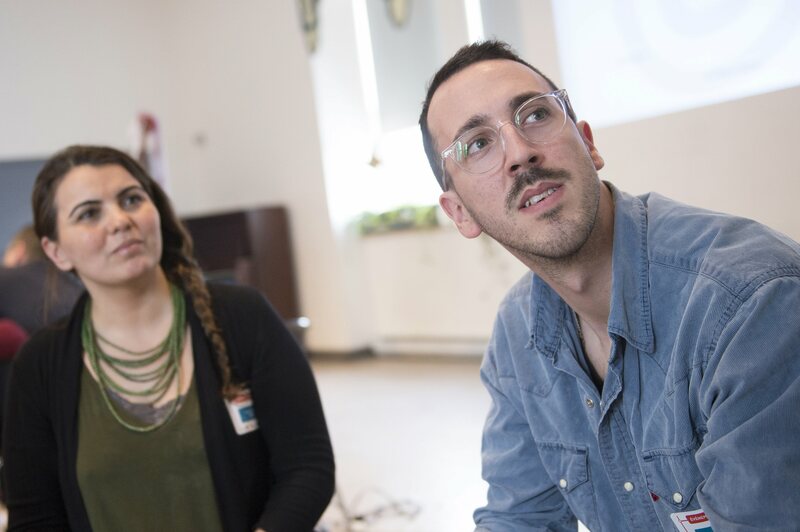 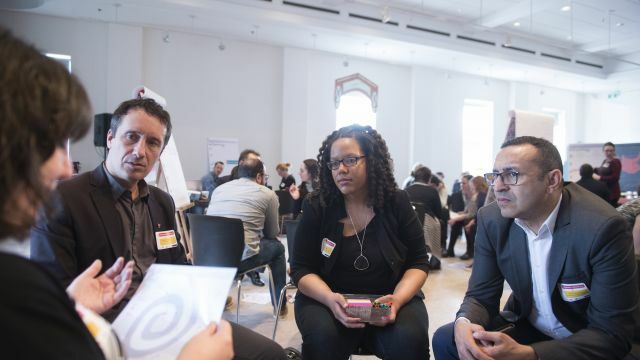 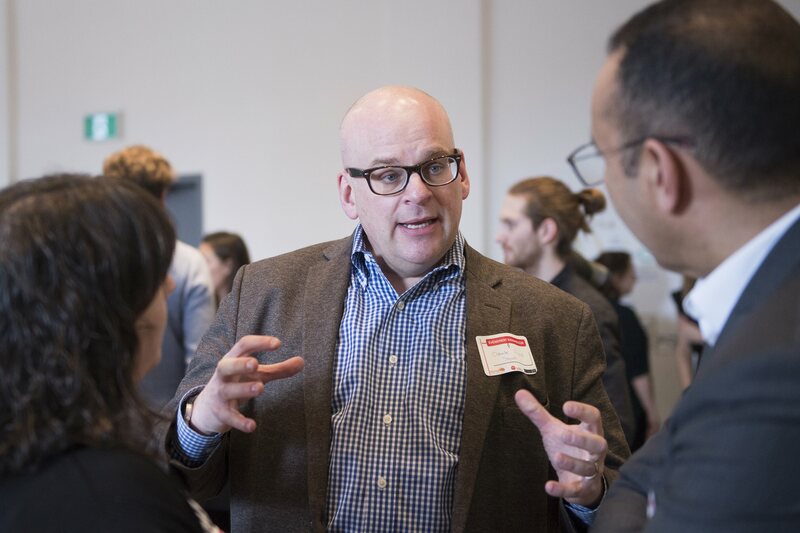 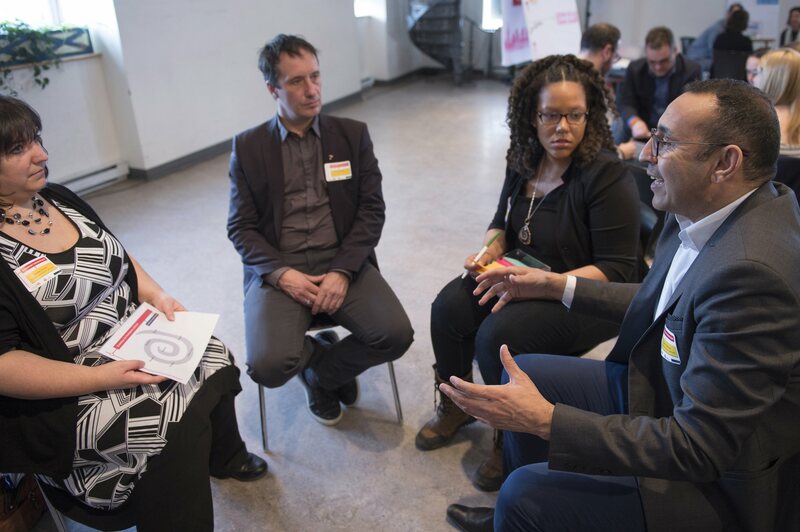 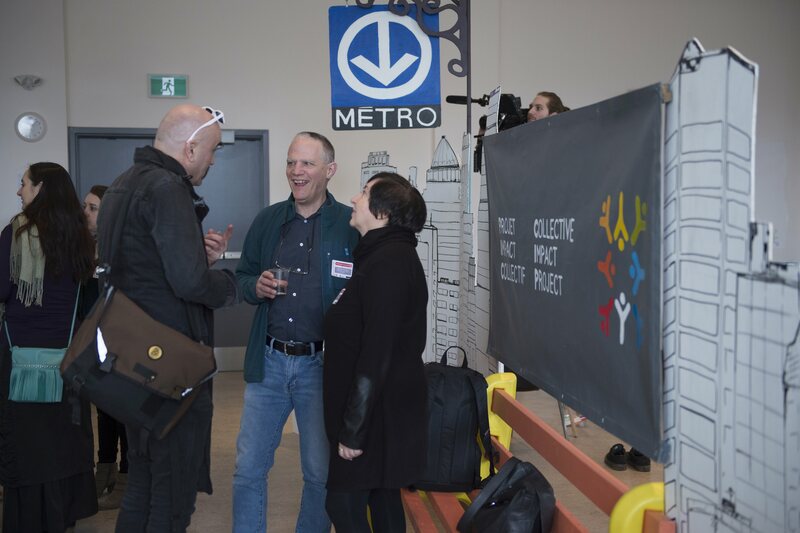 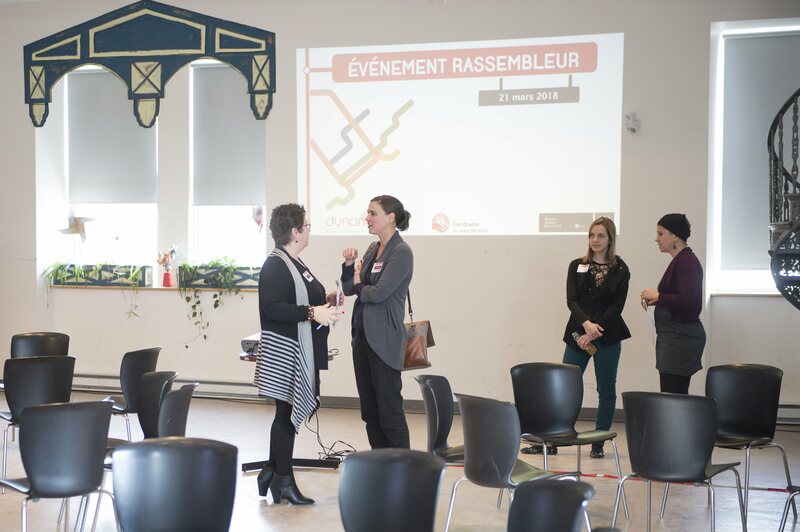 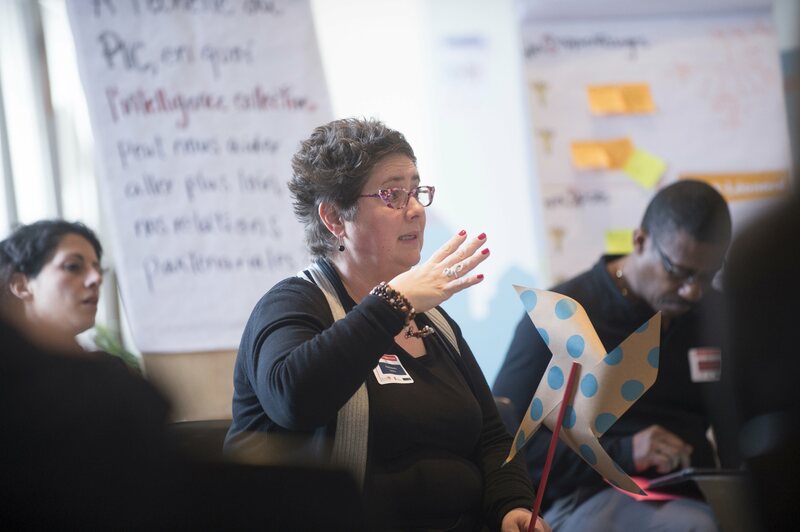 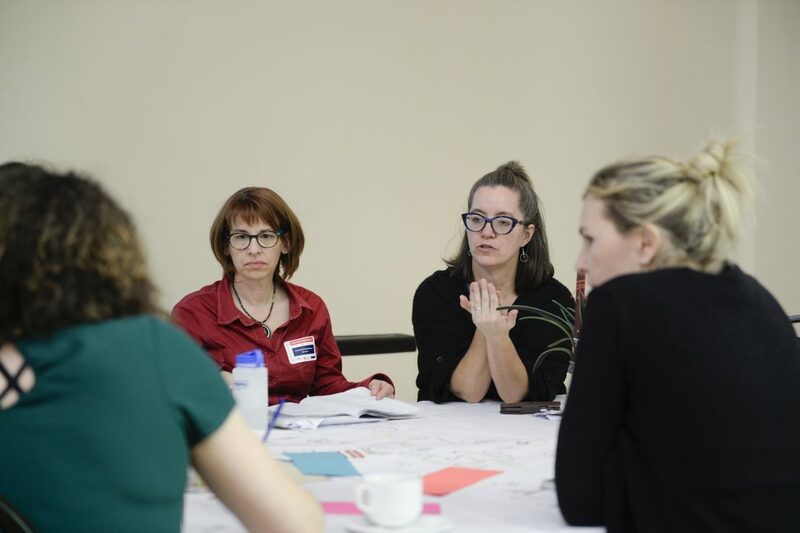 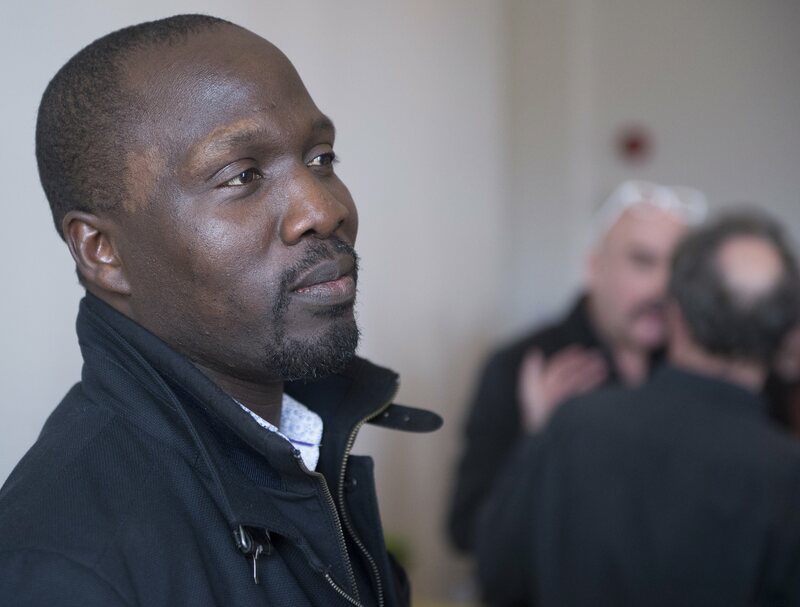 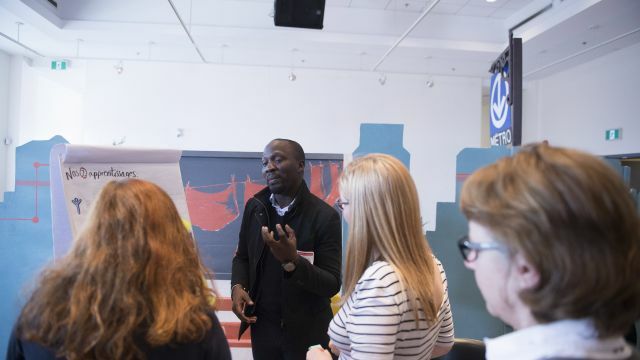 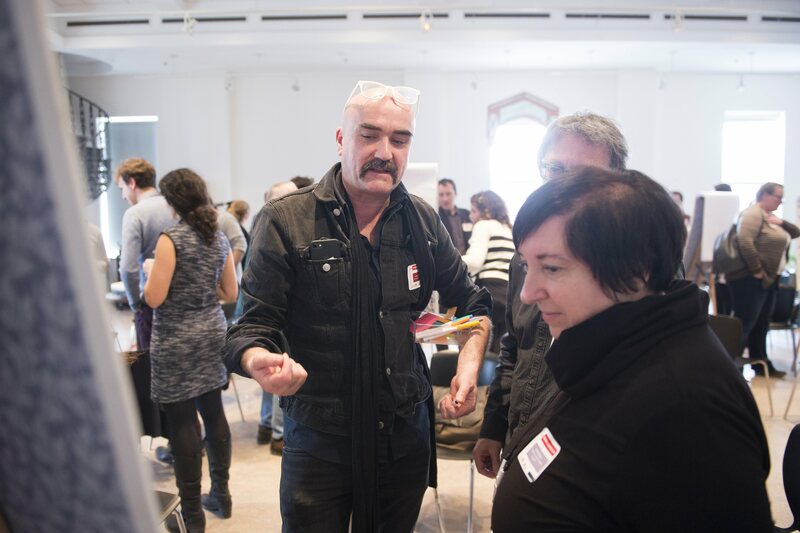 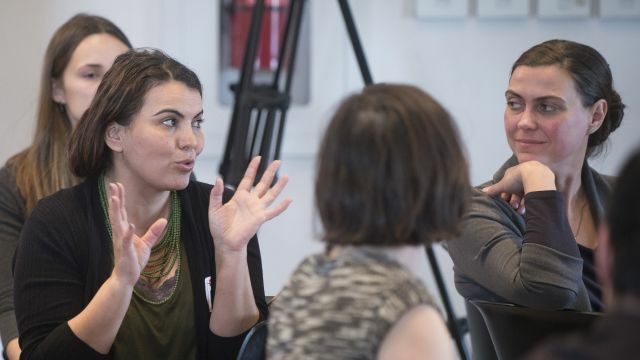 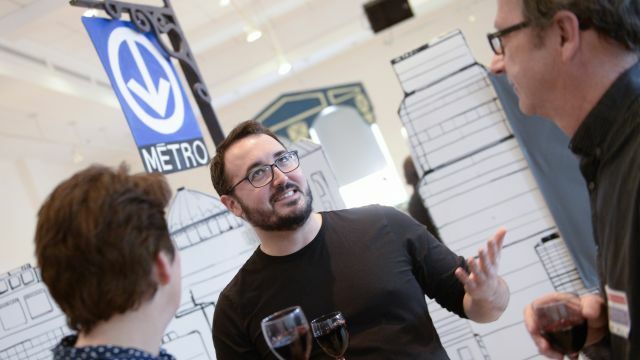 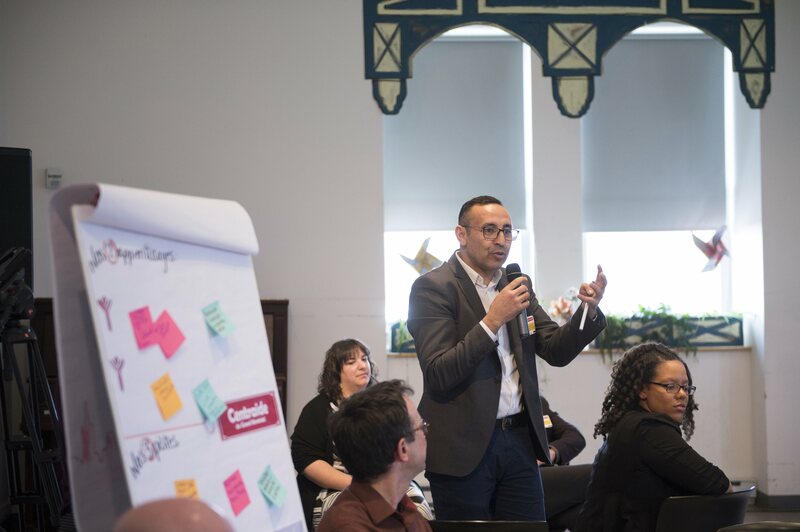 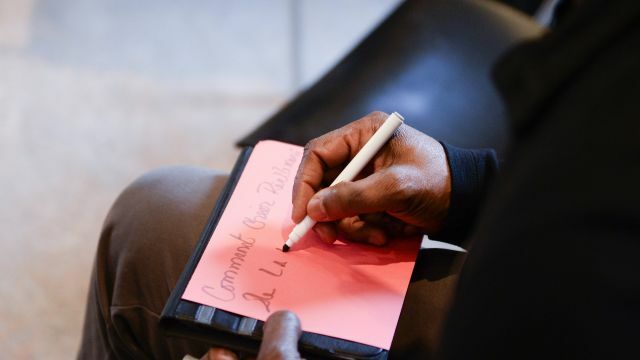 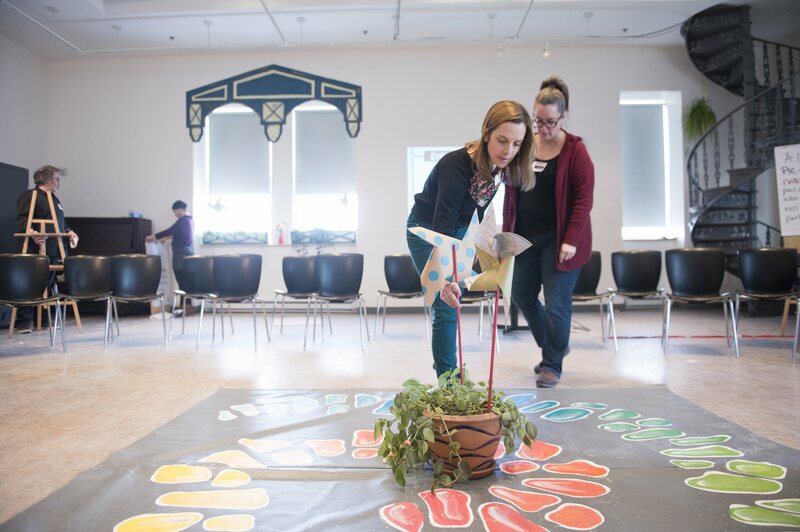 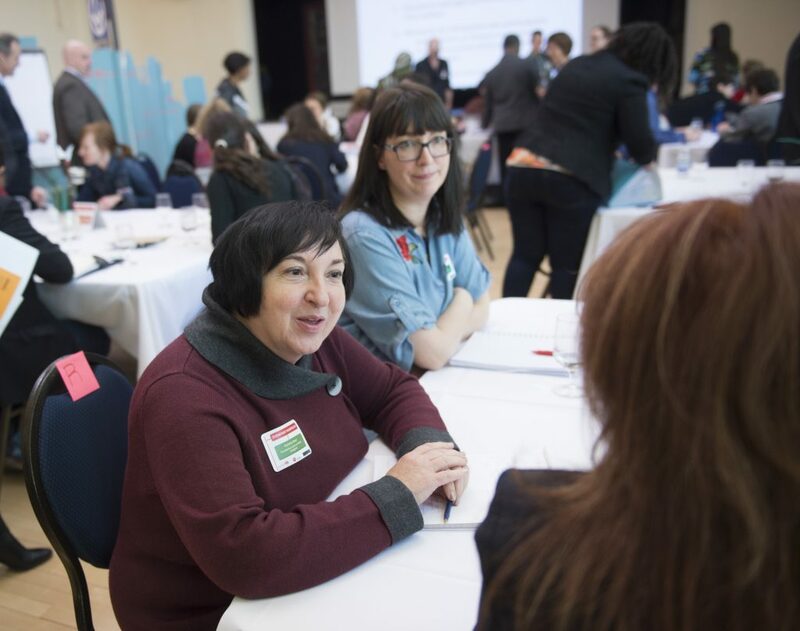 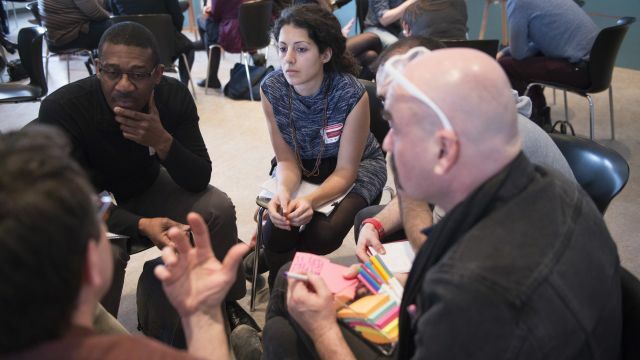 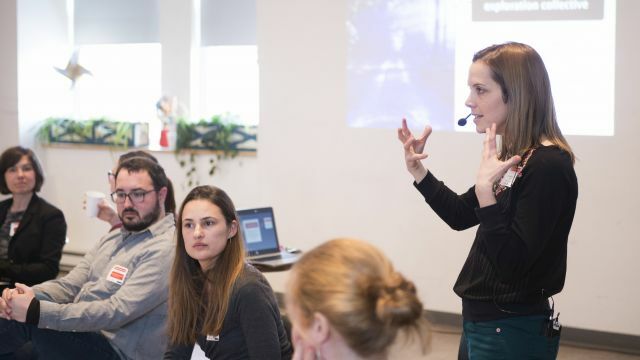 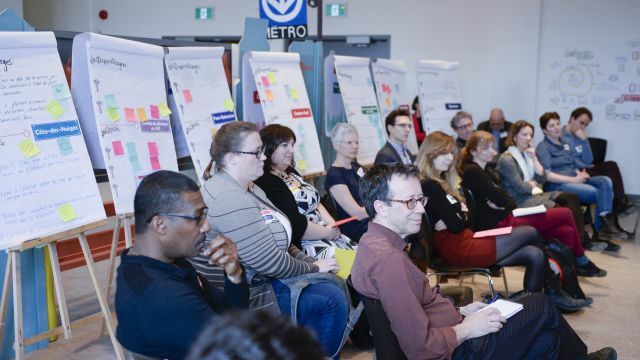 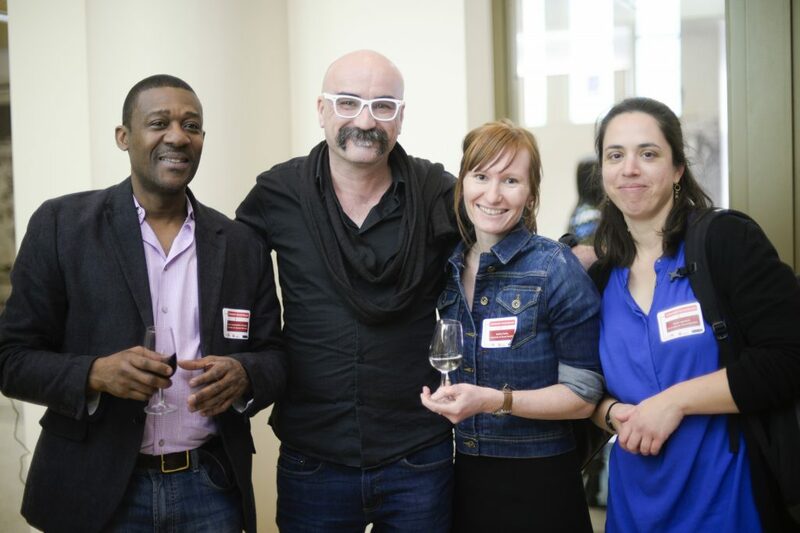 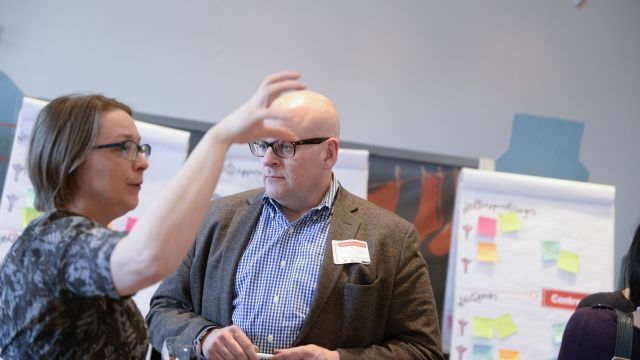 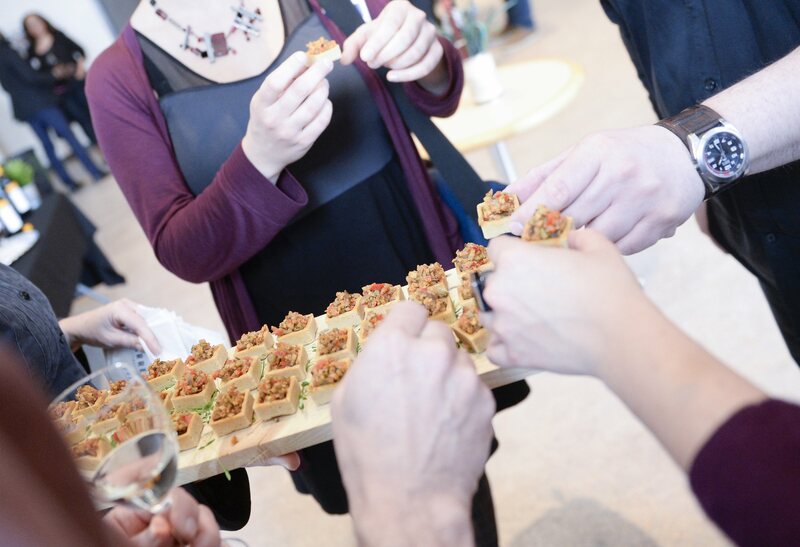 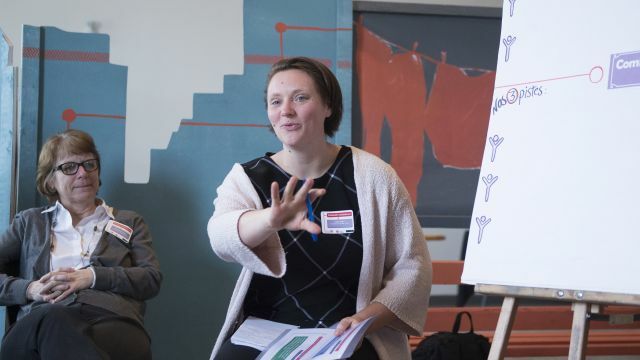 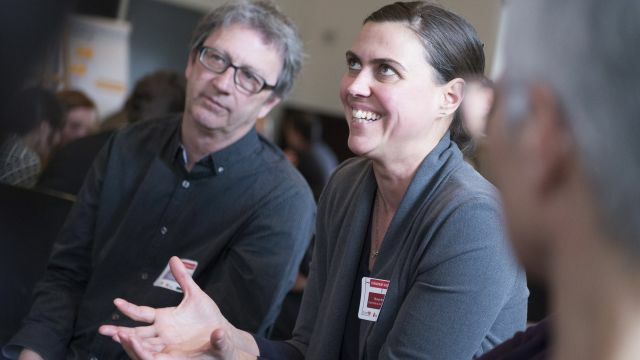 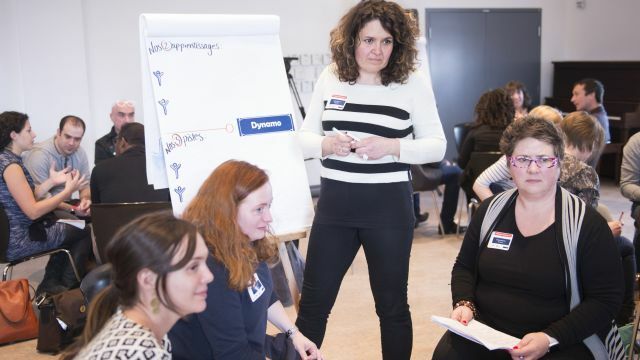 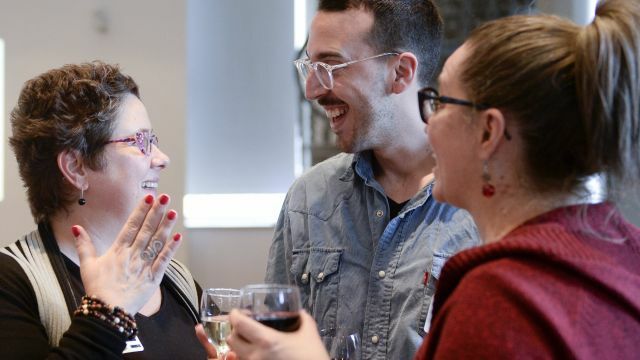 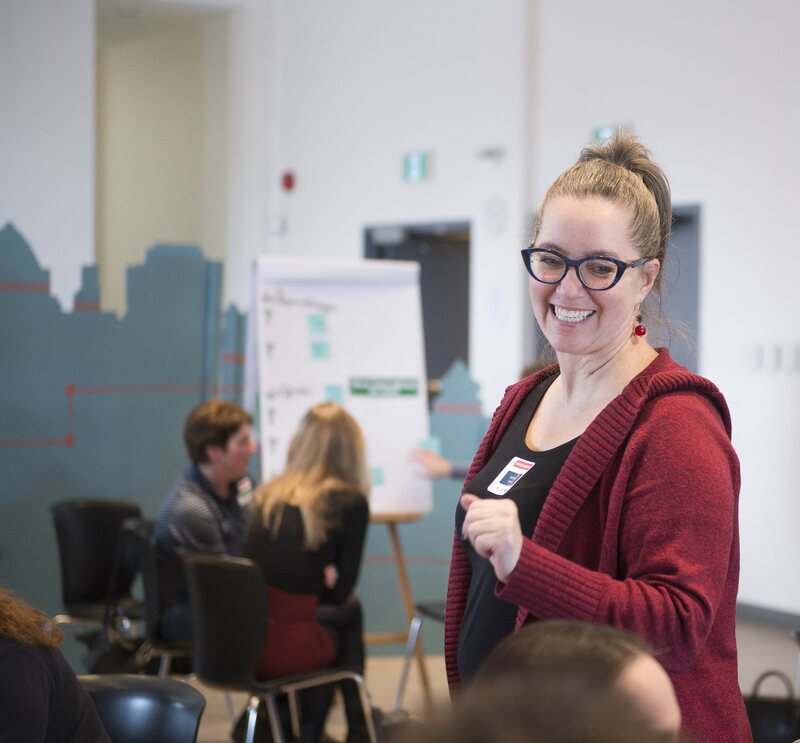 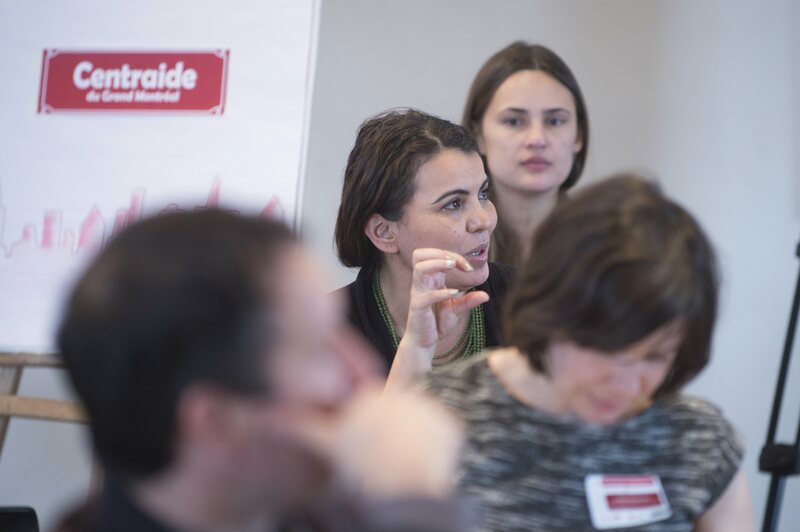 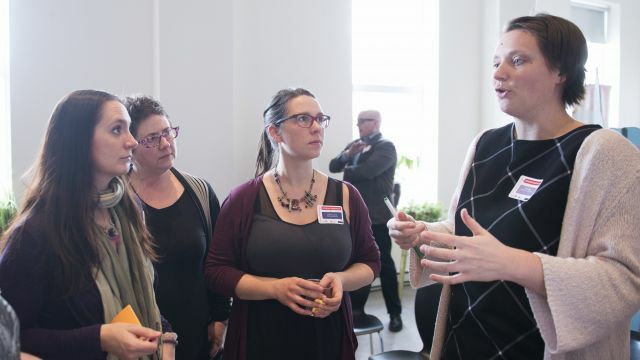 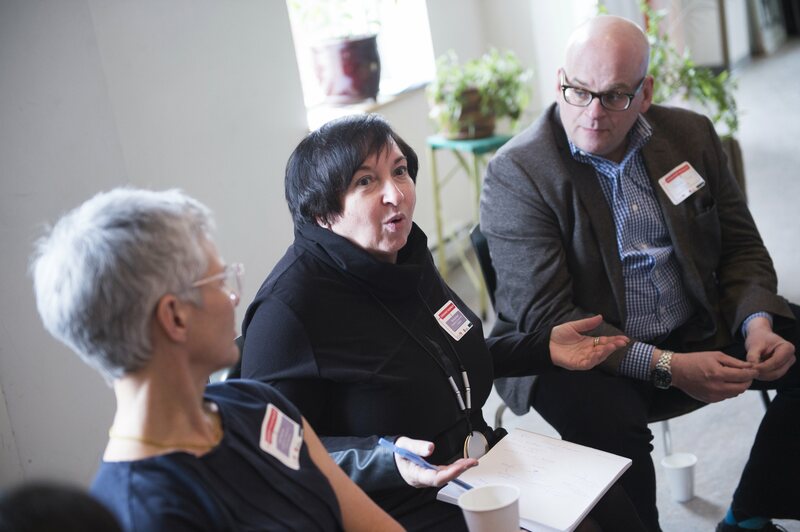 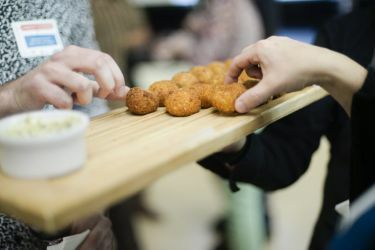 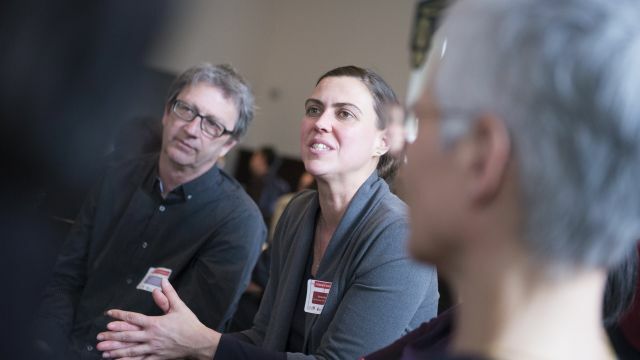 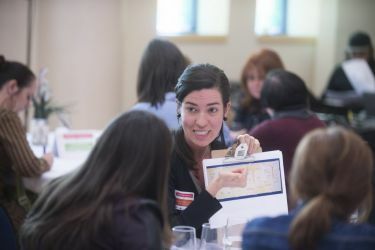 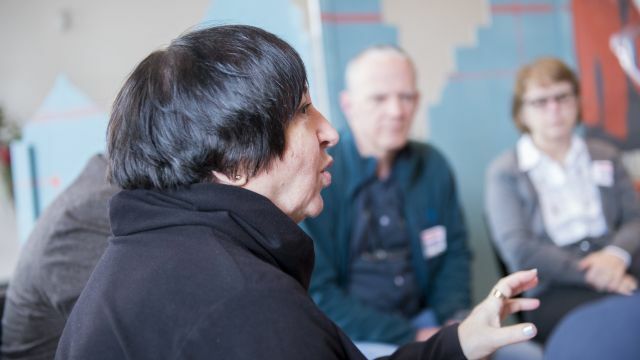 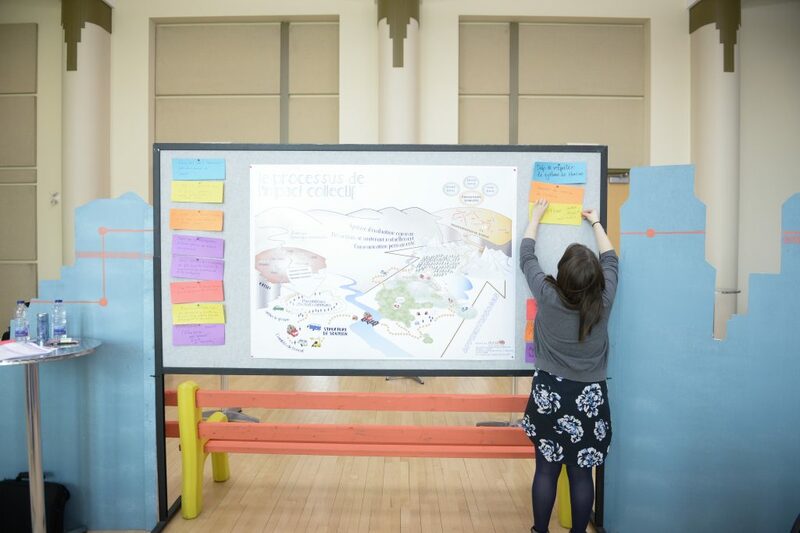 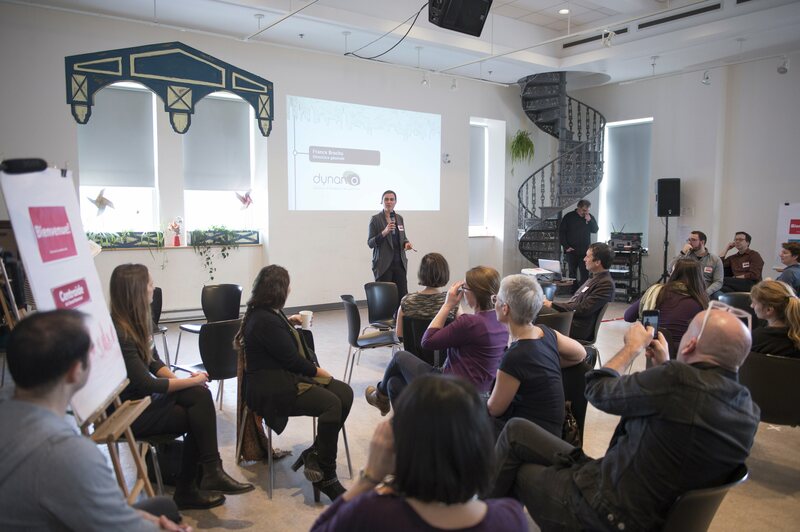 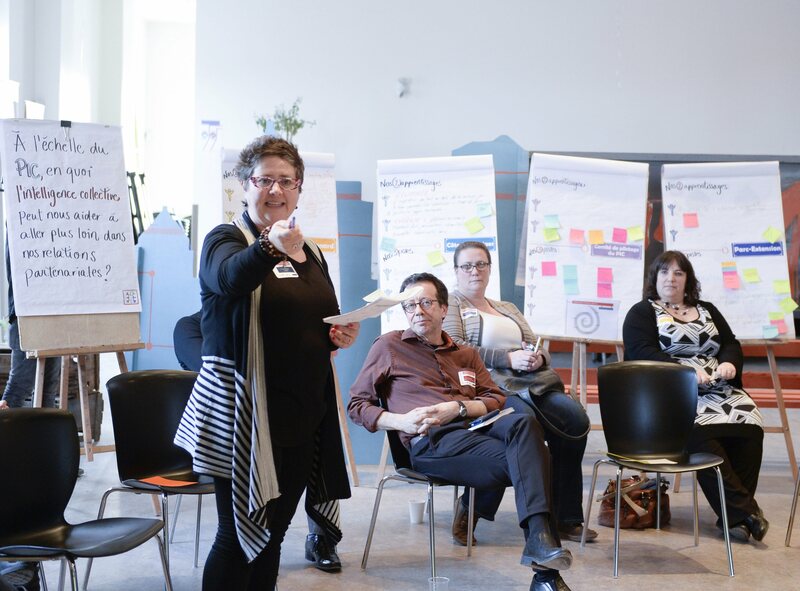 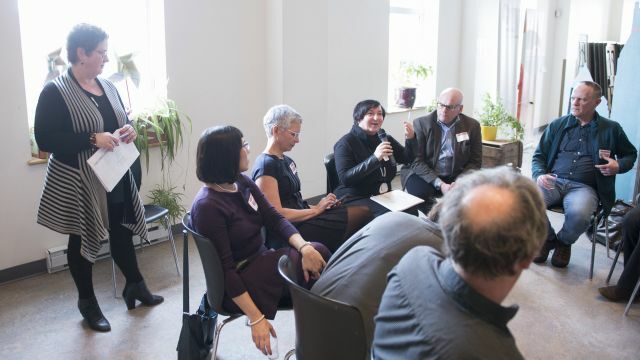 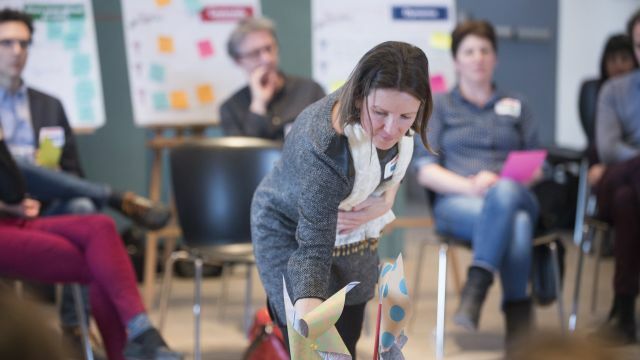 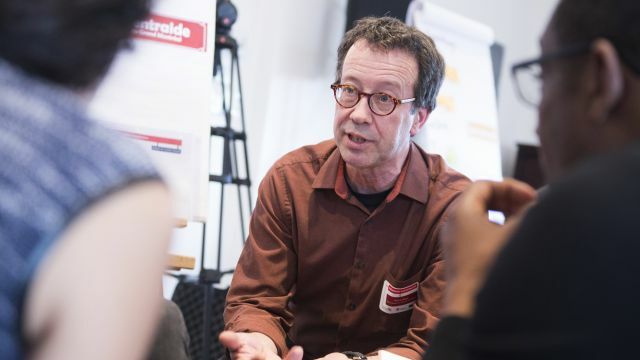 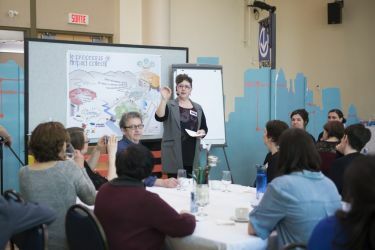 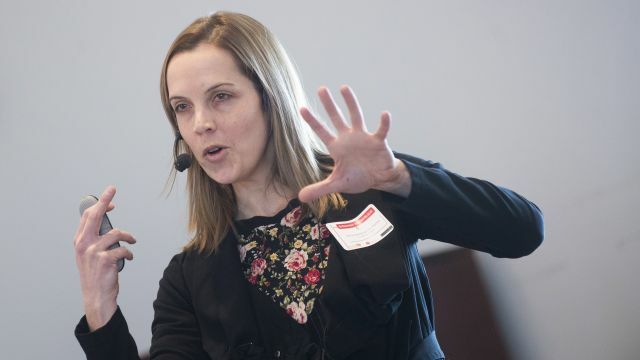 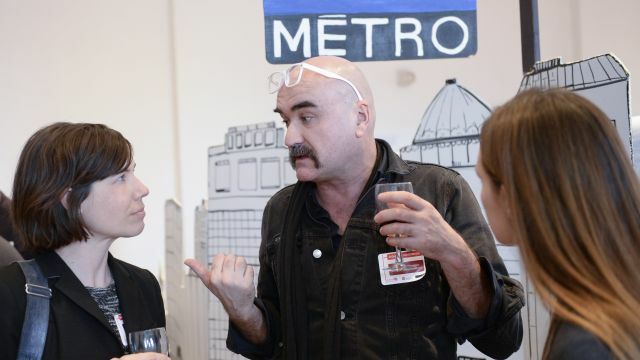 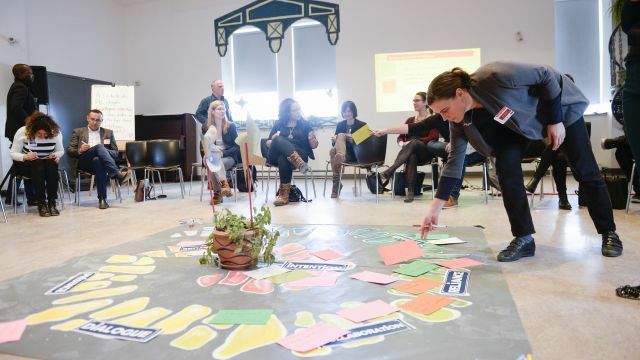 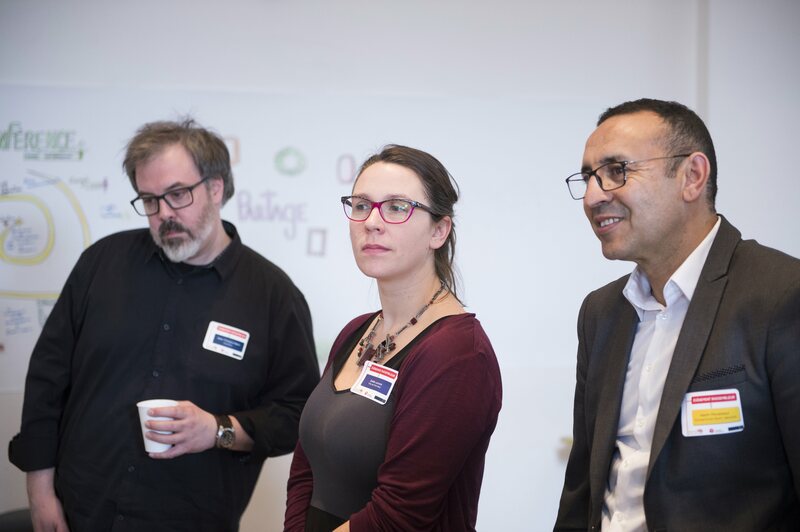 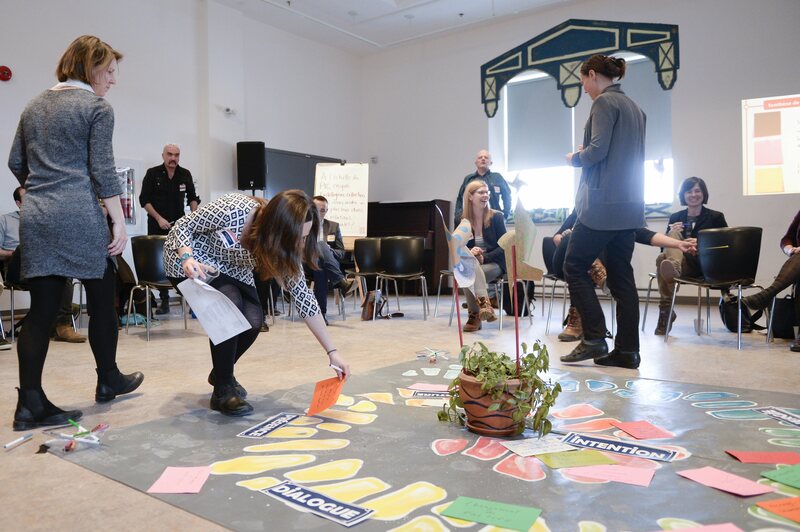 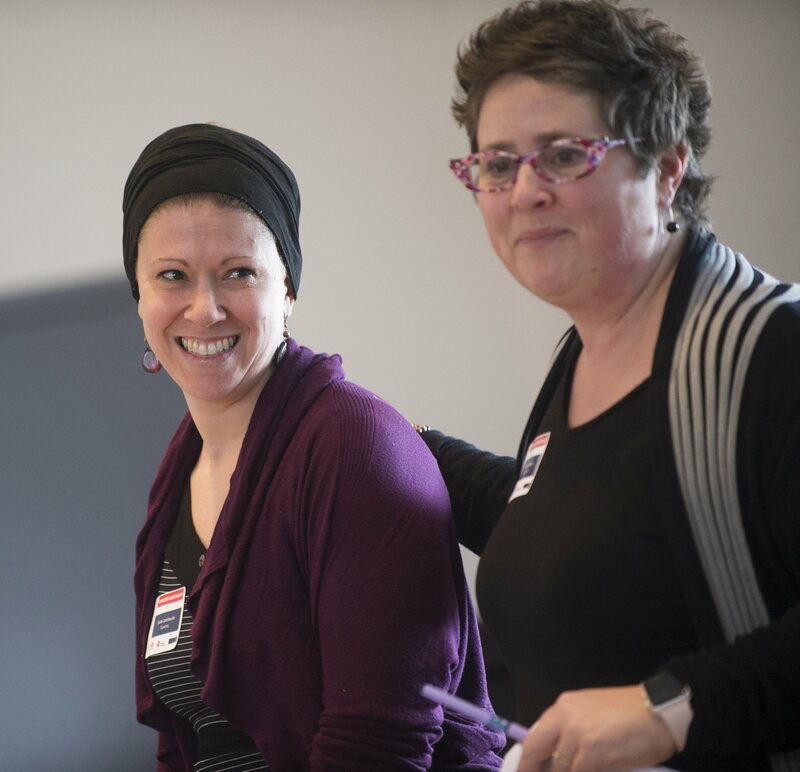 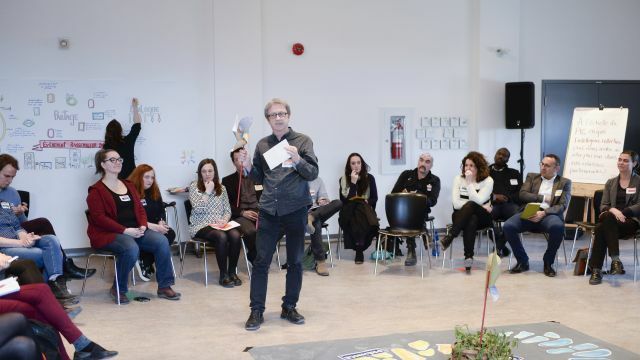 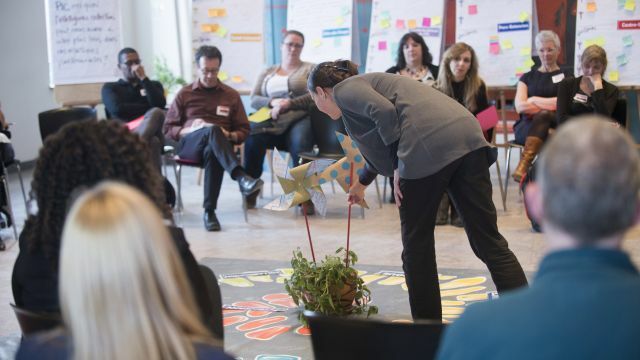 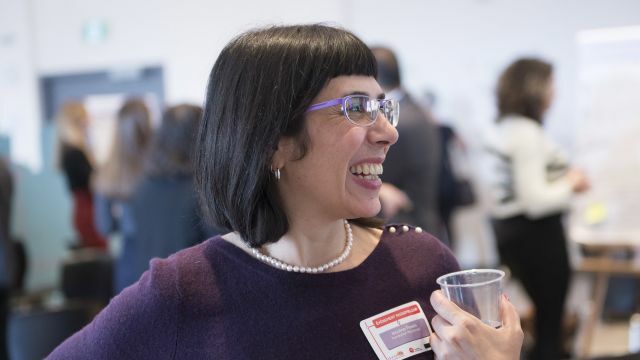 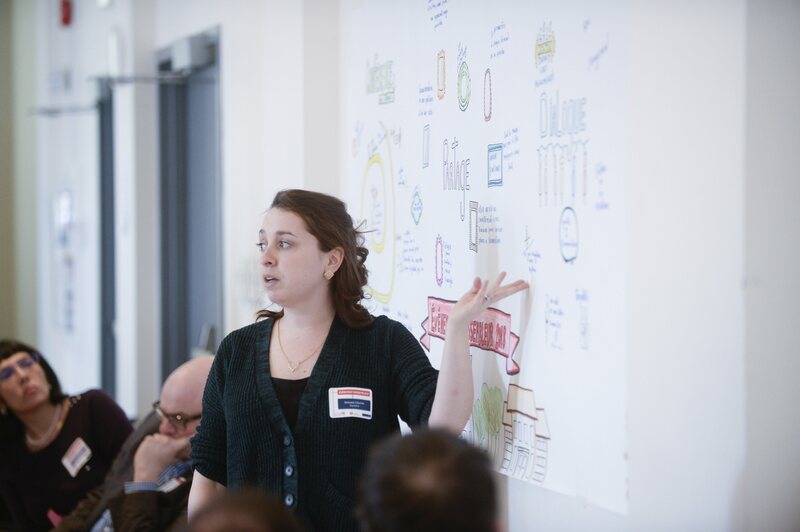 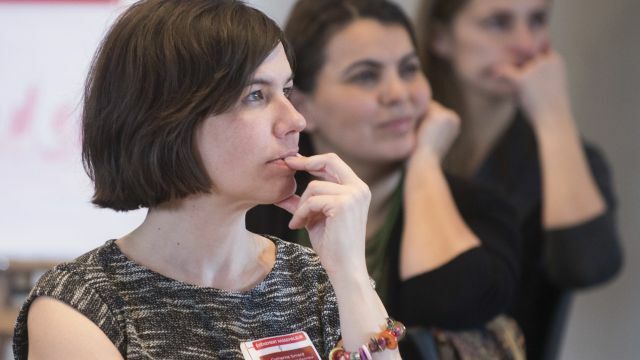 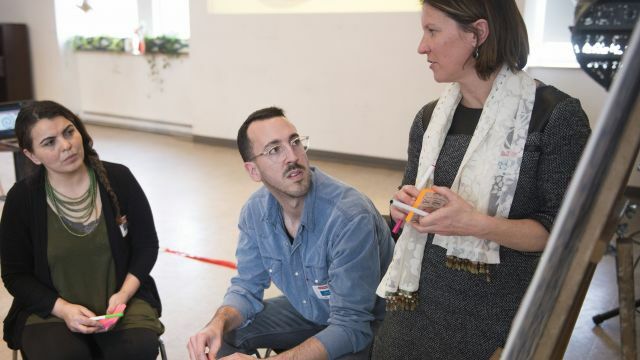 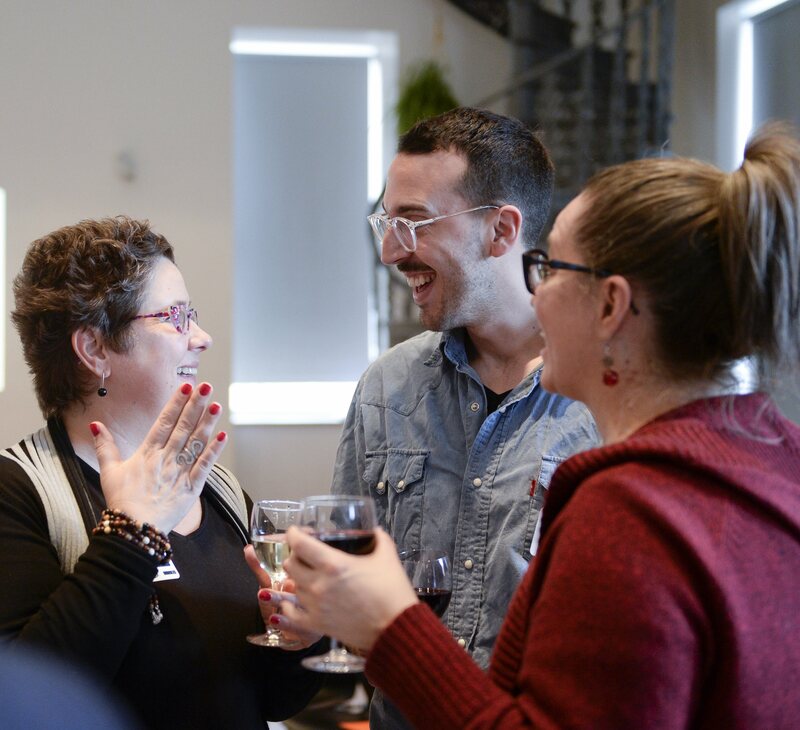 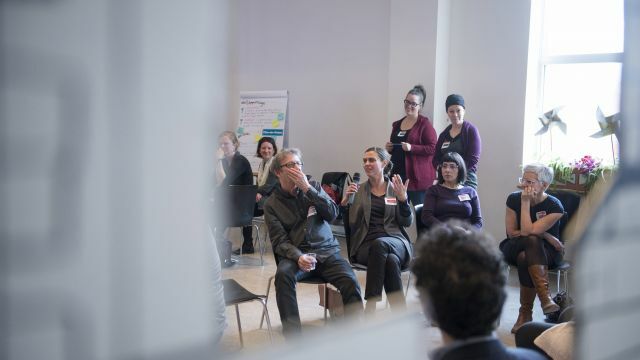 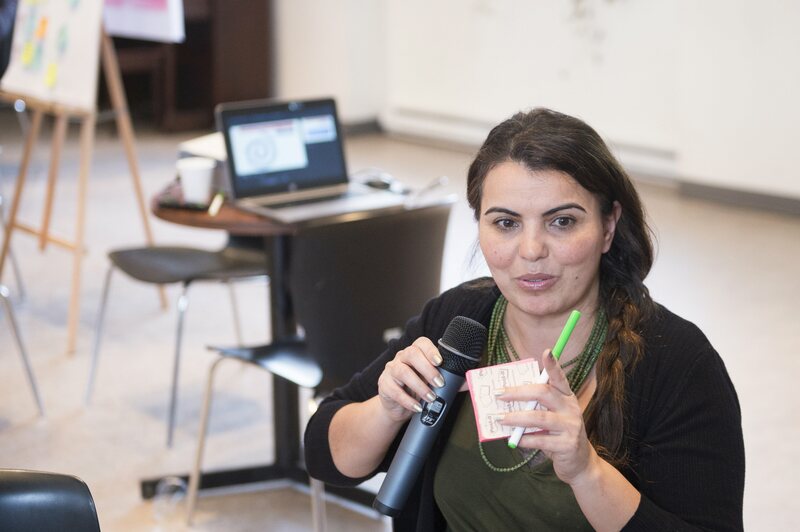 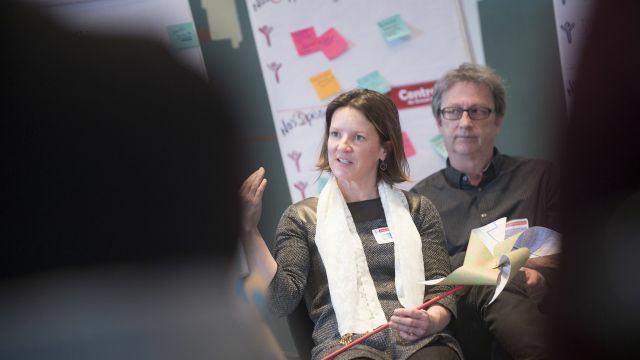 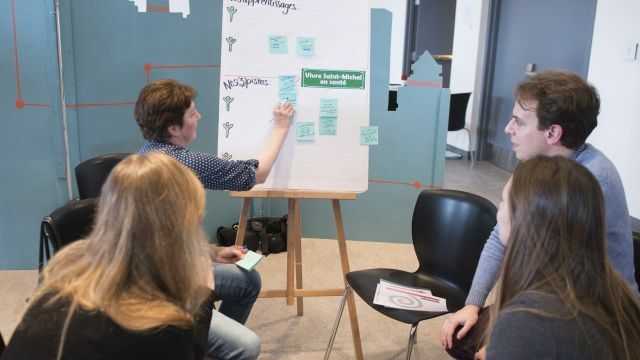 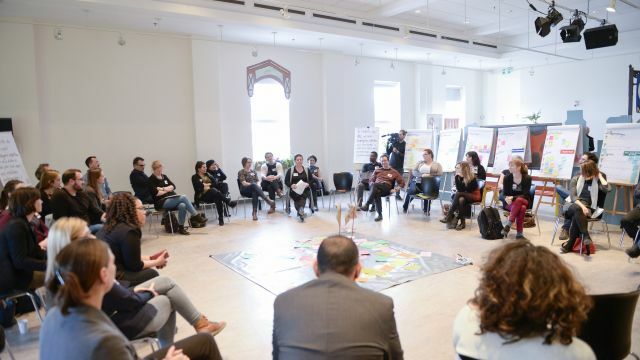 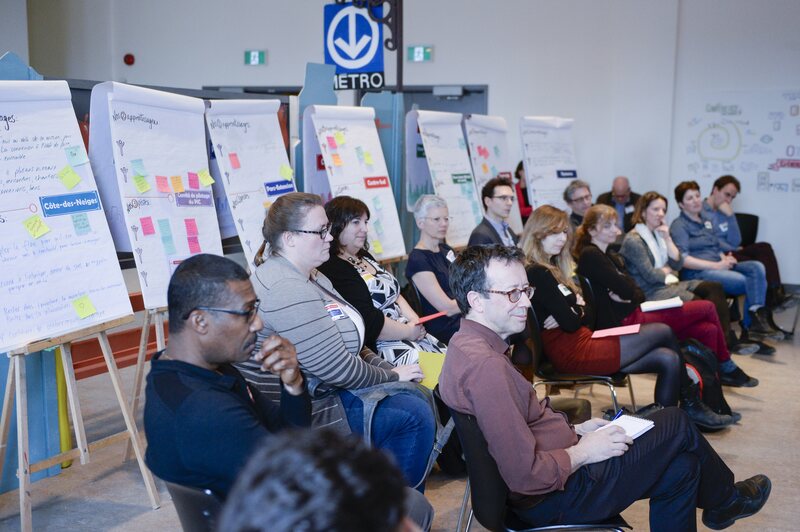 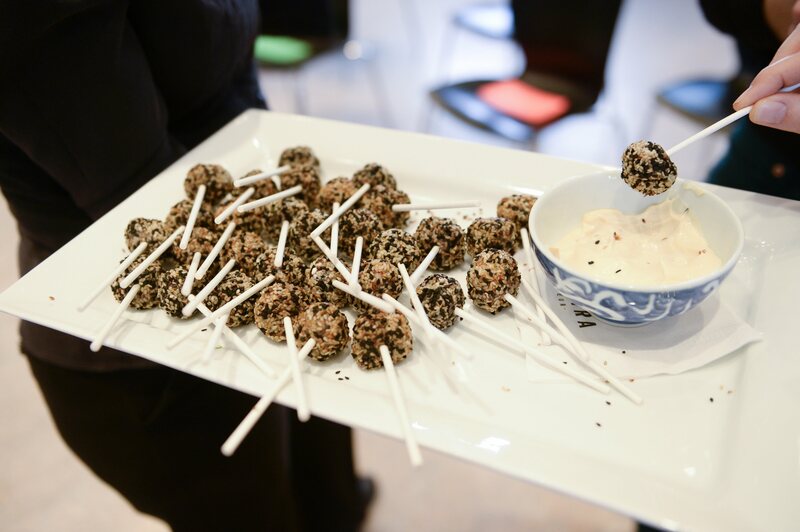 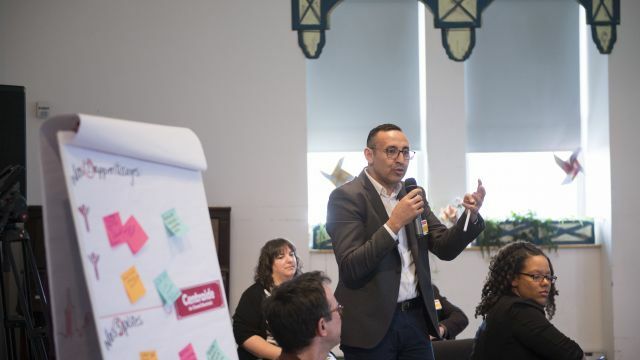 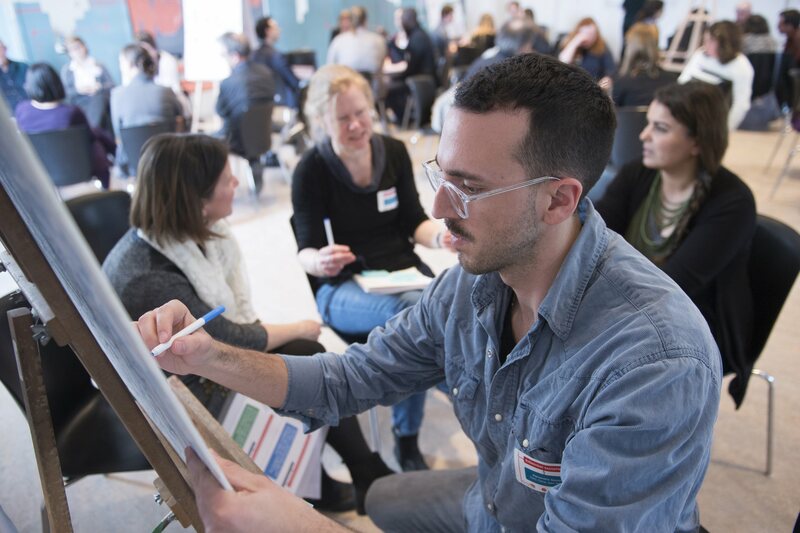 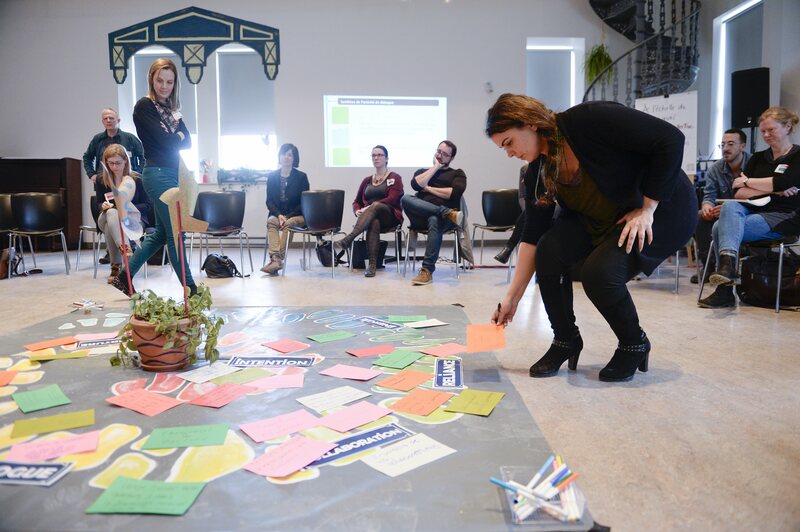 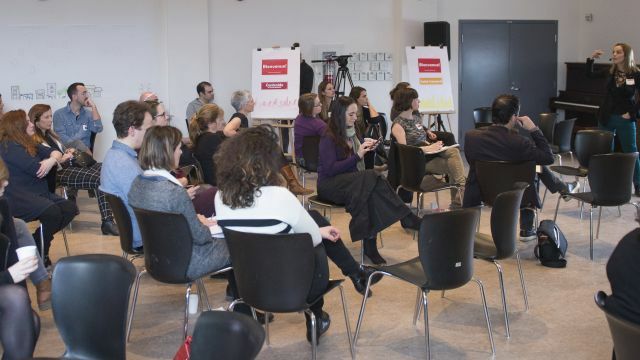 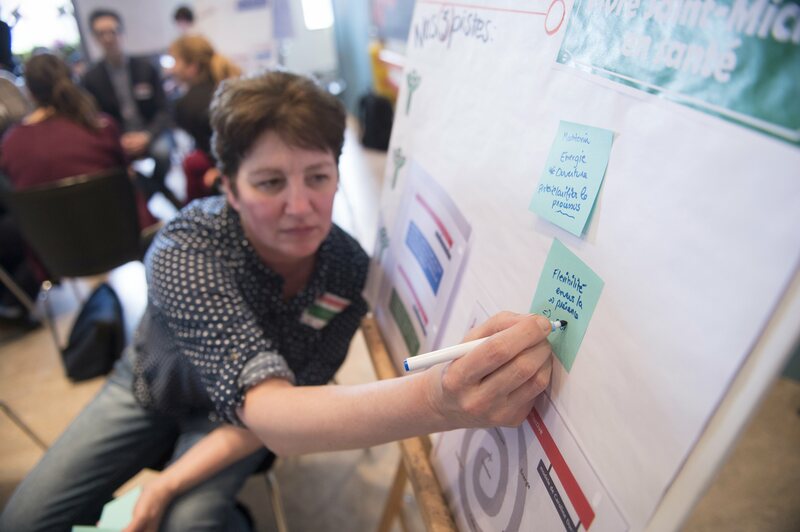 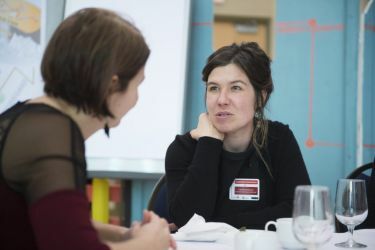 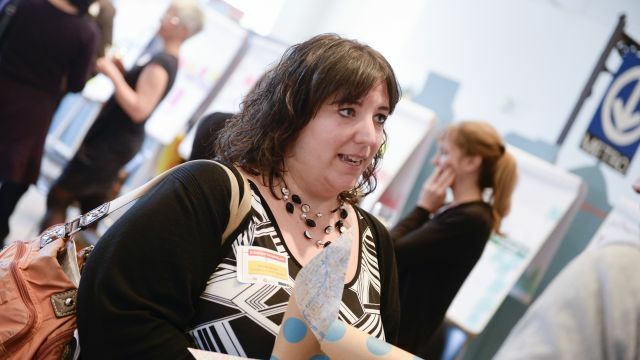 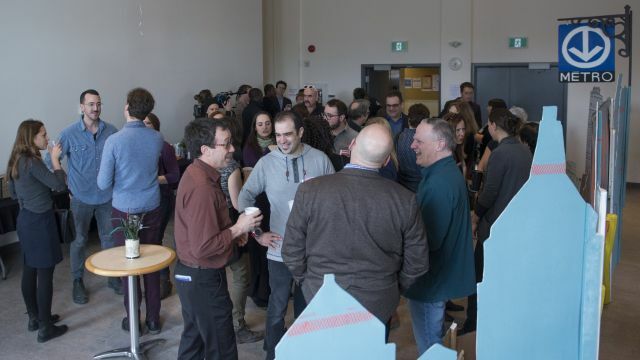 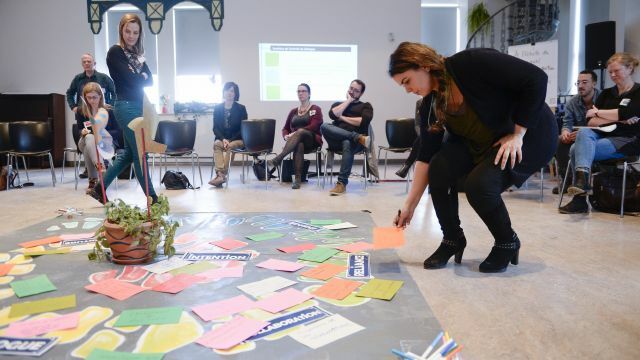 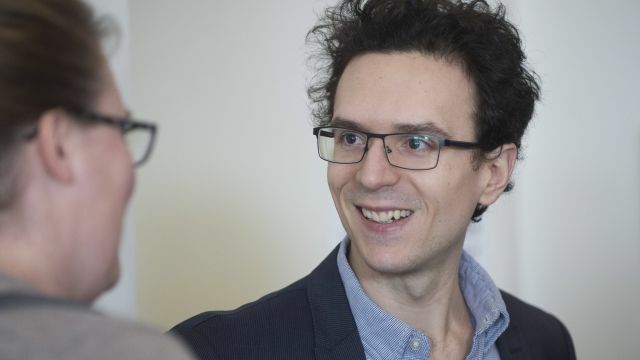 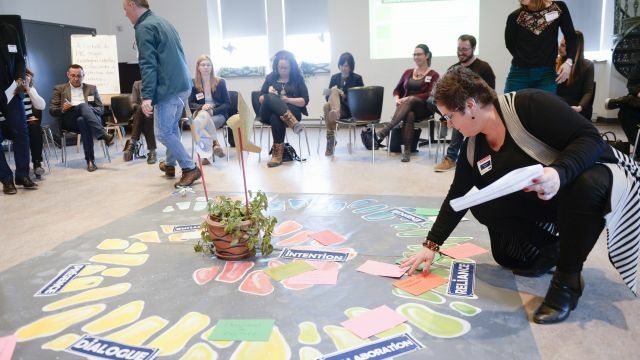 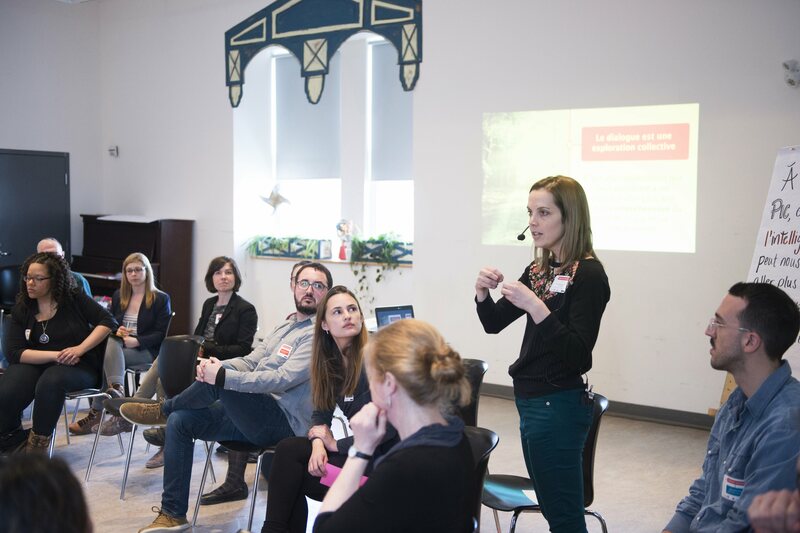 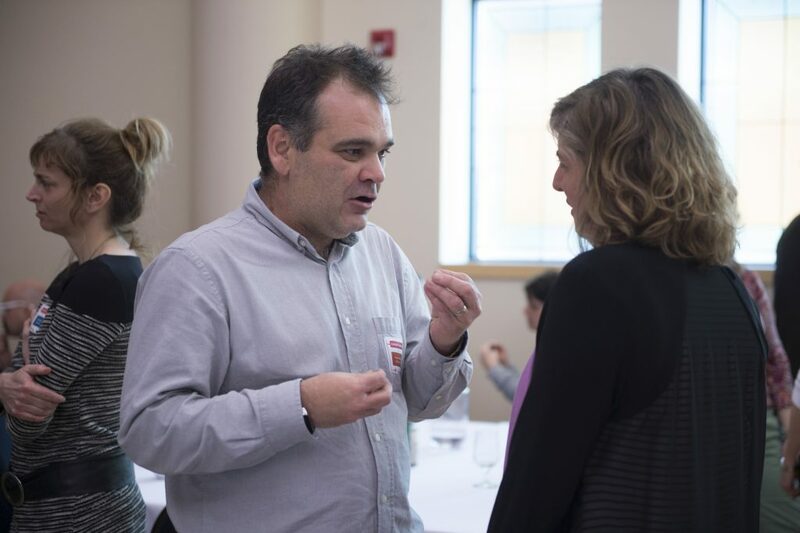 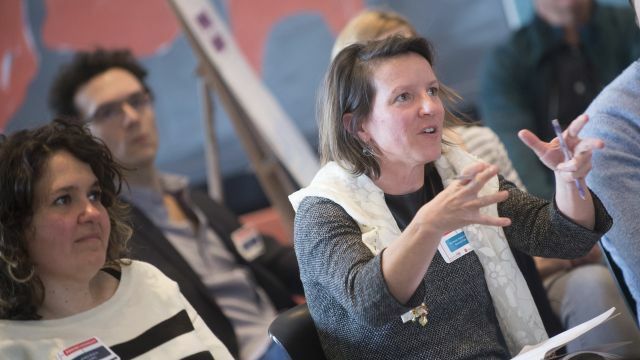 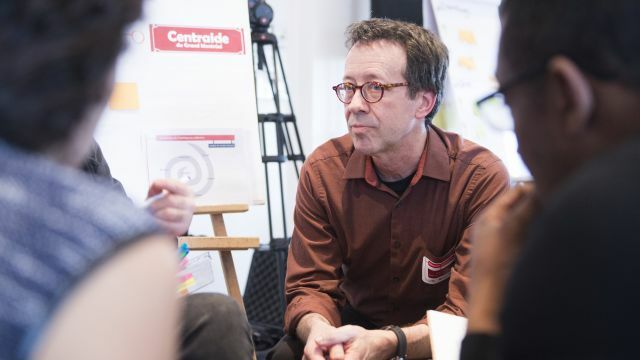 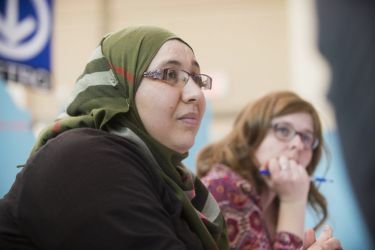 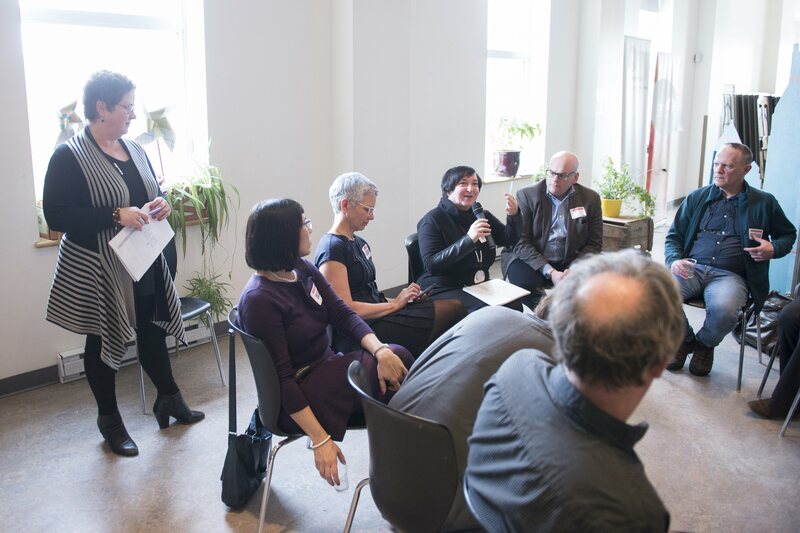 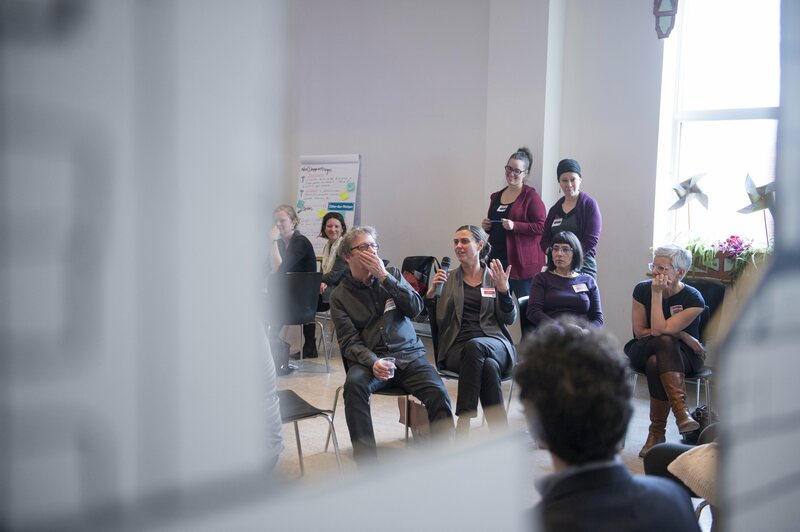 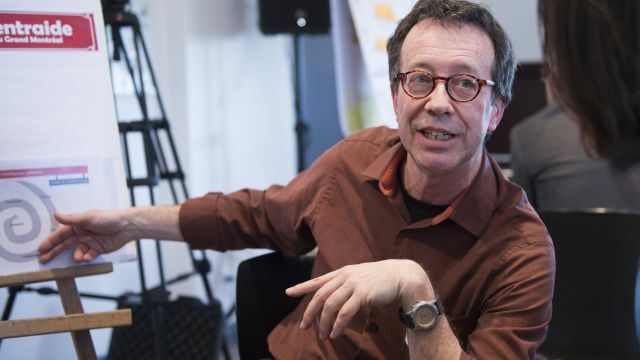 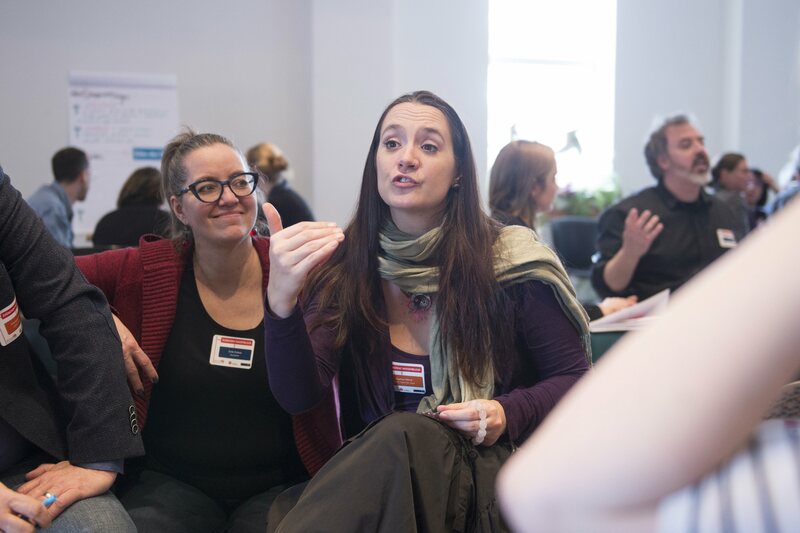 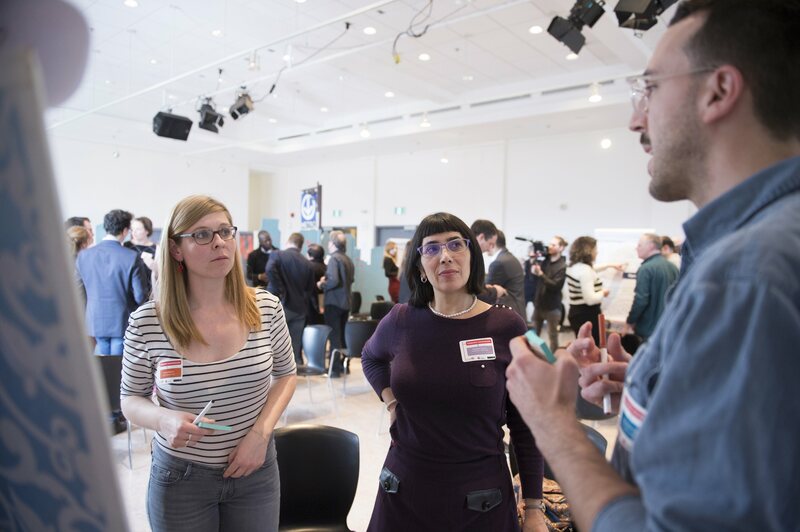 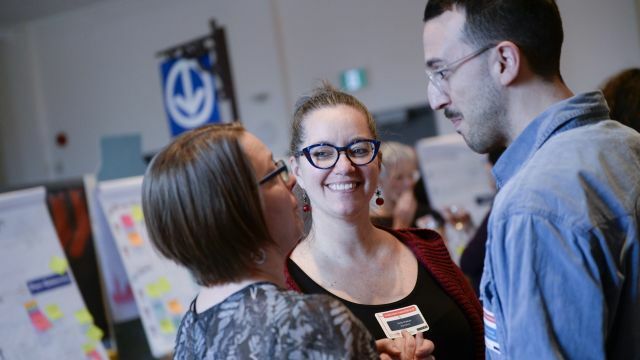 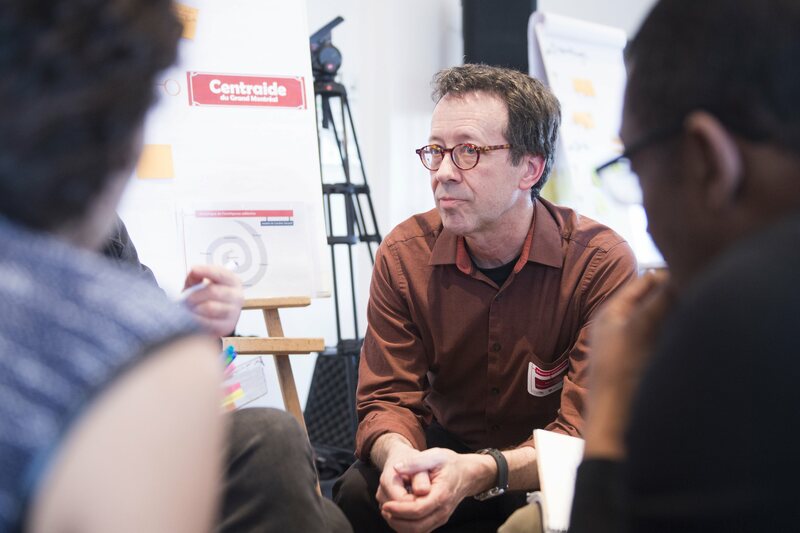 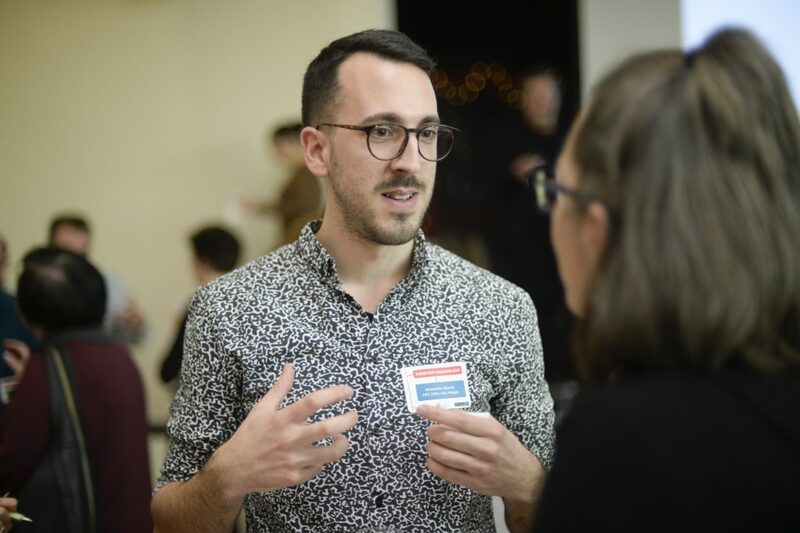 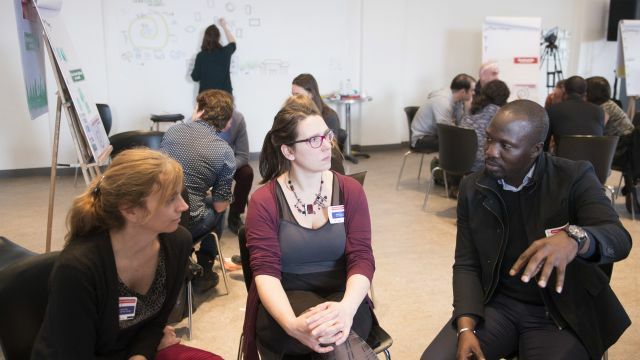 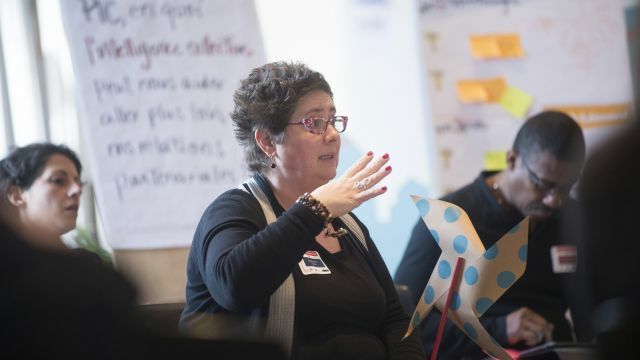 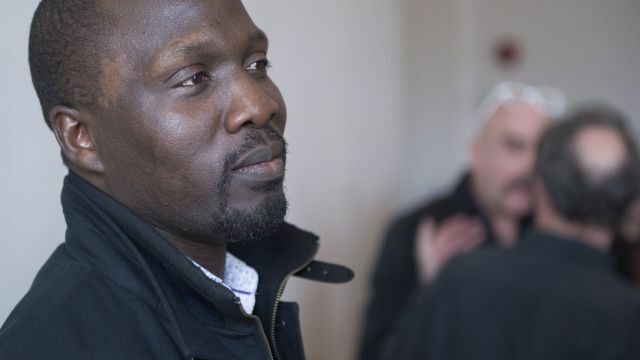 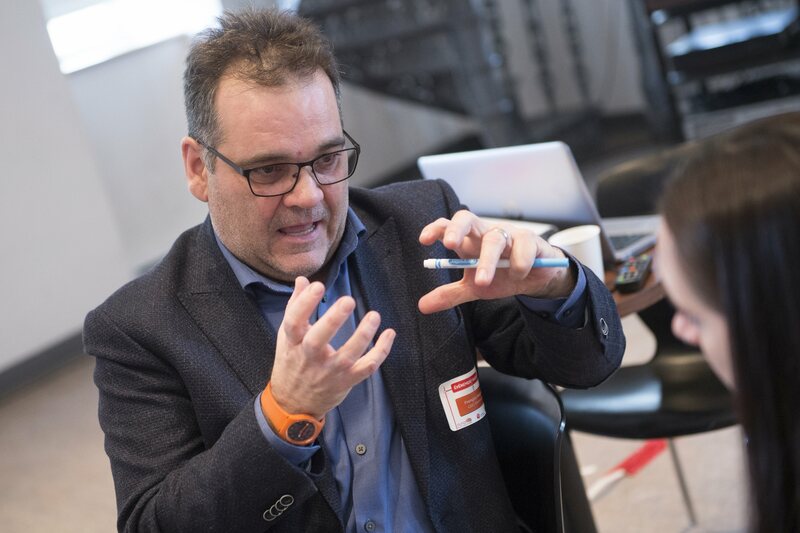 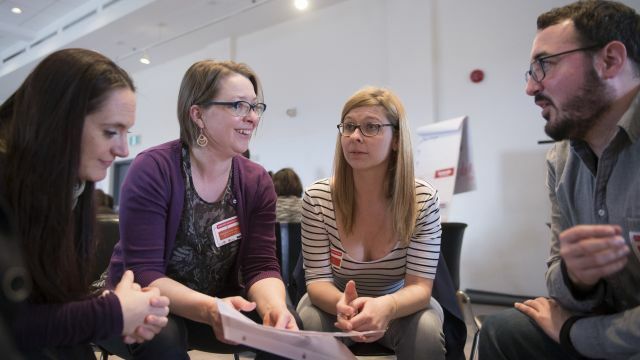 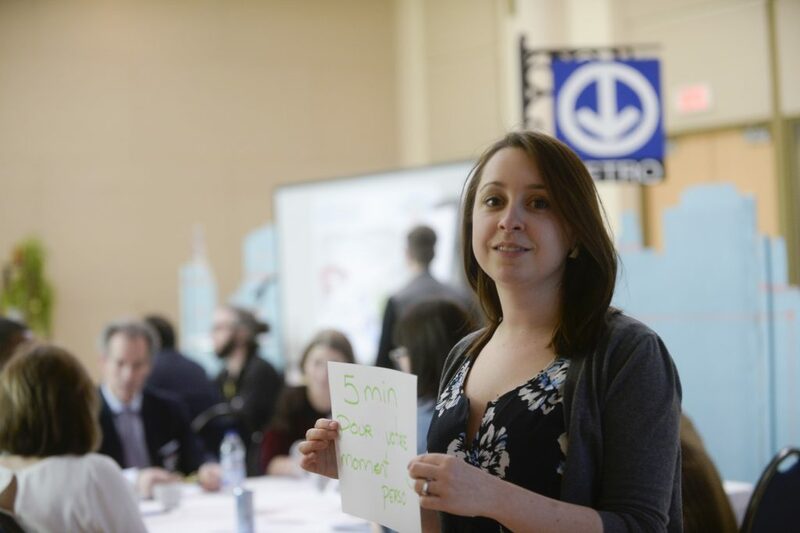 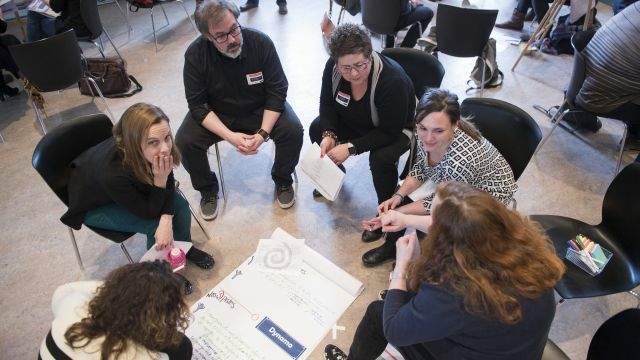 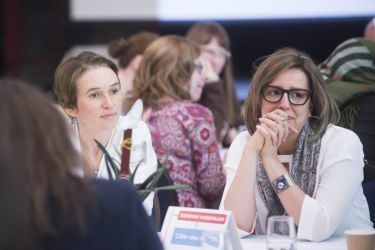 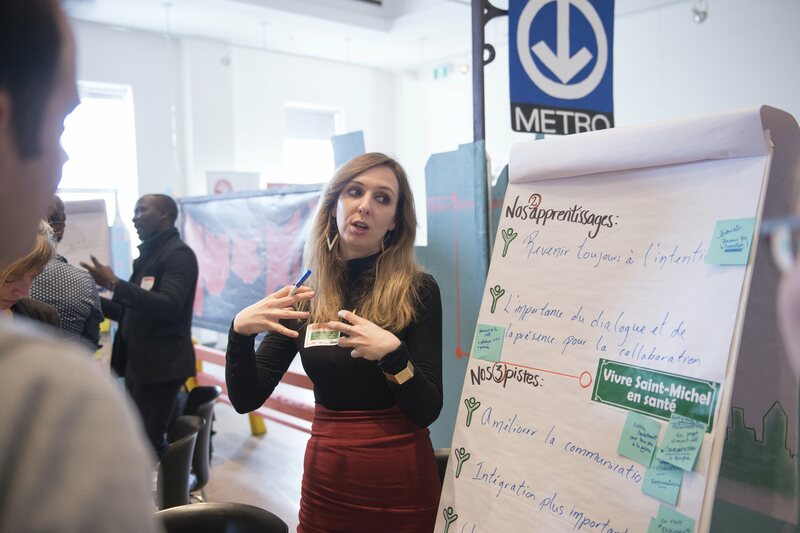 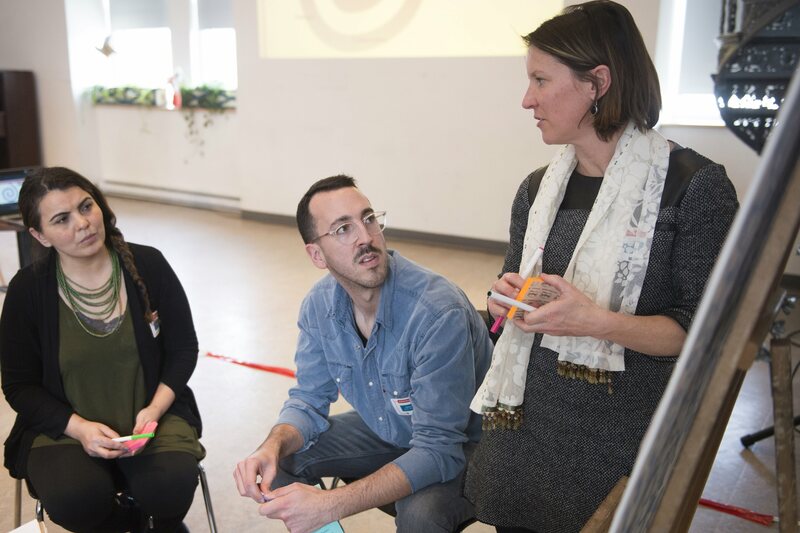 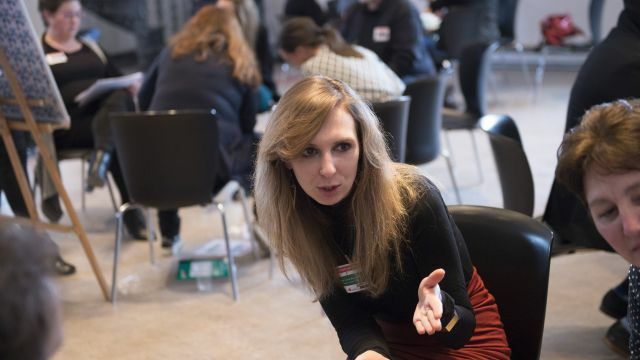 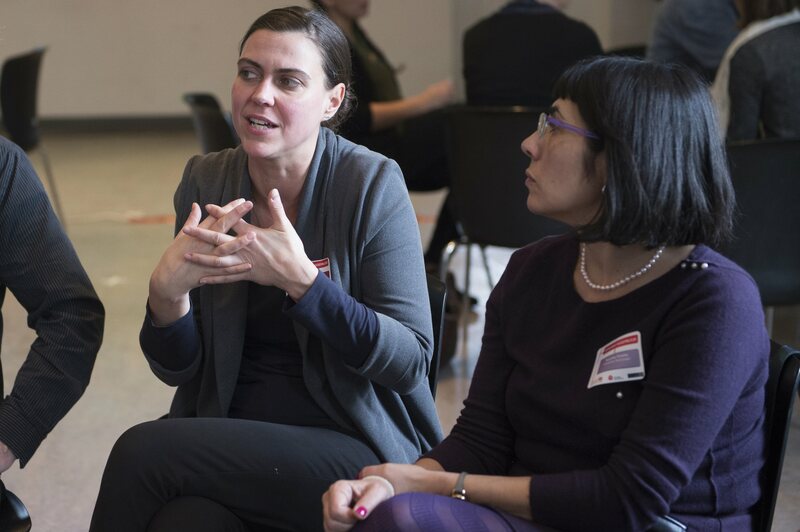 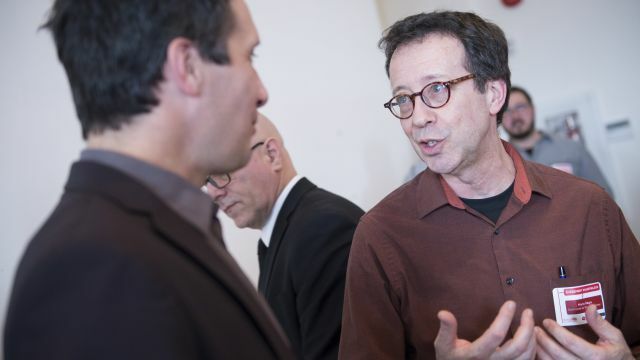 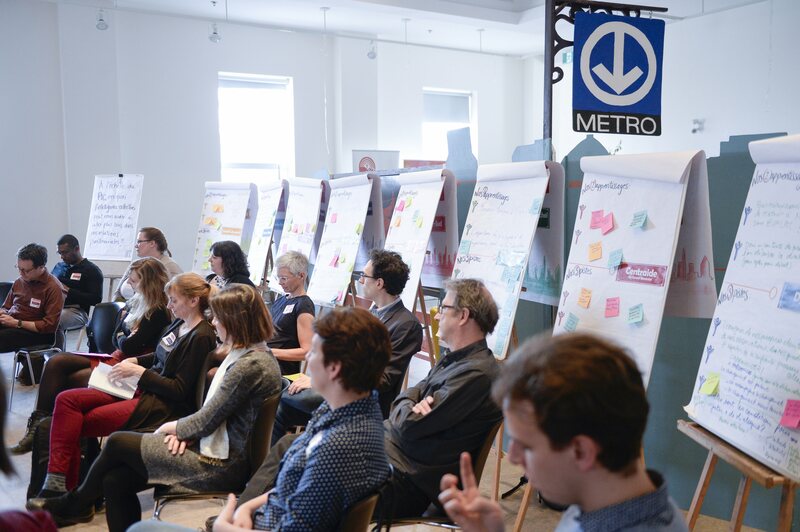 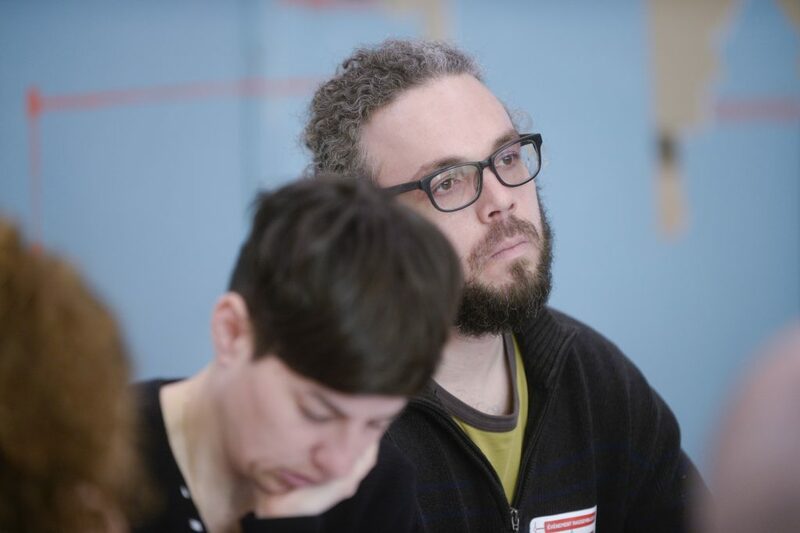 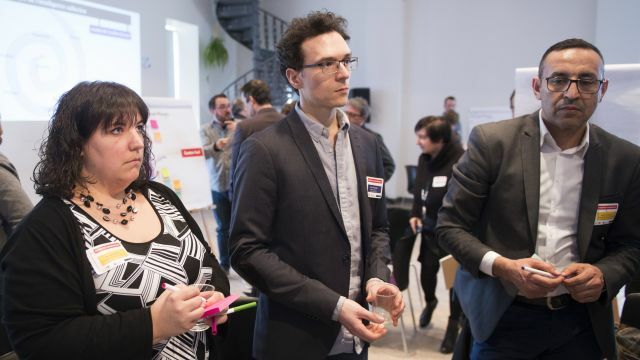 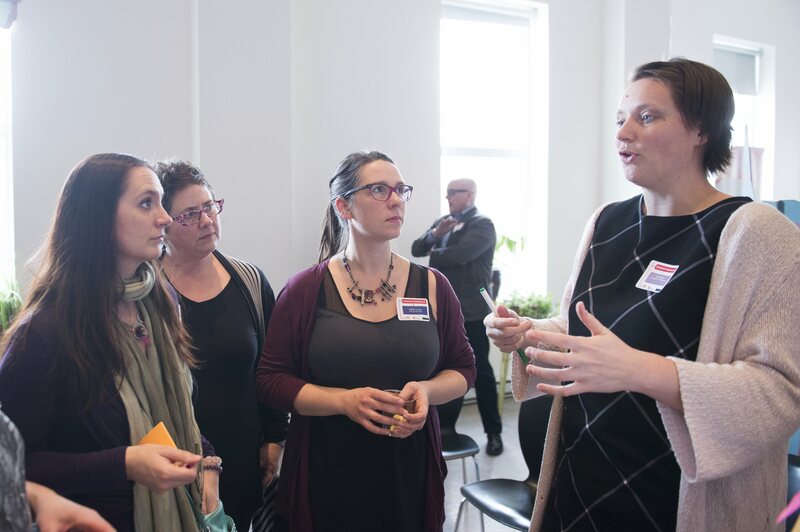 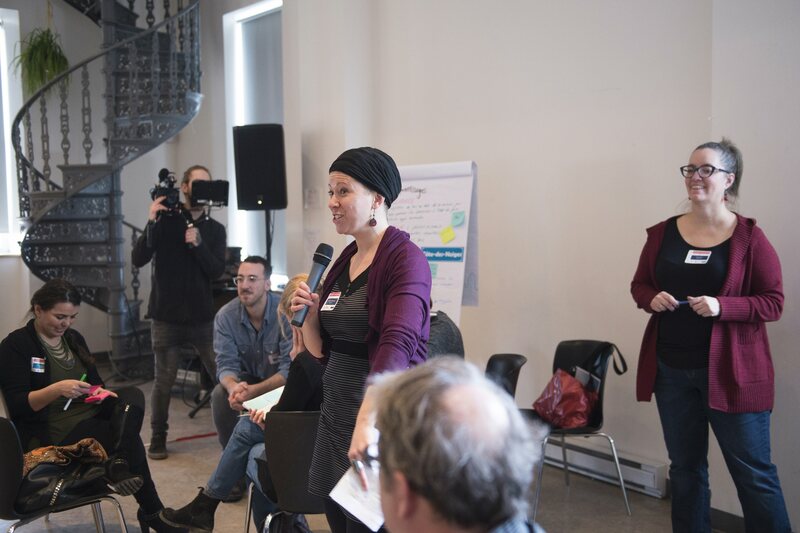 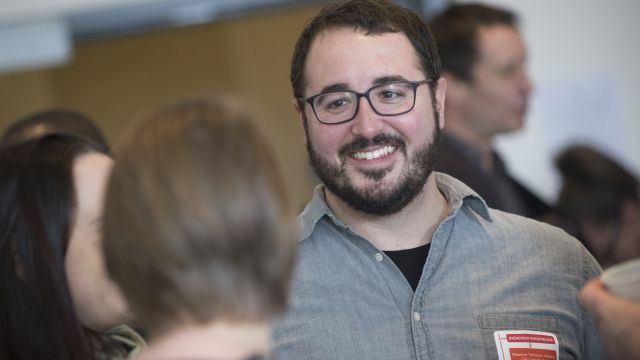 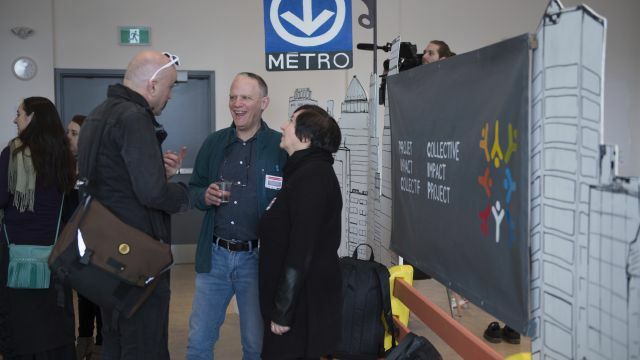 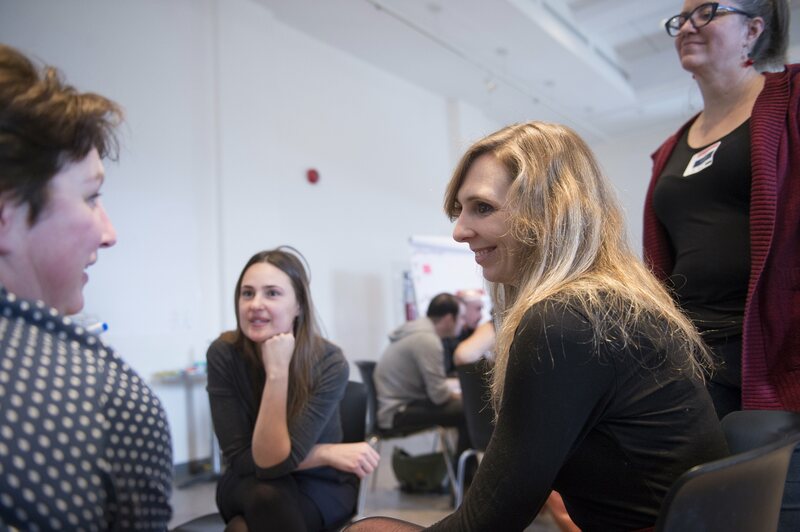 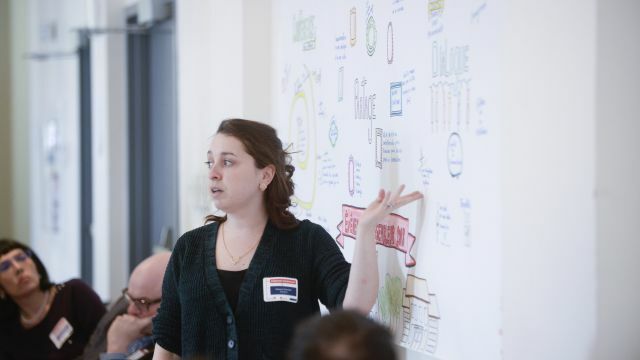 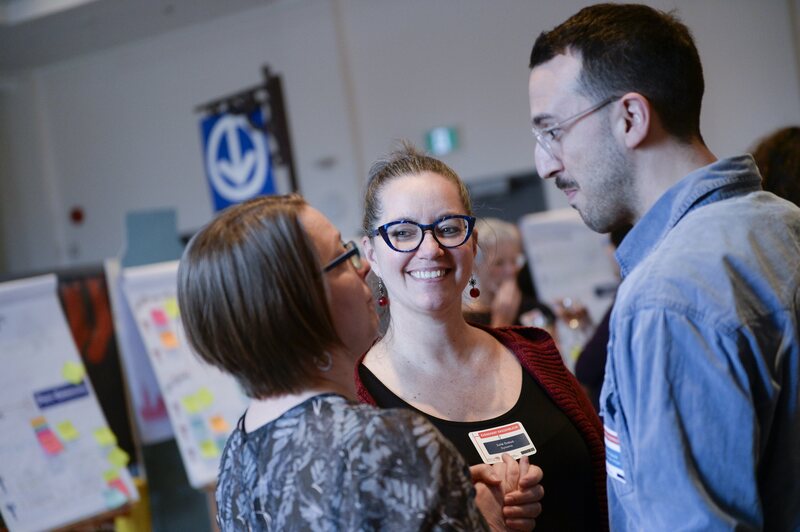 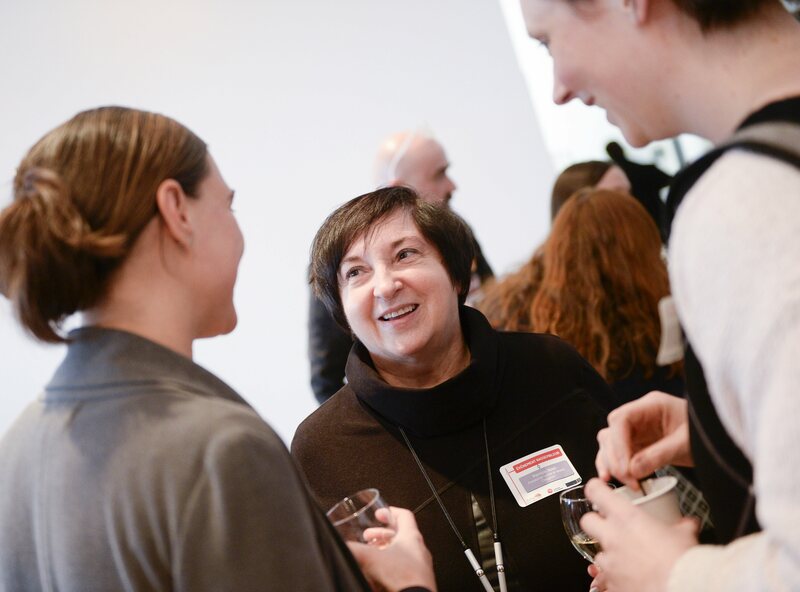 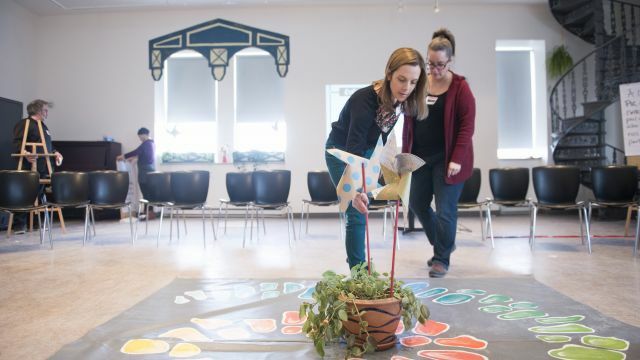 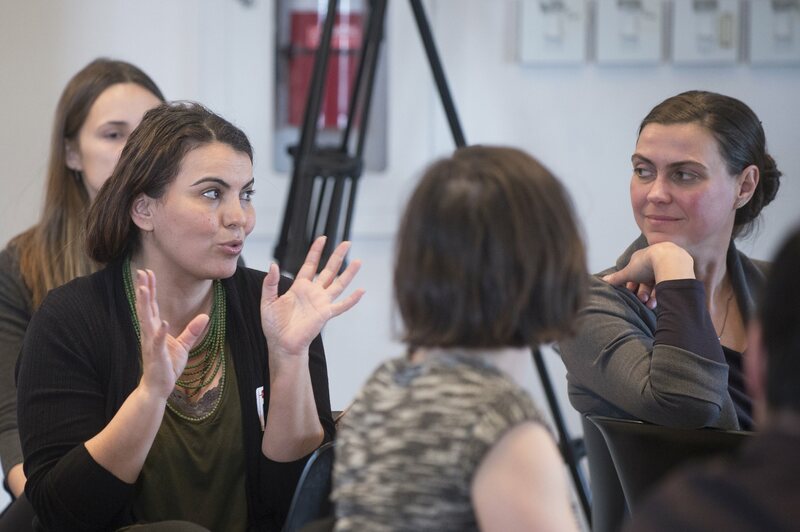 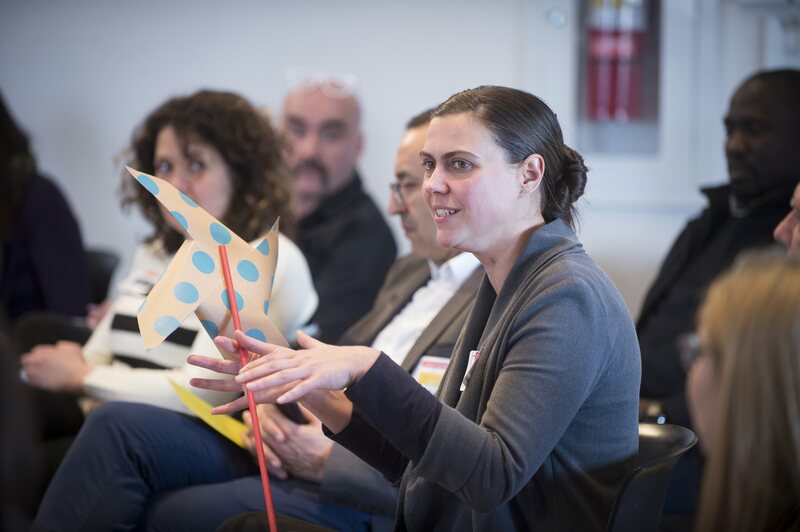 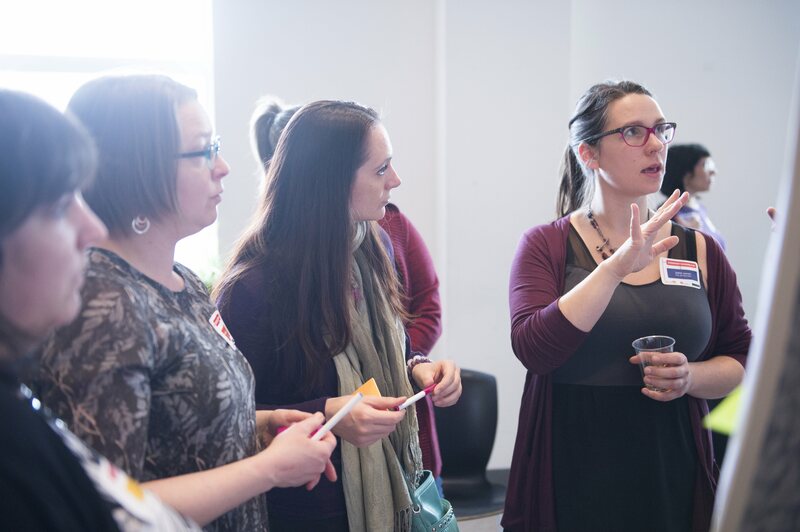 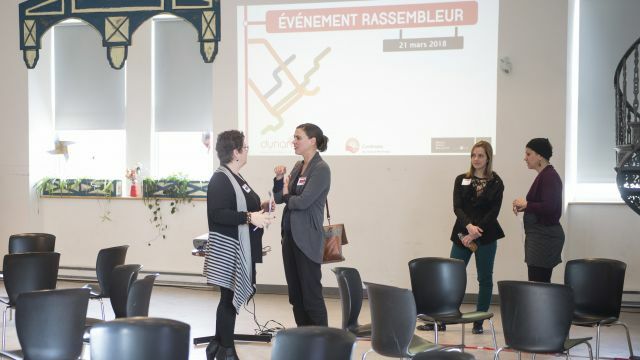 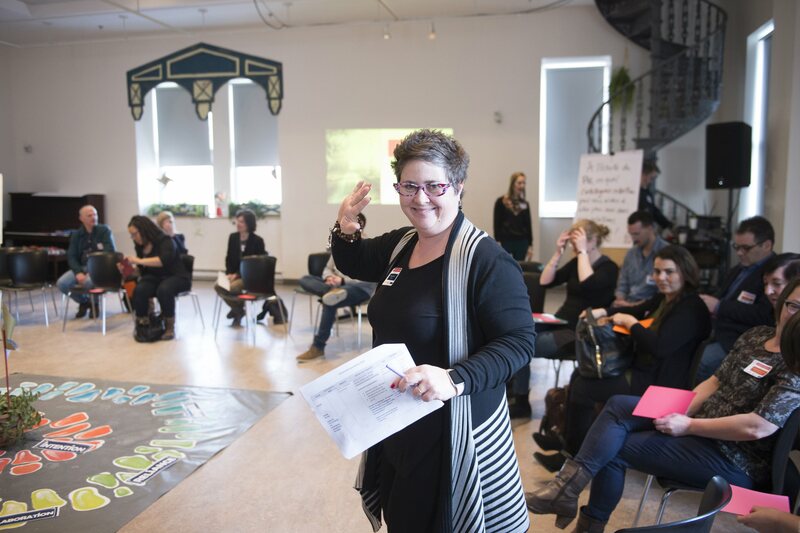 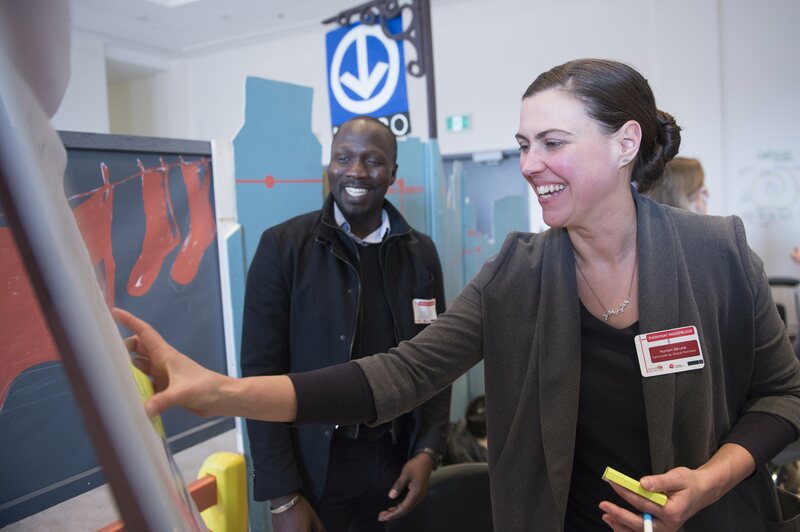 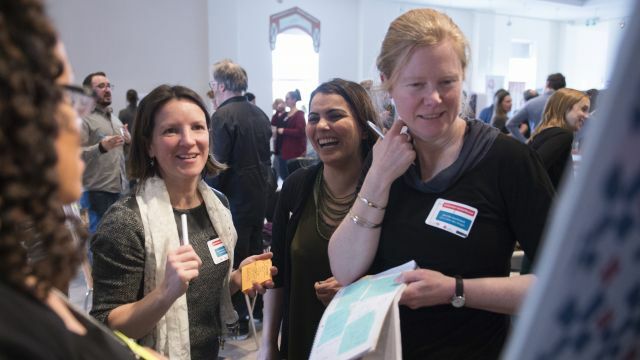 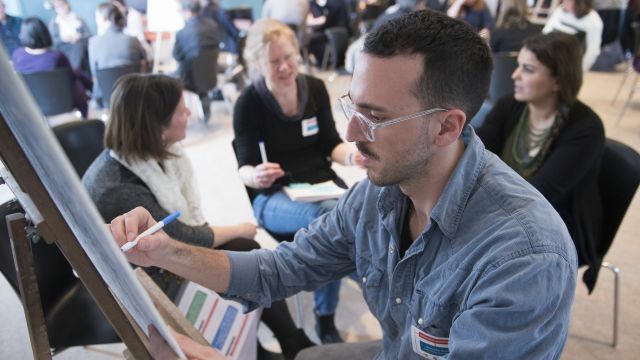 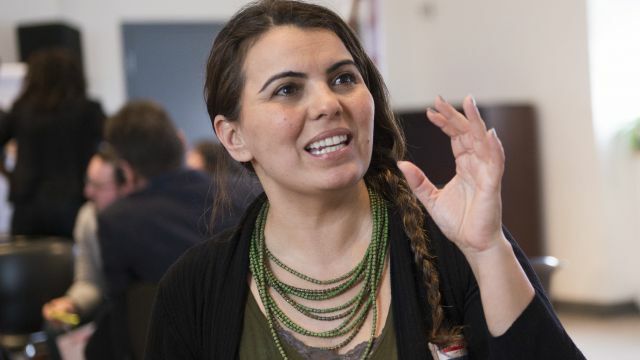 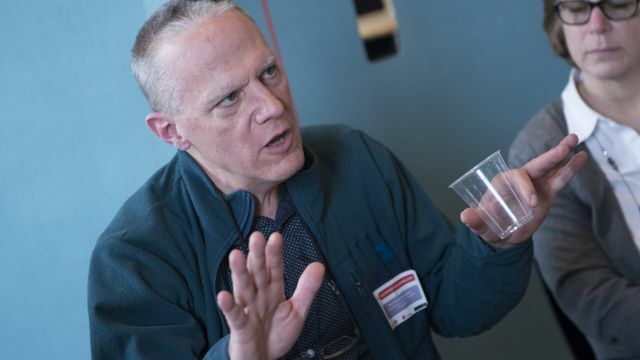 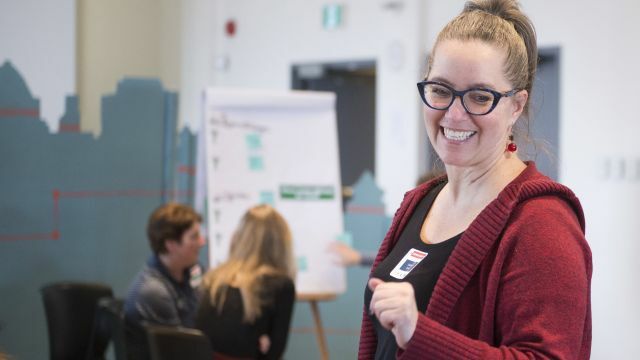 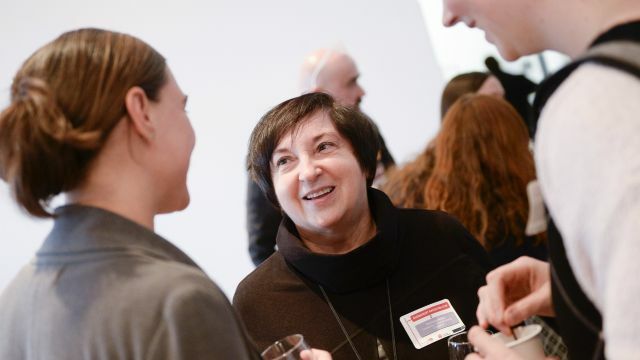 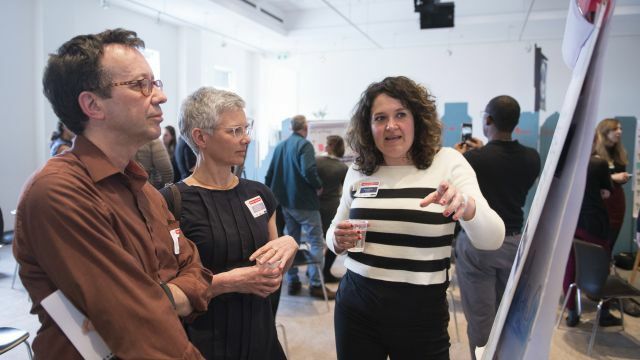 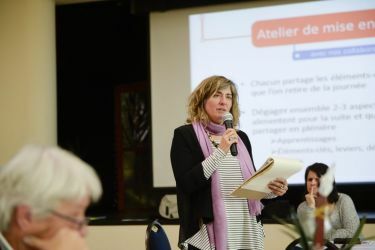 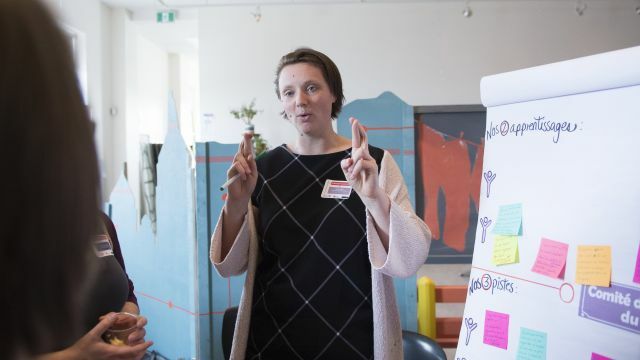 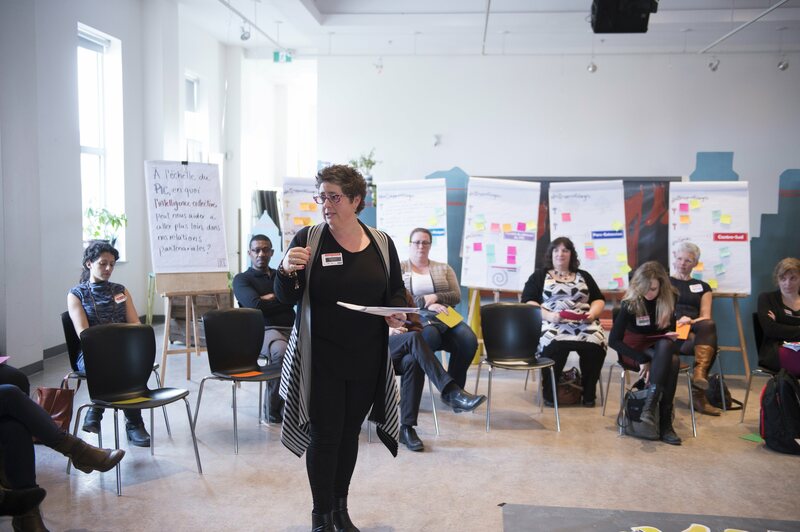 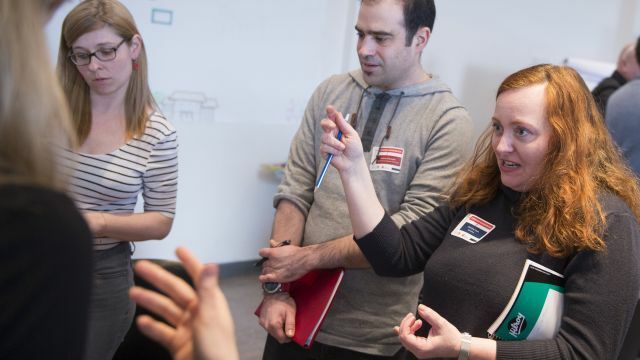 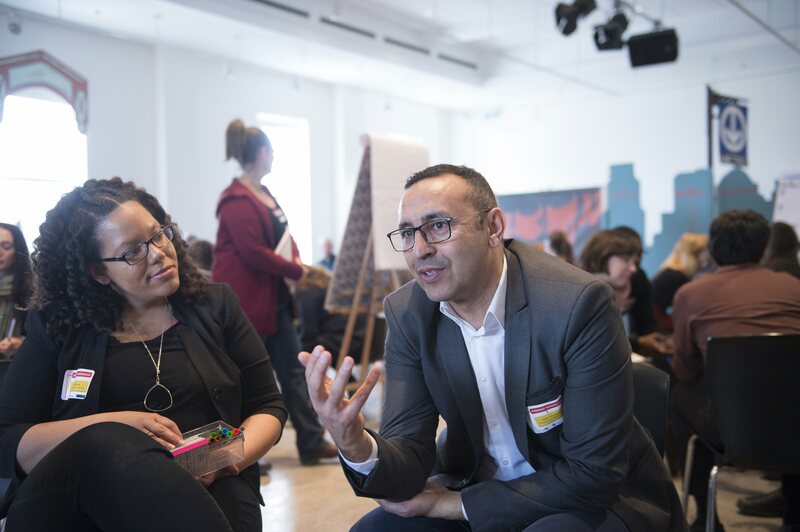 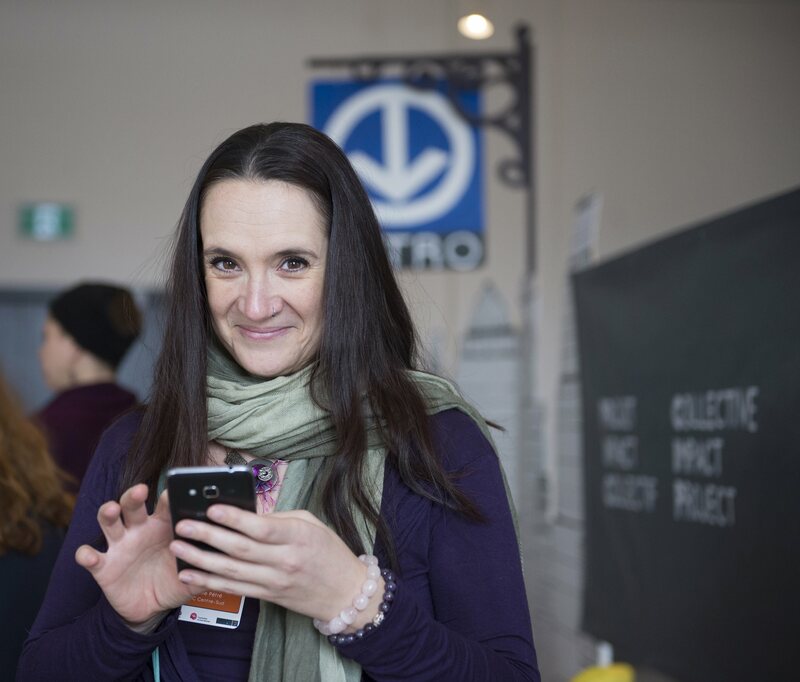 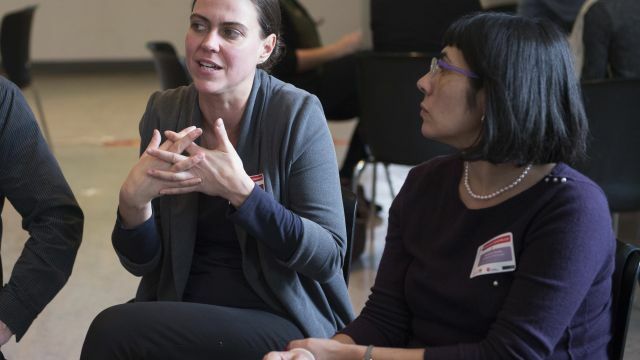 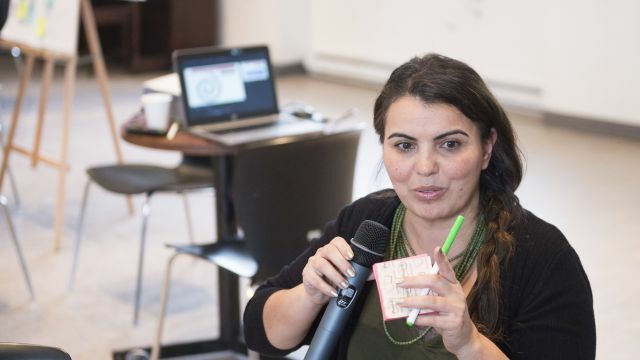 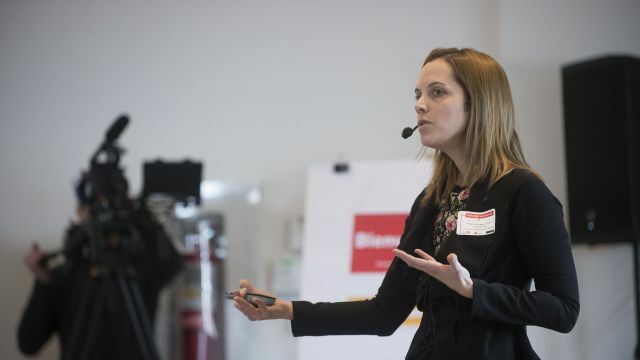 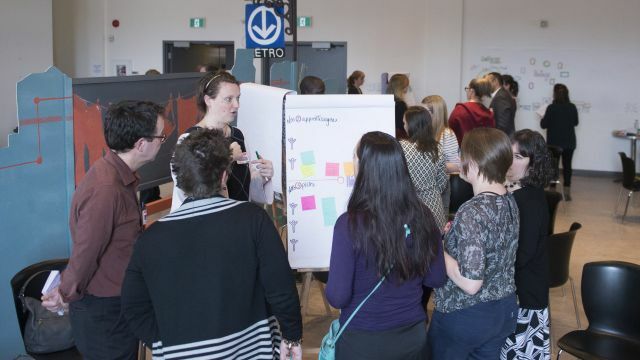 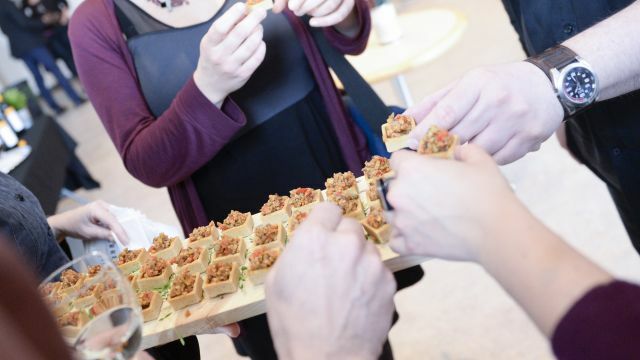 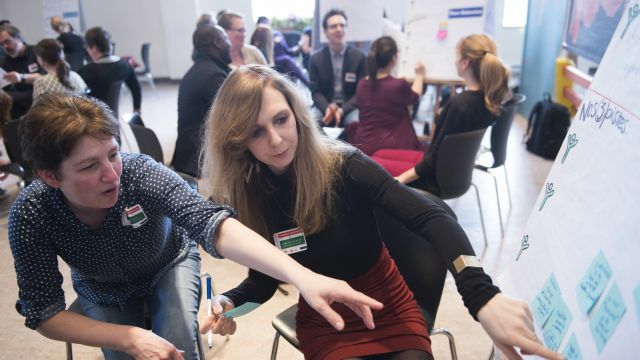 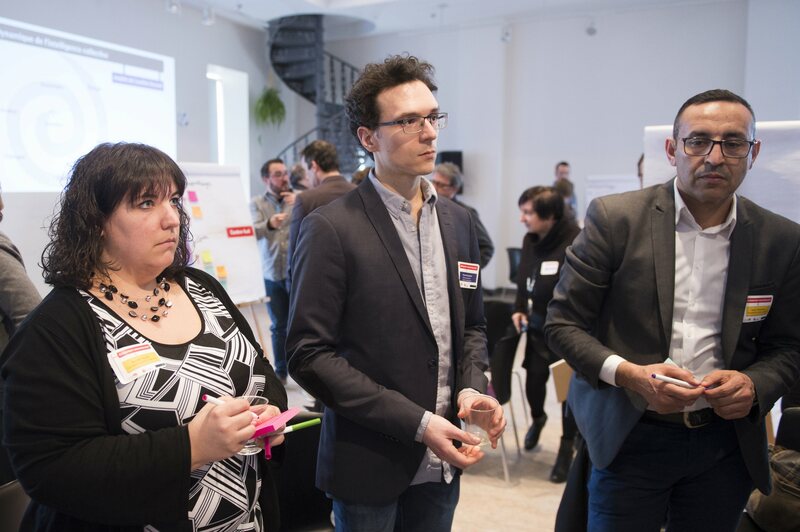 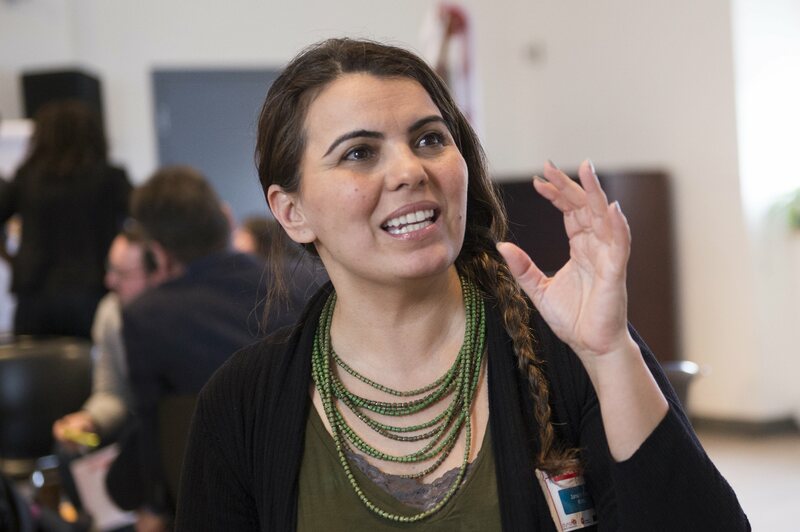 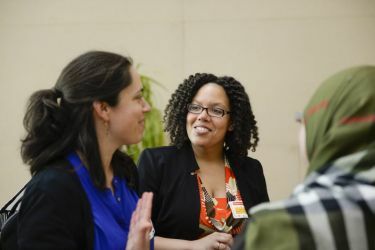 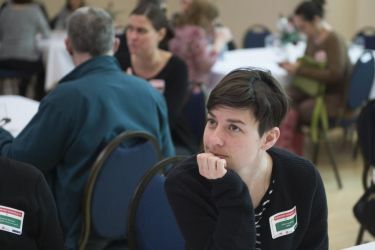 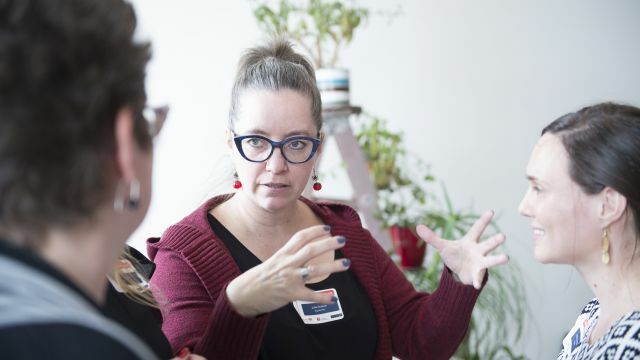 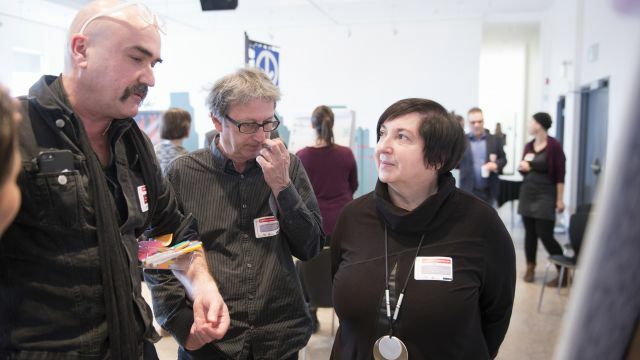 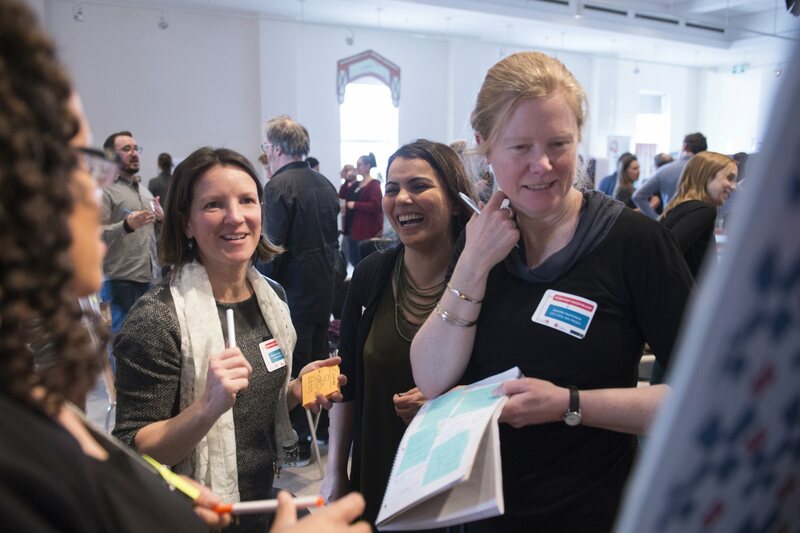 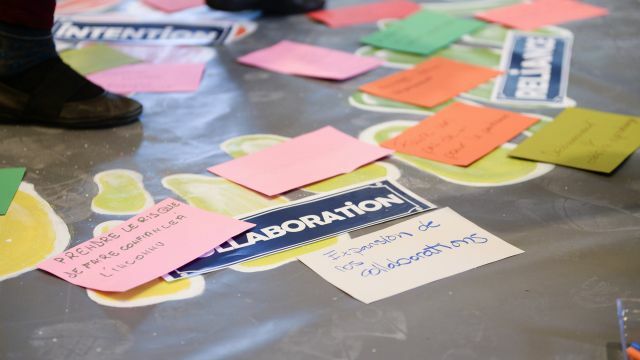 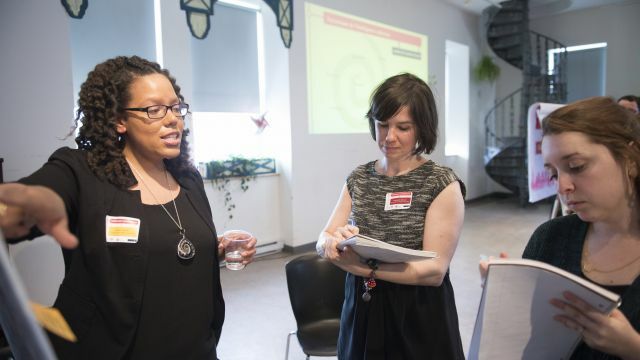 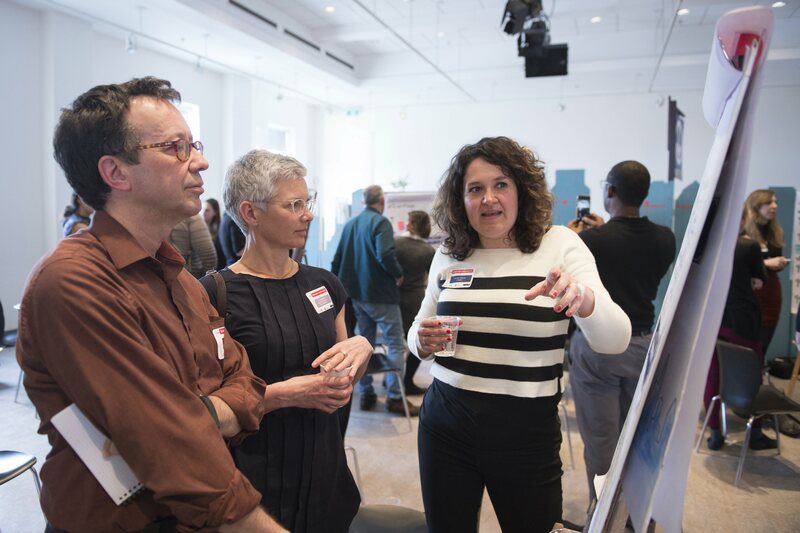 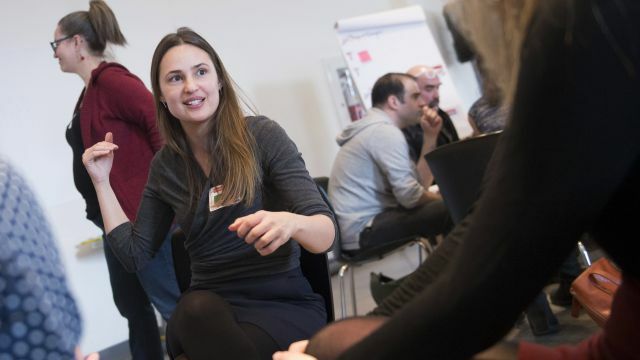 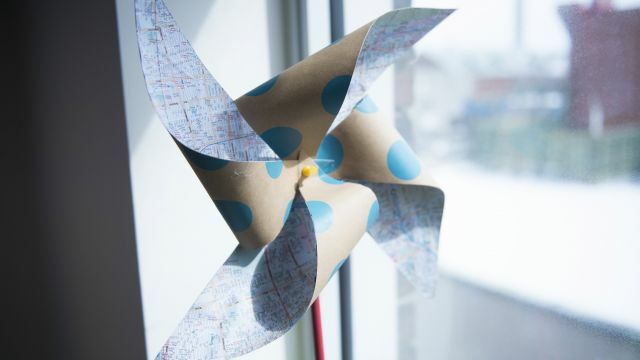 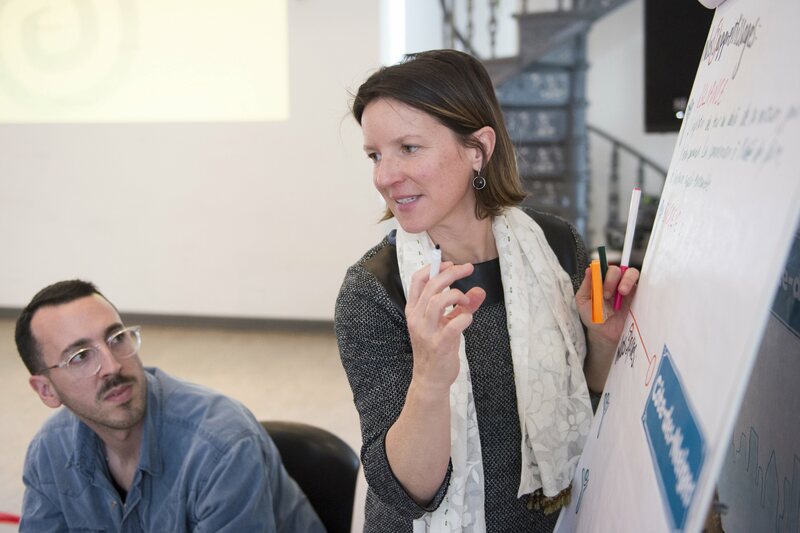 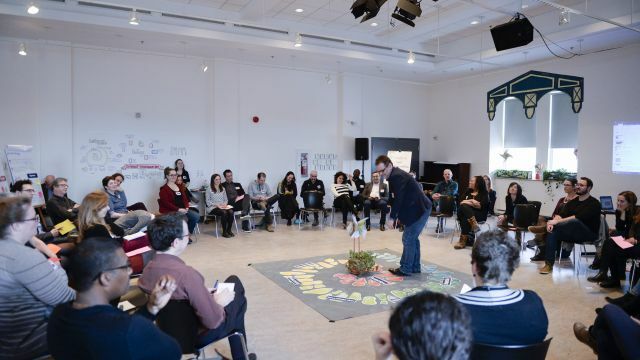 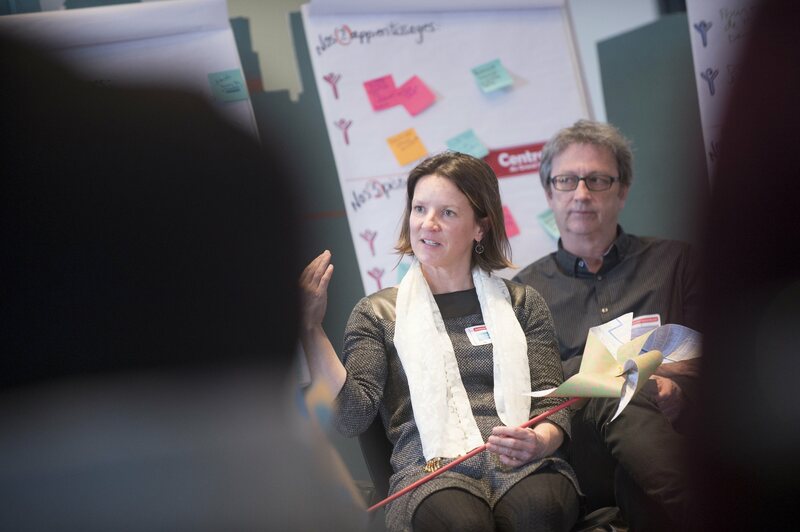 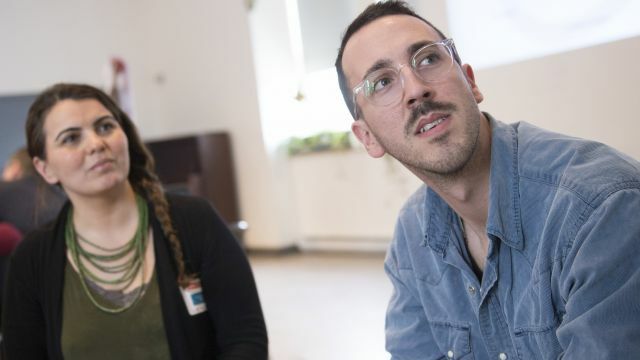 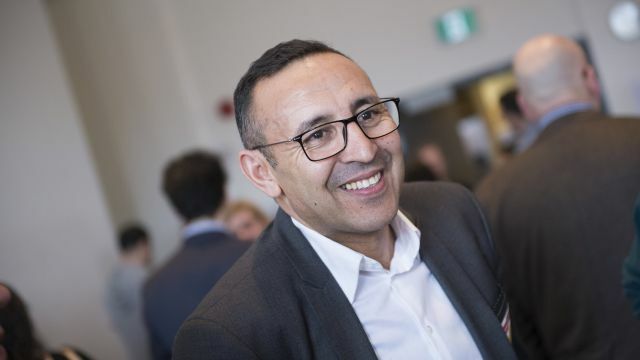 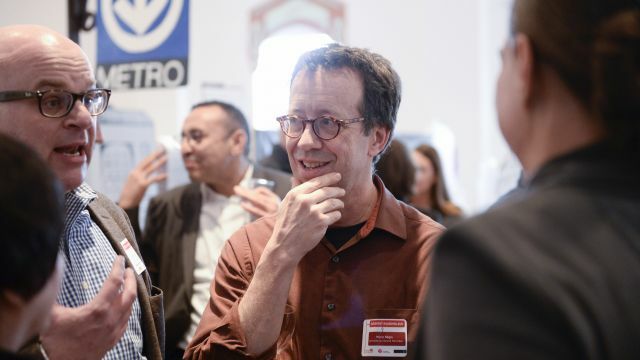 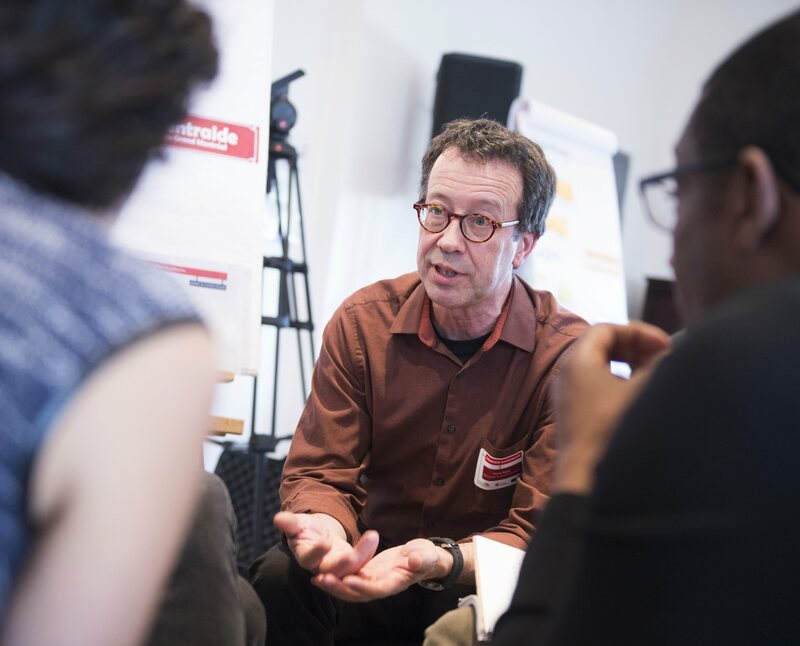 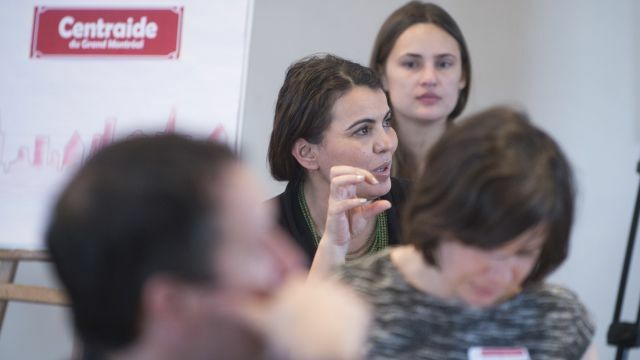 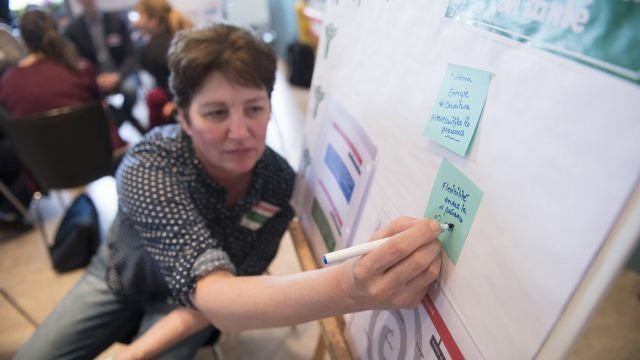 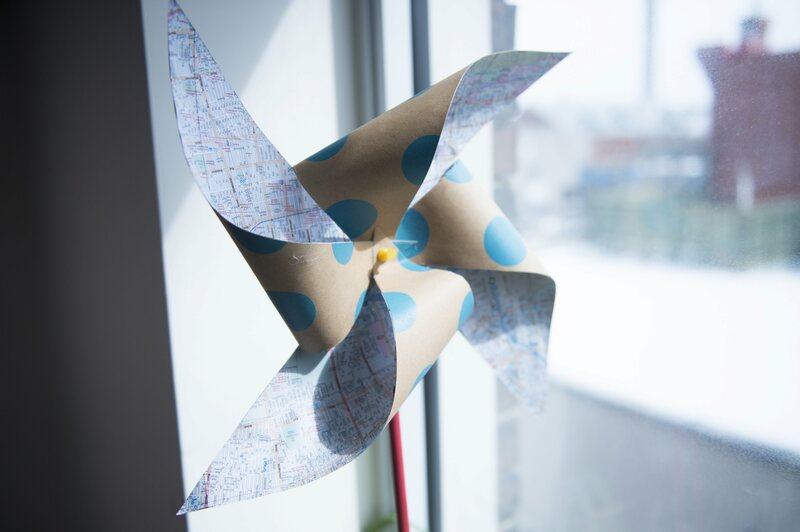 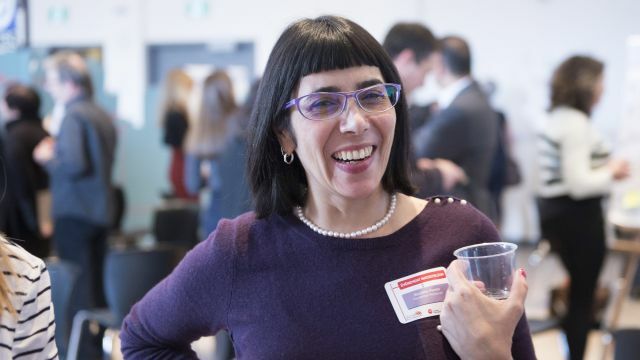 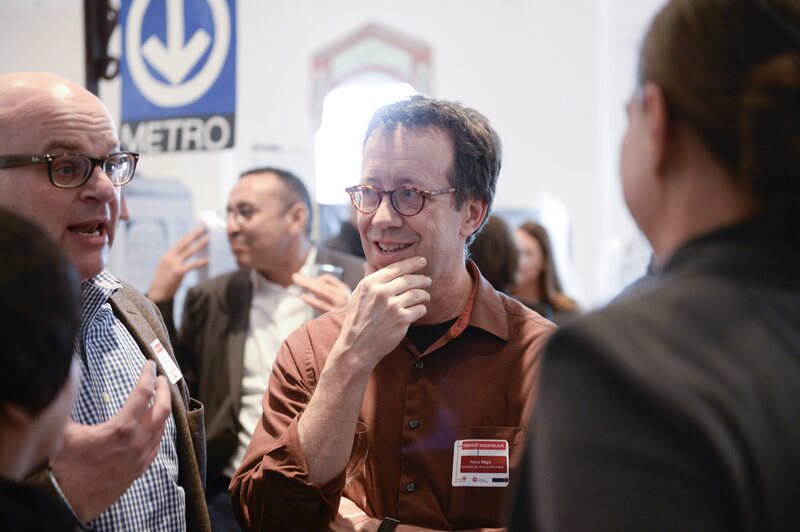 On March 21, Dynamo – Ressource en mobilisation des collectivités organized a second event to bring people together for the Collective Impact Project (CIP) that was coordinated by Centraide of Greater Montreal. 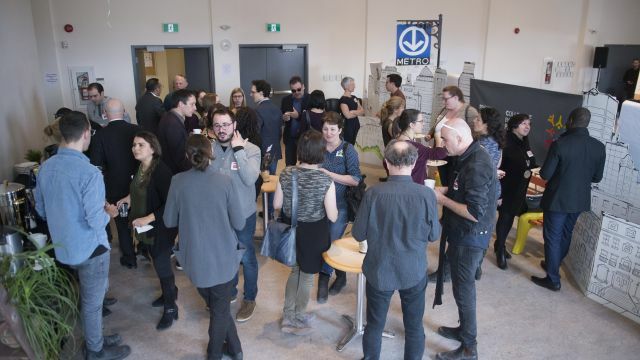 This is a key moment in the year when the different CIP partners get together, talk and share their knowledge about the project deployment. 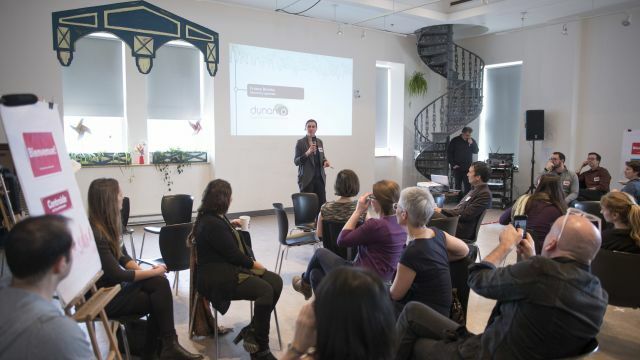 Dynamo wanted to create an inspiring and open environment that focuses on collective intelligence. 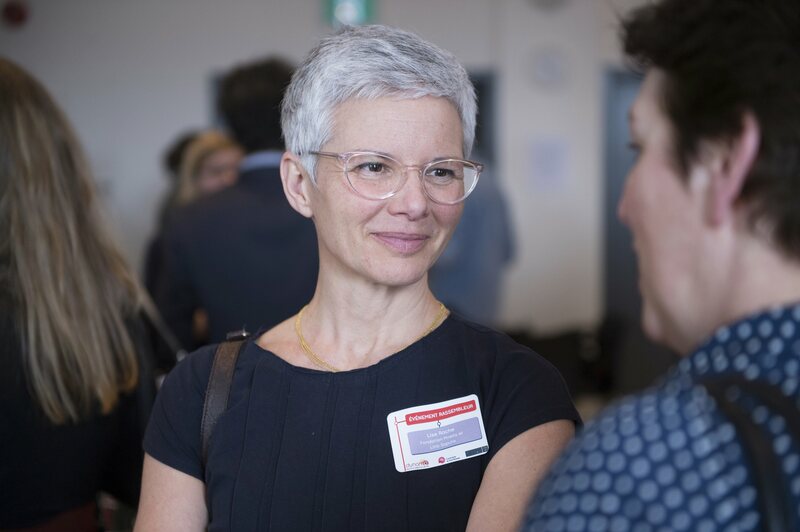 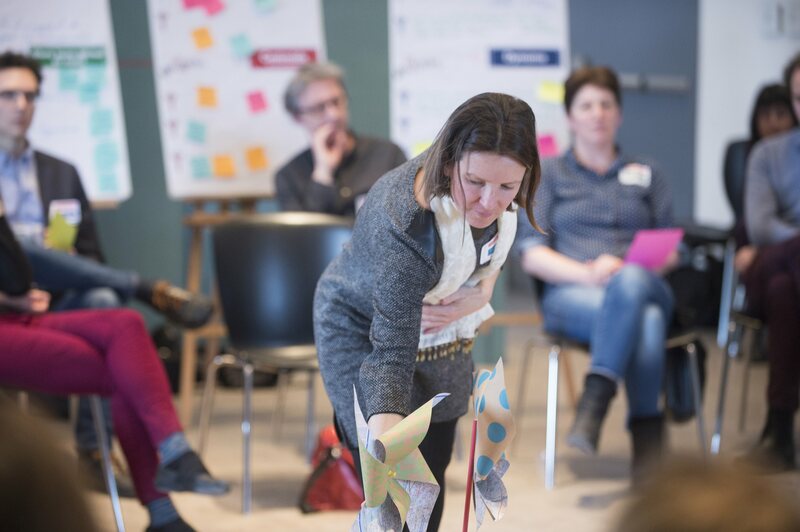 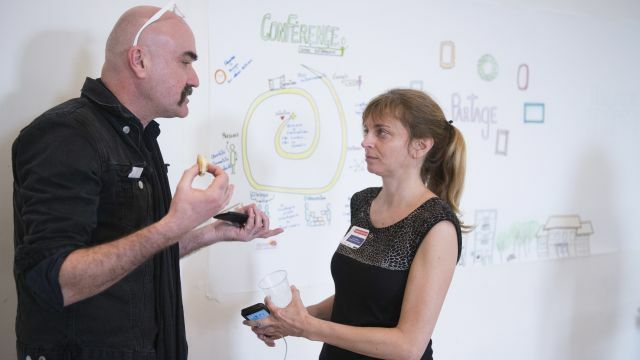 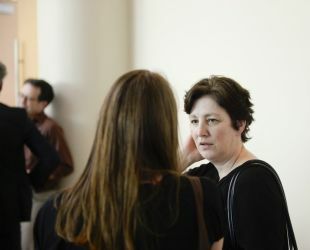 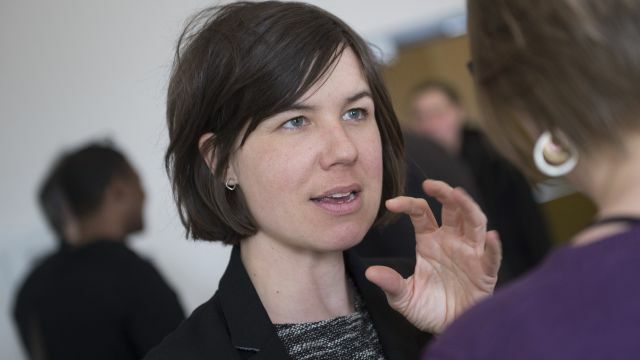 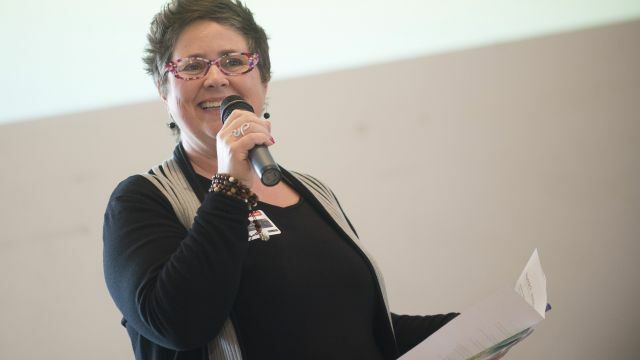 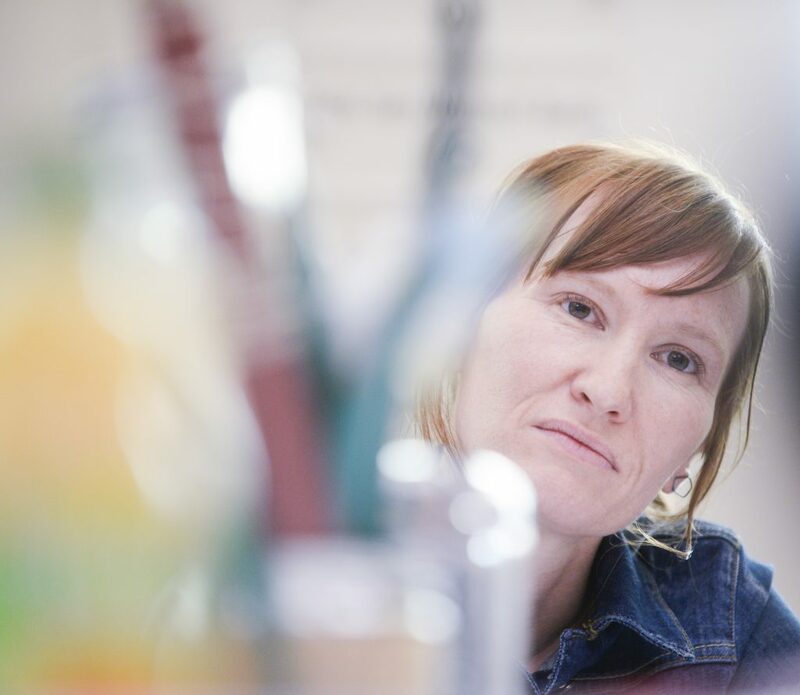 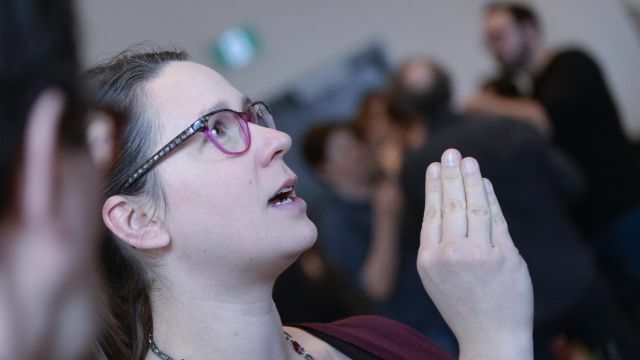 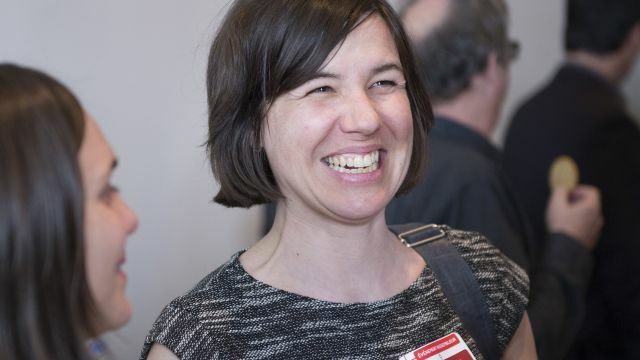 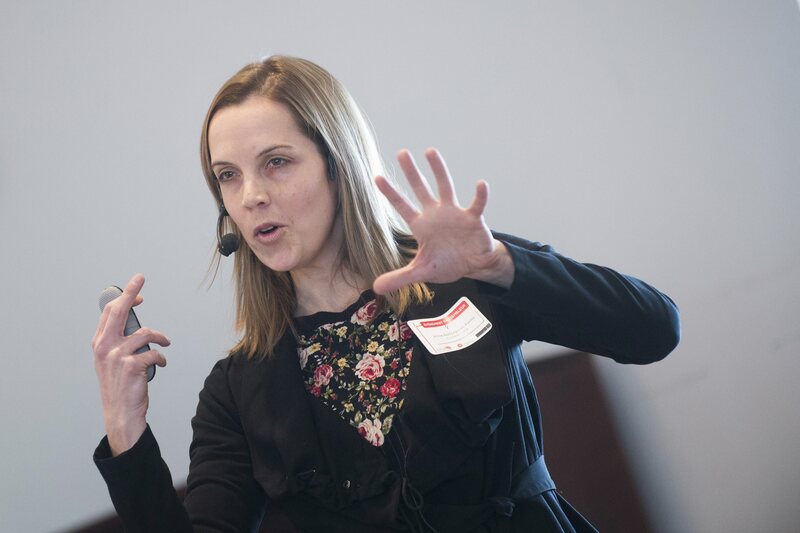 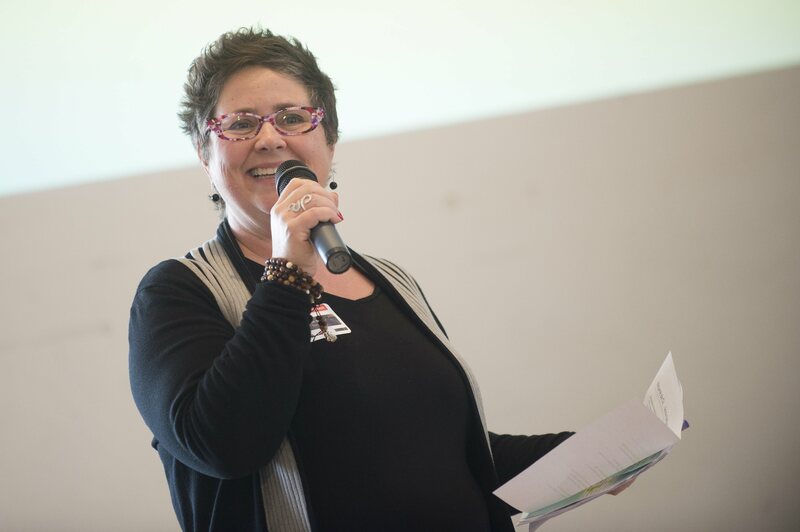 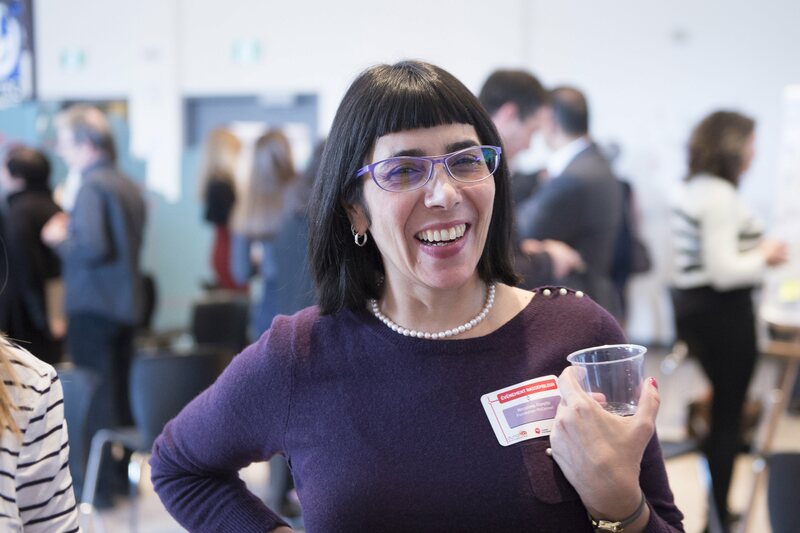 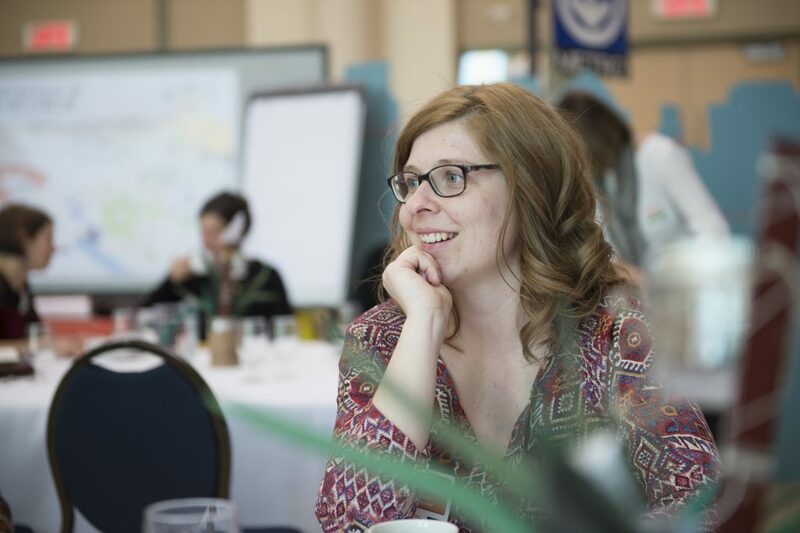 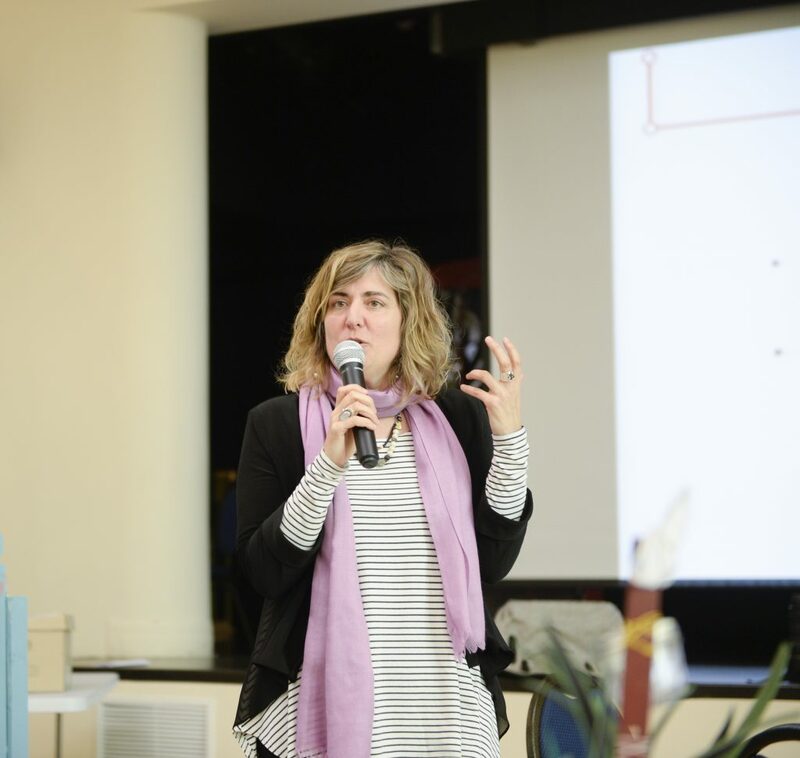 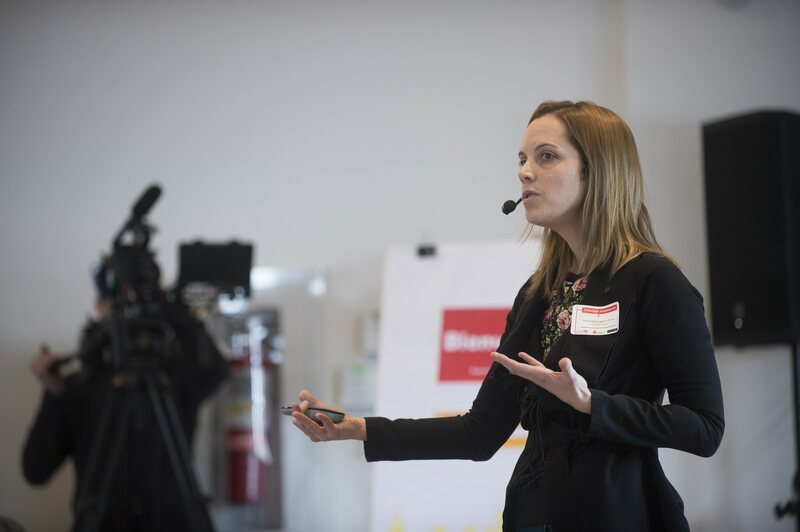 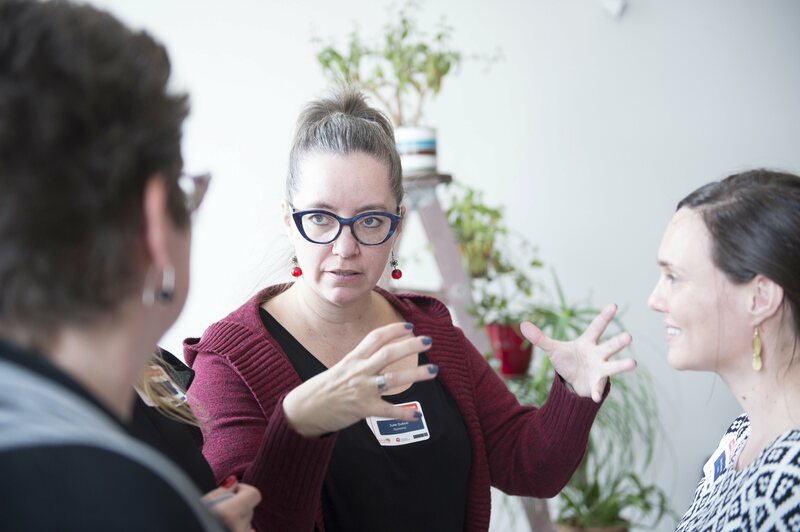 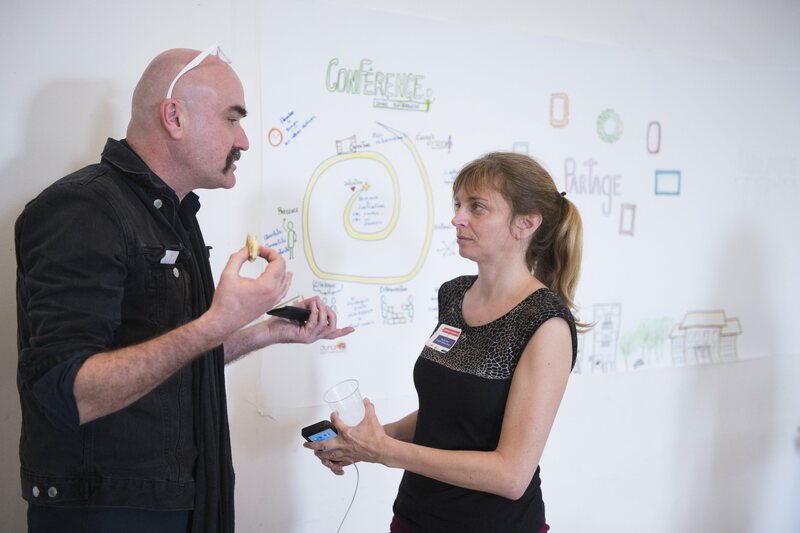 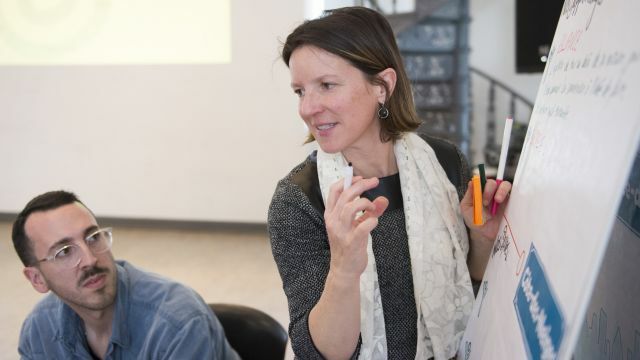 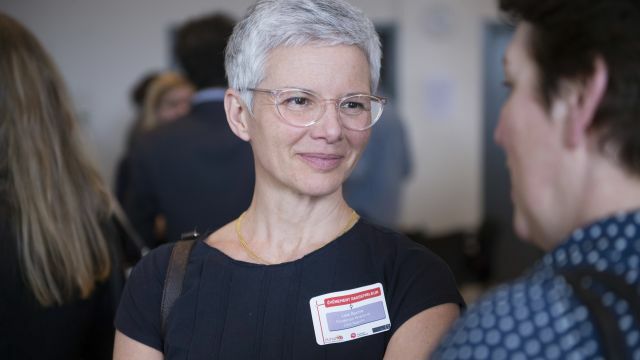 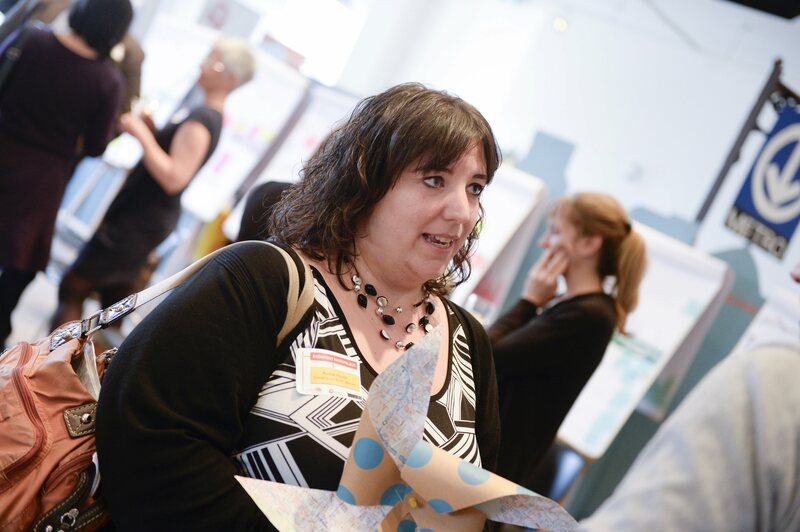 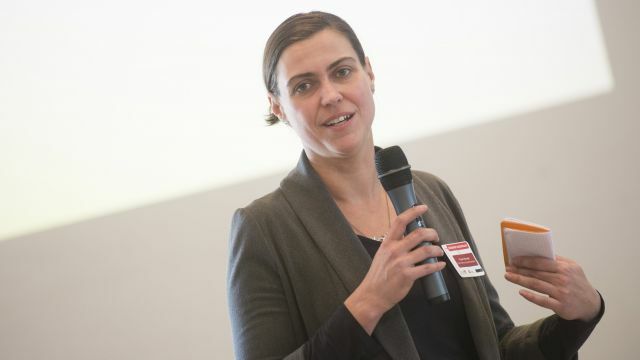 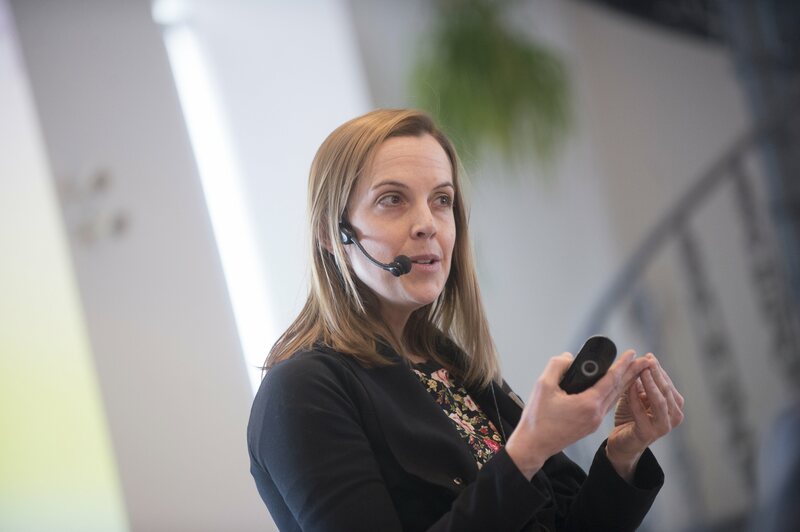 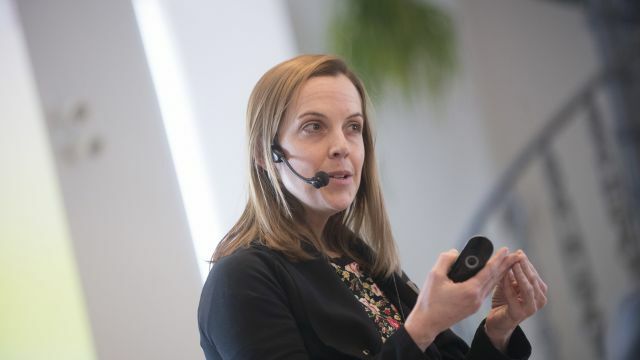 Annie Baillargeon Fortin, a change, innovation and creativity consultant and lecturer in communications at UQAM, presented the spiral model and its 7 dimensions (developed by Caroline Durand). 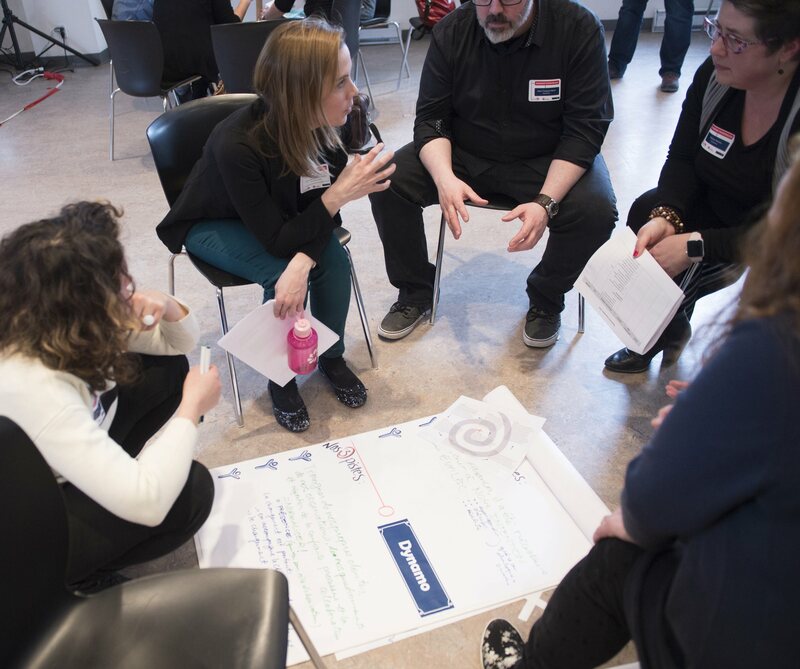 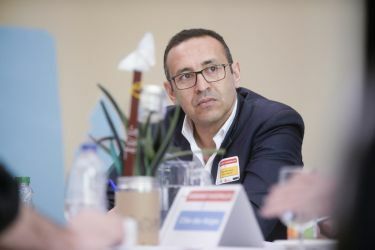 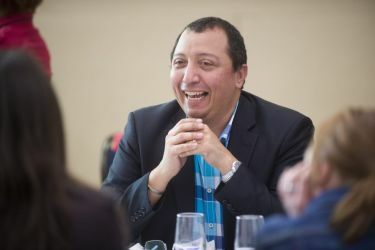 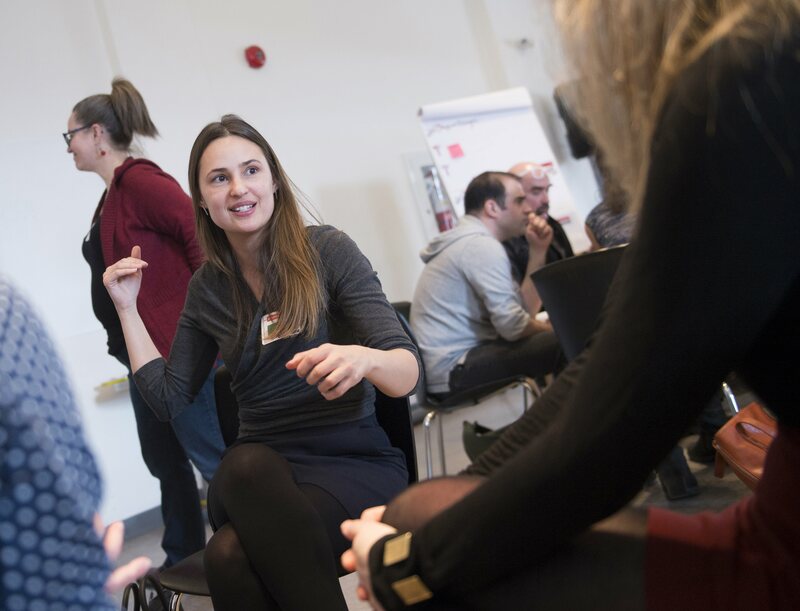 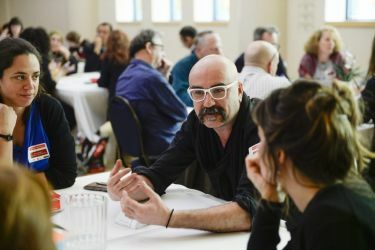 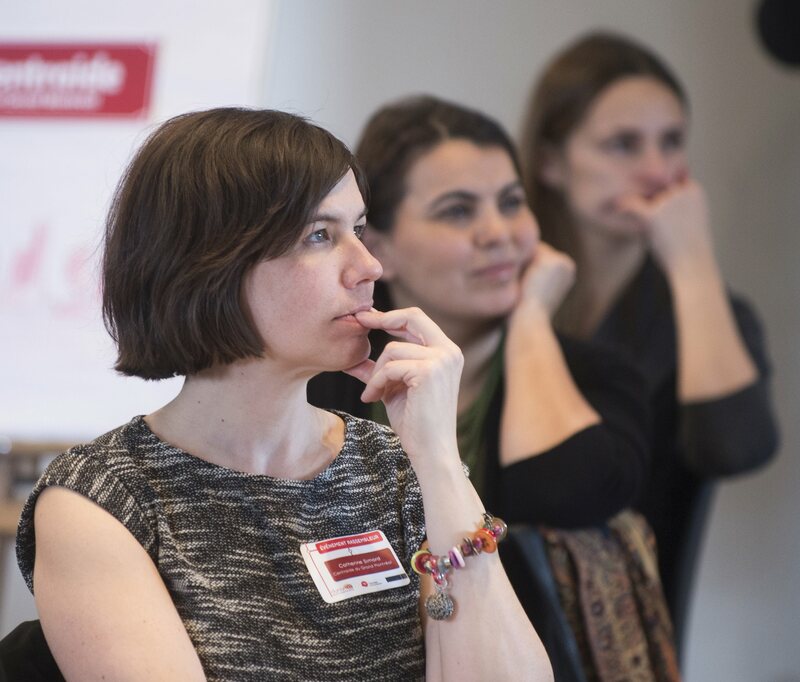 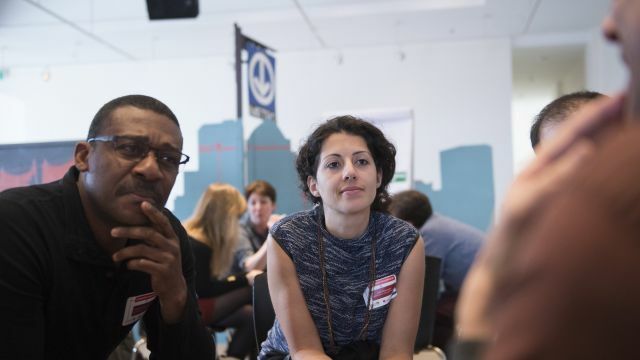 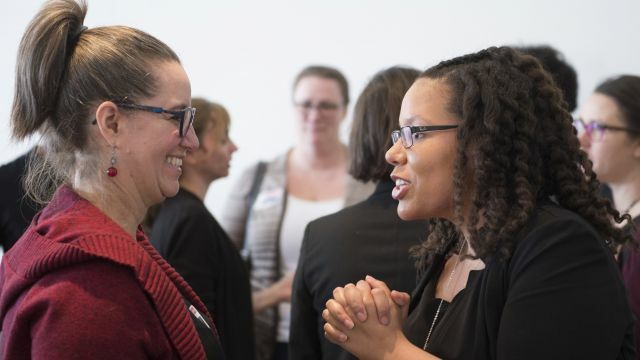 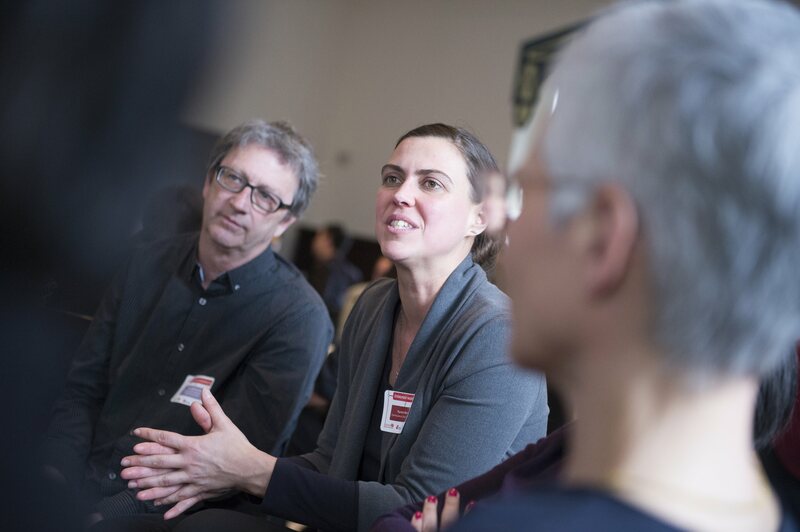 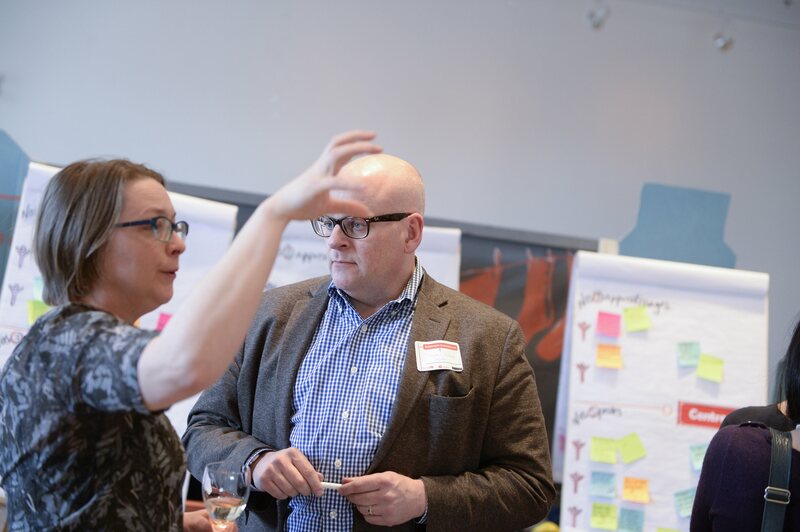 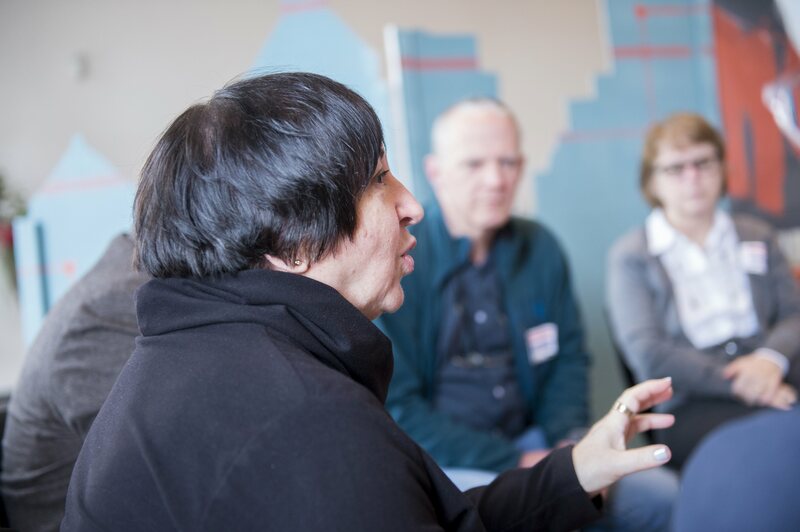 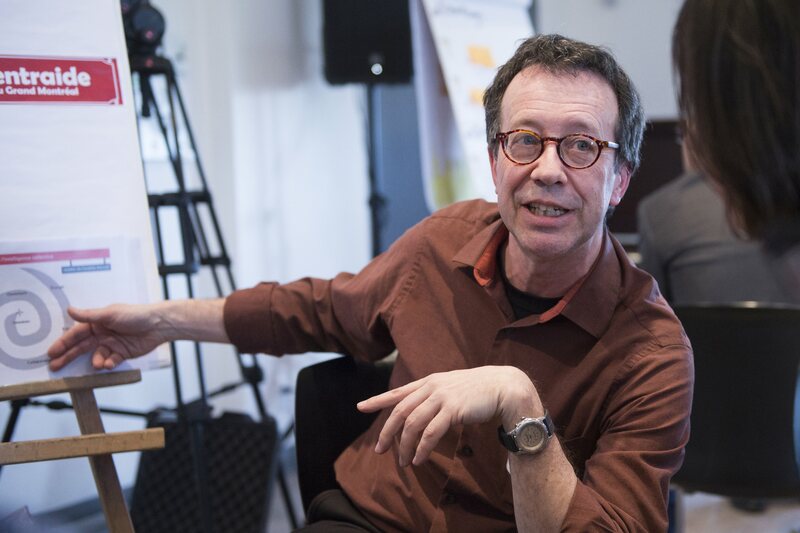 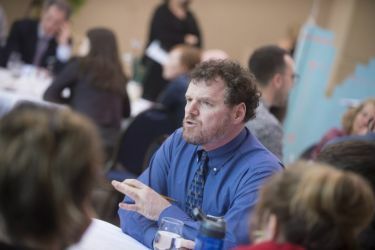 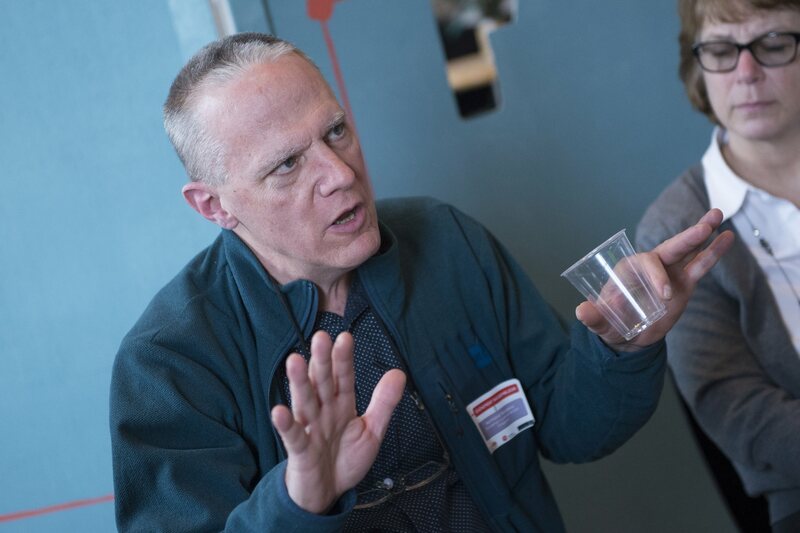 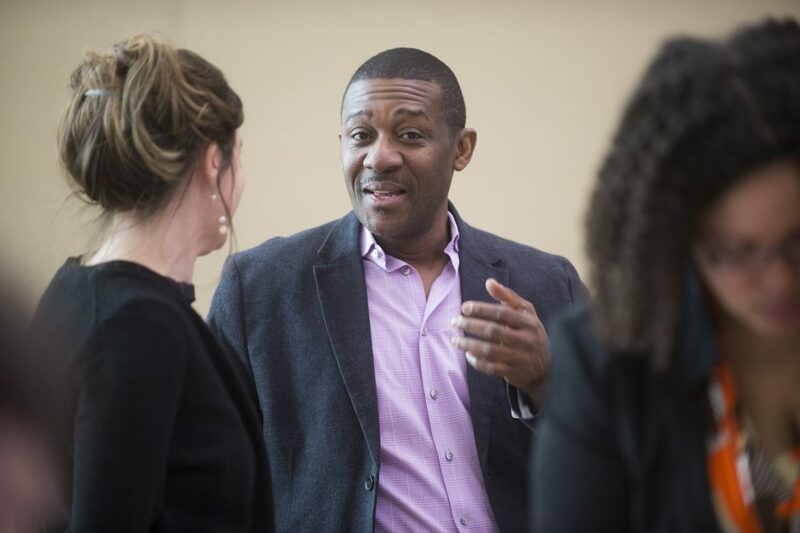 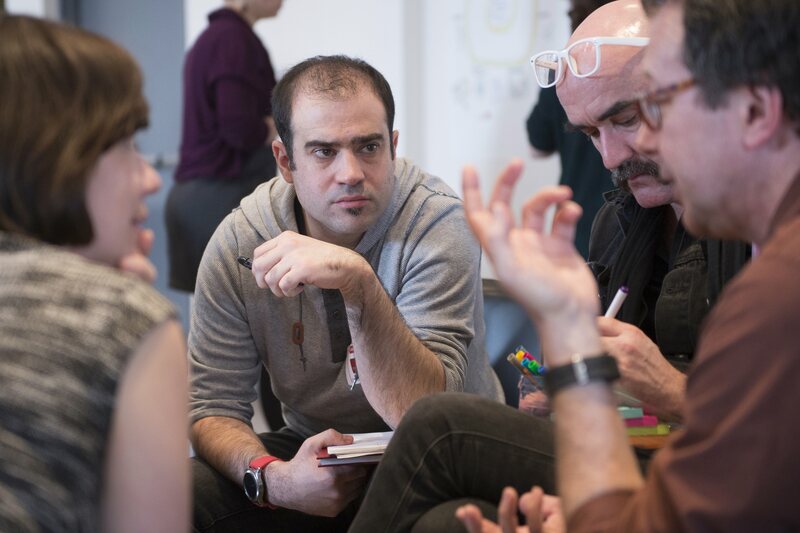 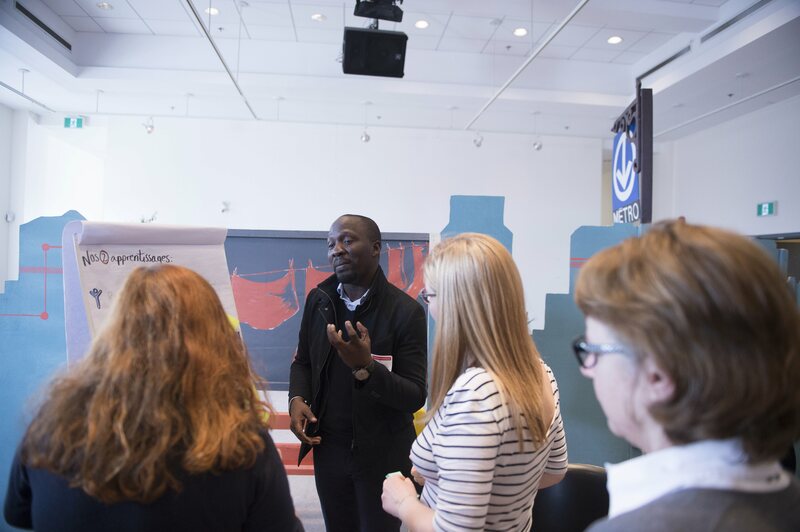 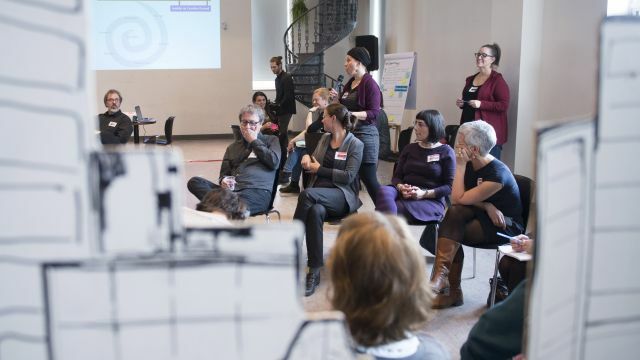 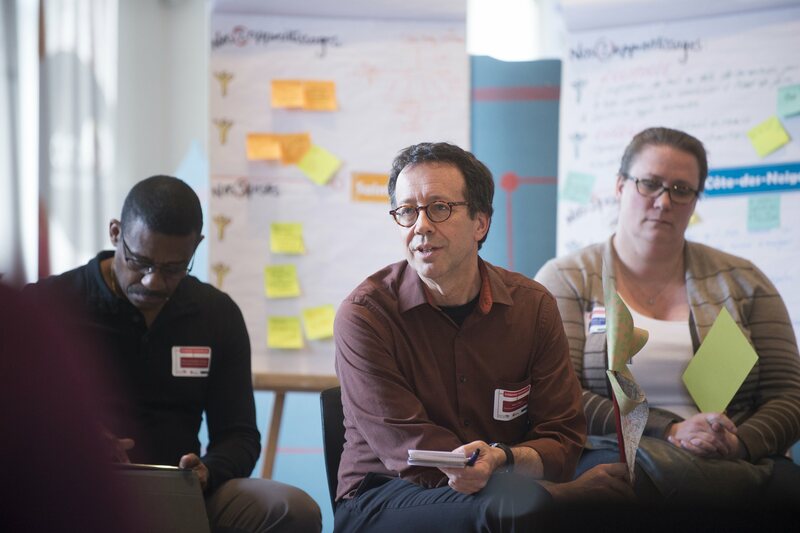 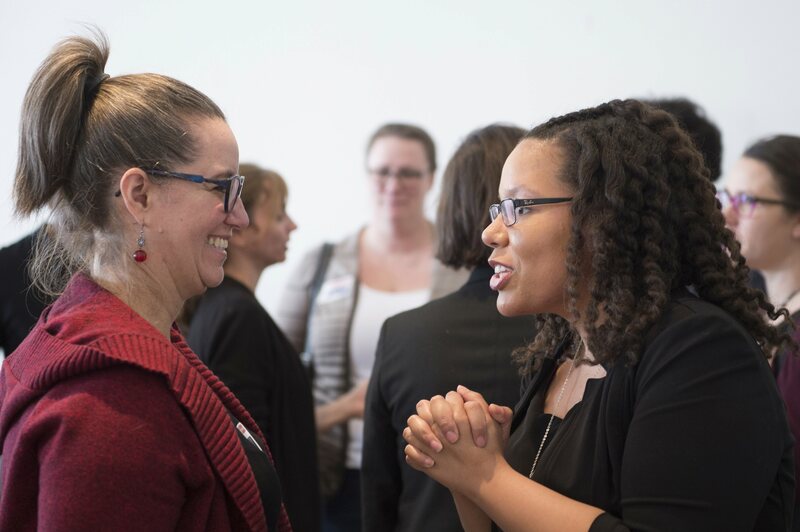 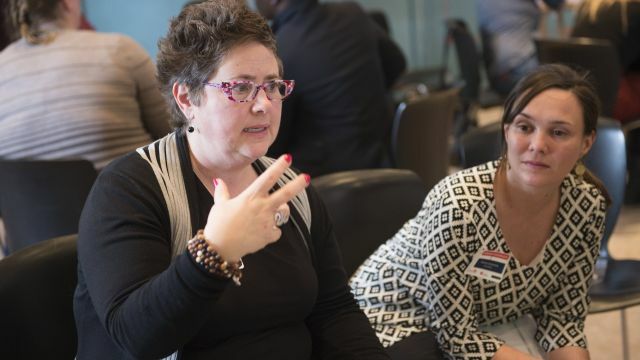 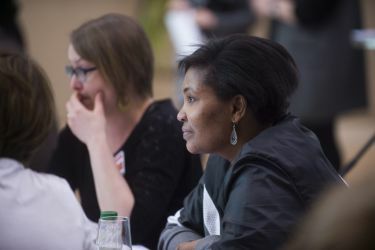 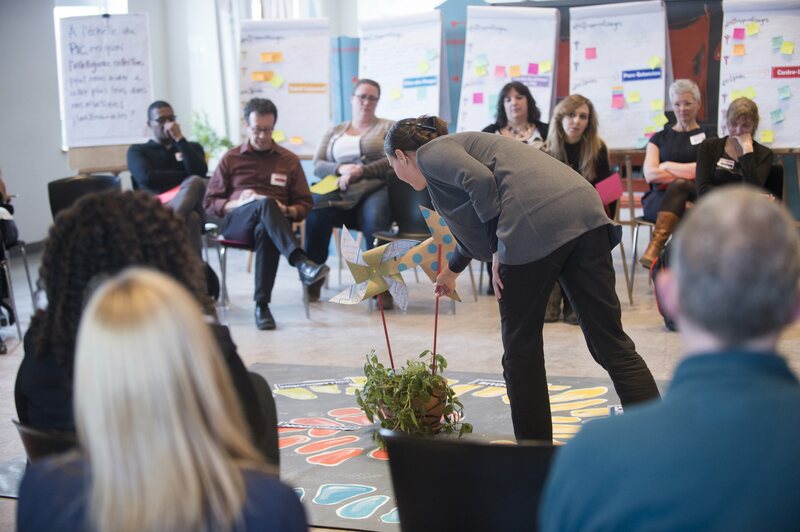 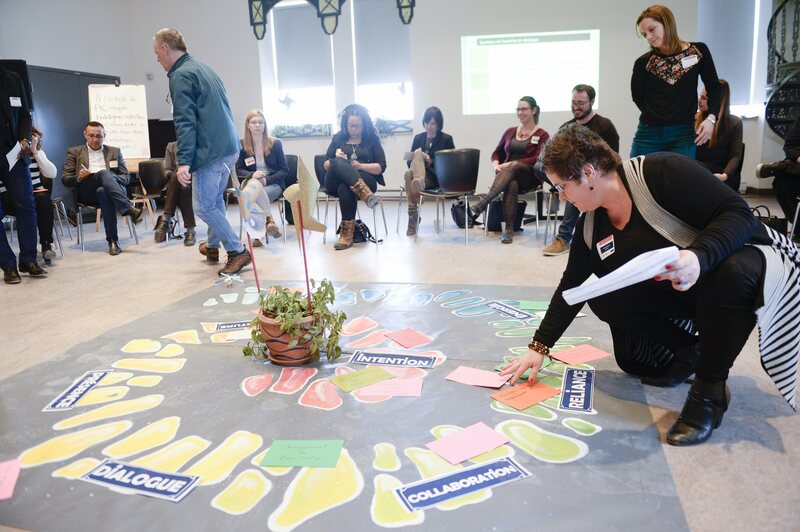 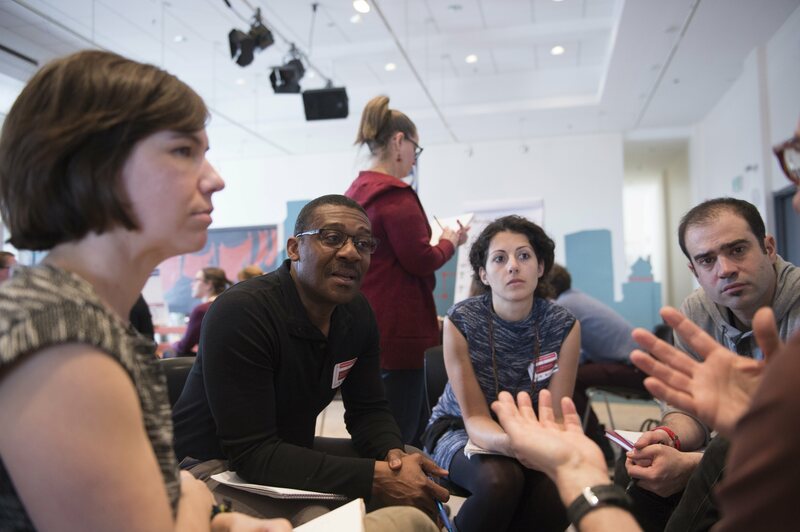 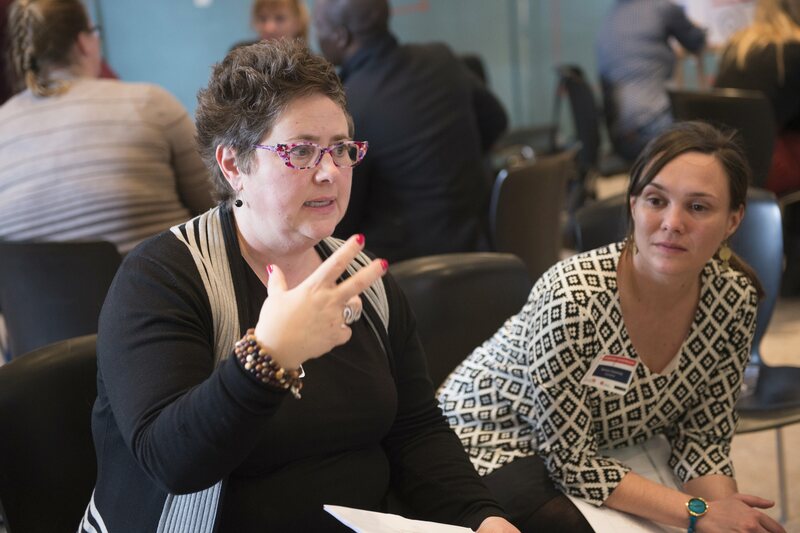 The participants were then invited to learn how to apply this model by discussing how the lessons they learned in the past year relate to collective intelligence conditions and the work that lies ahead. 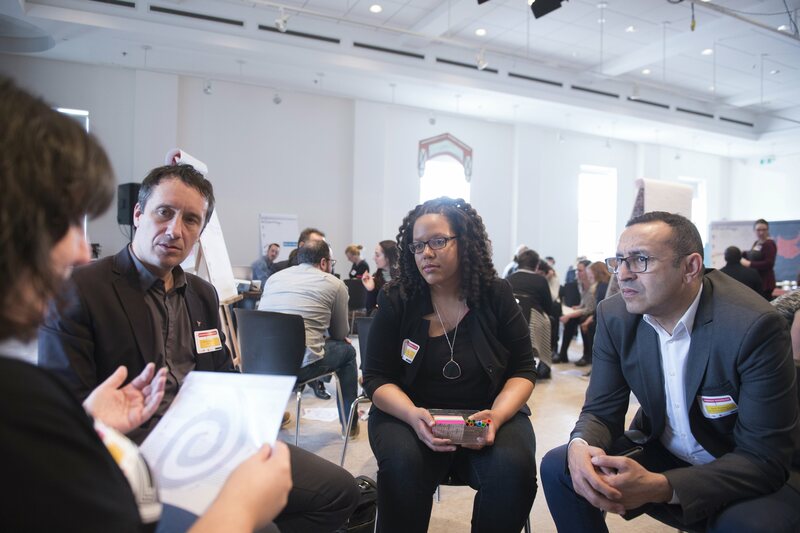 Finally, as part of a free-flowing Bohm dialogue, everyone identified how they could use collective intelligence to improve CIP partnerships. Thank you very much to everyone who generously participated in this event! 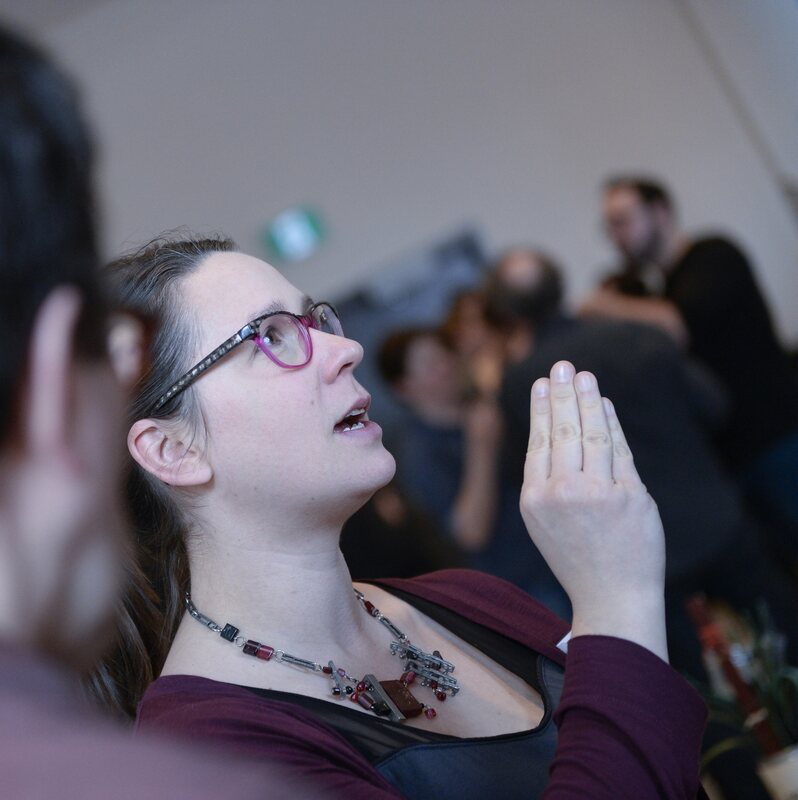 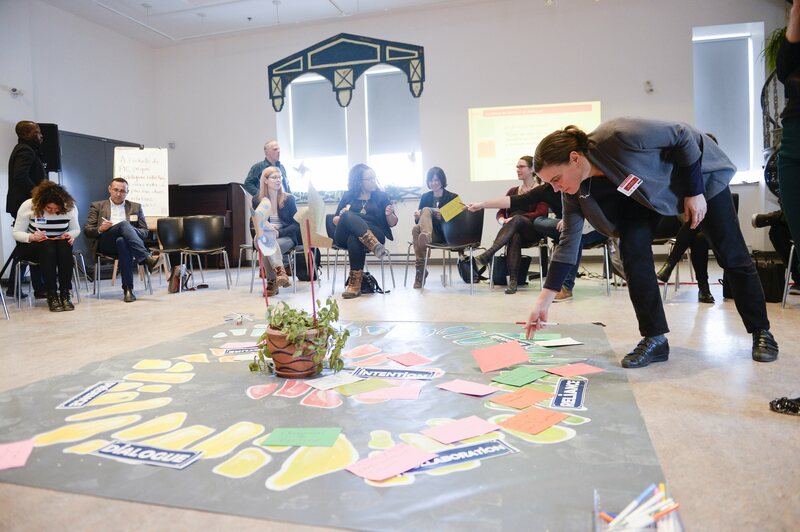 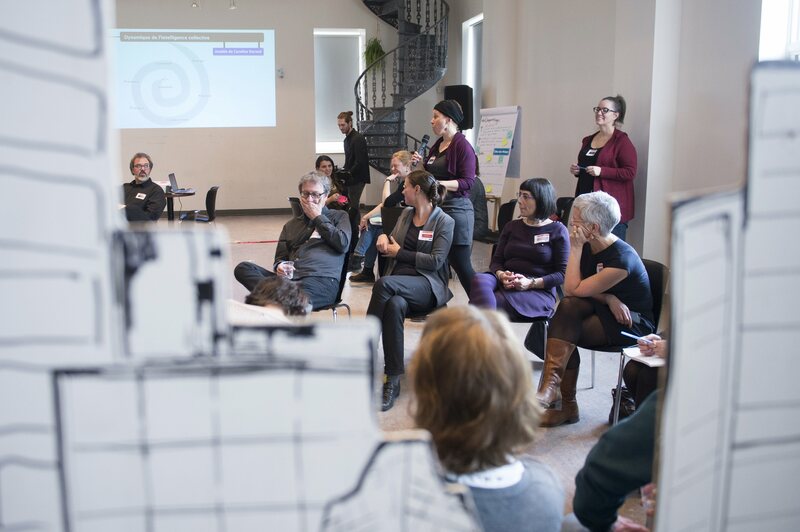 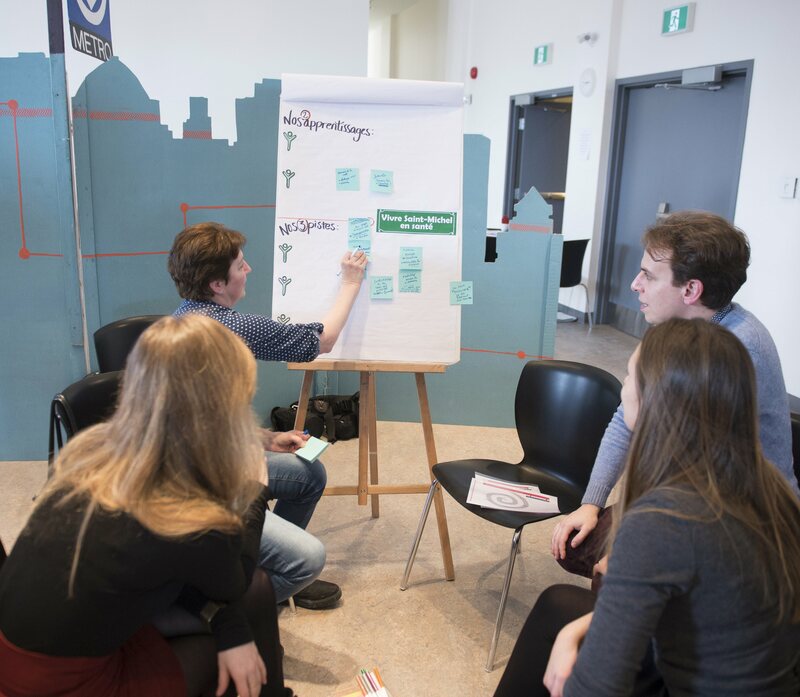 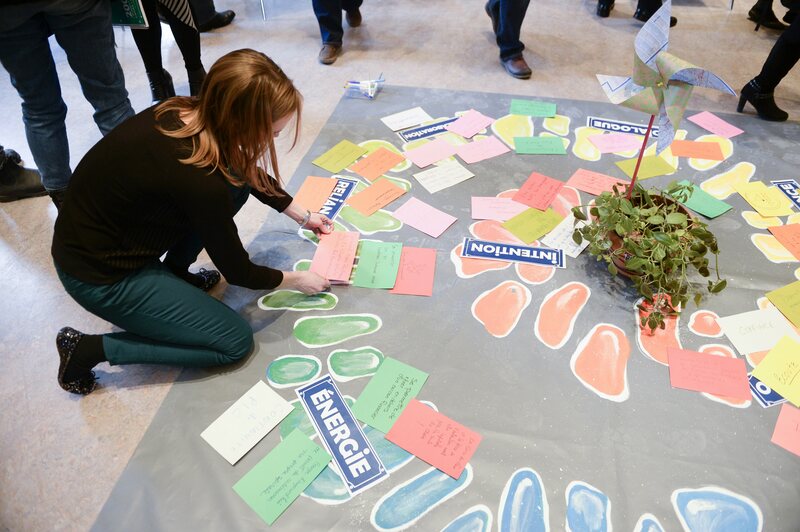 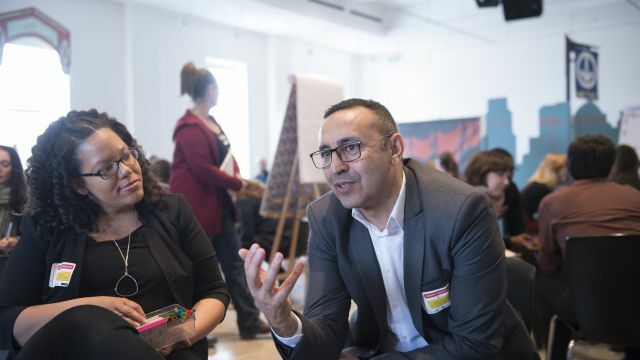 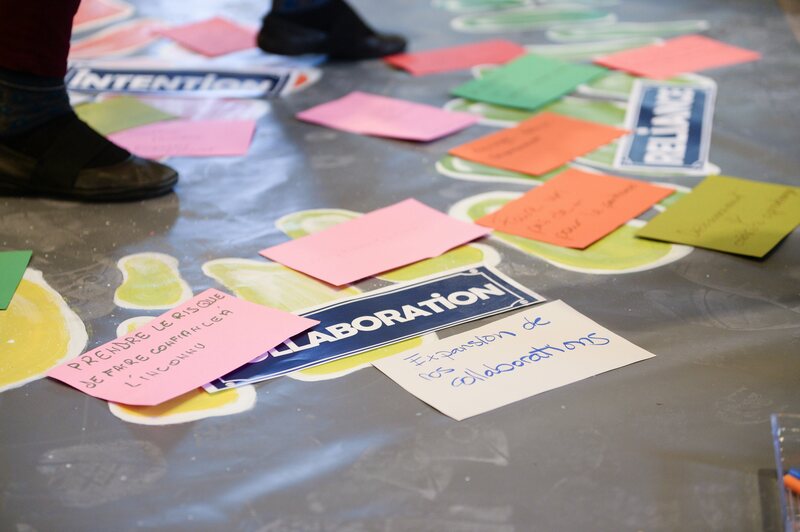 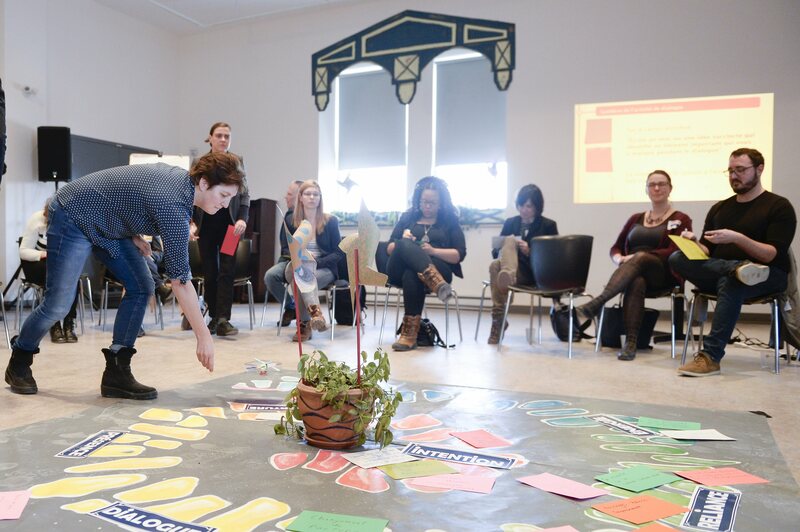 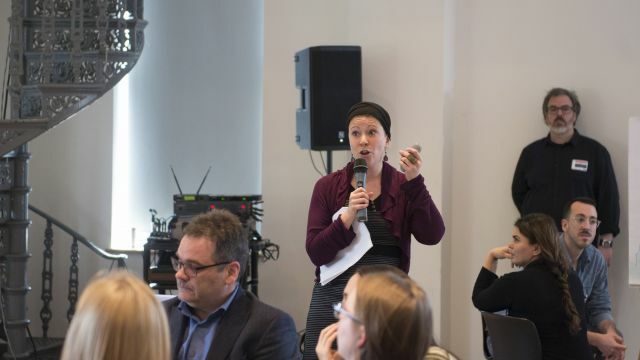 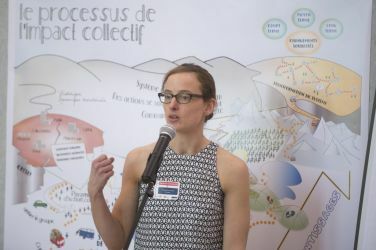 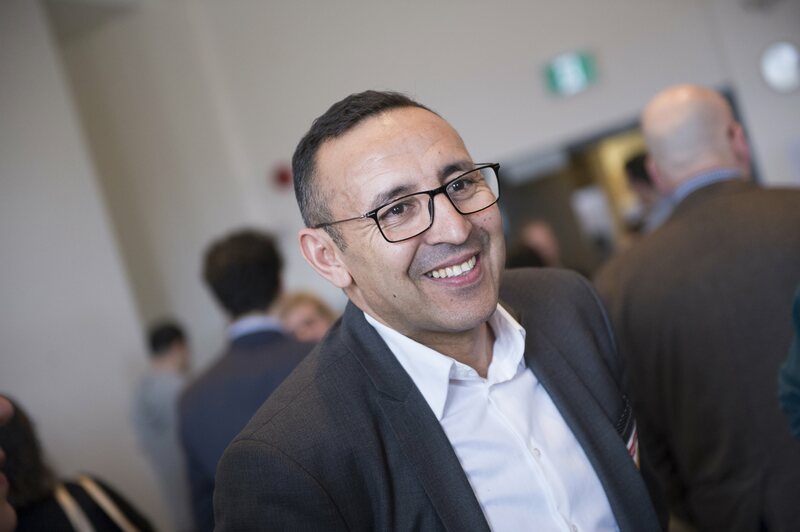 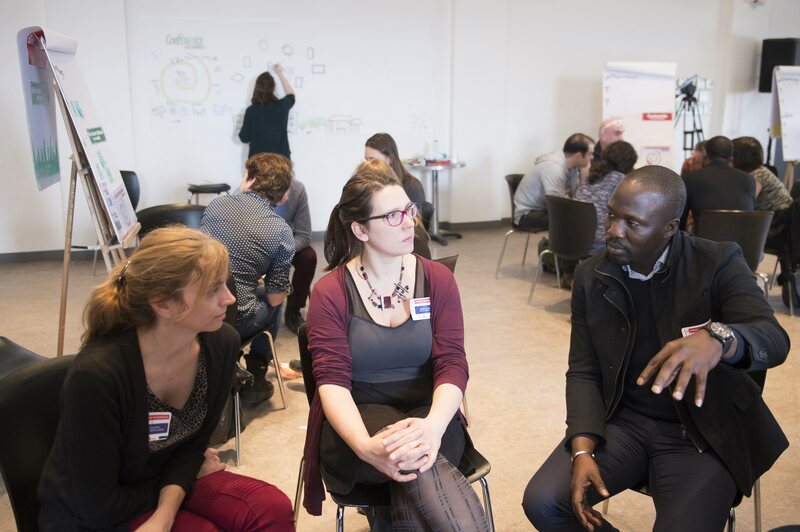 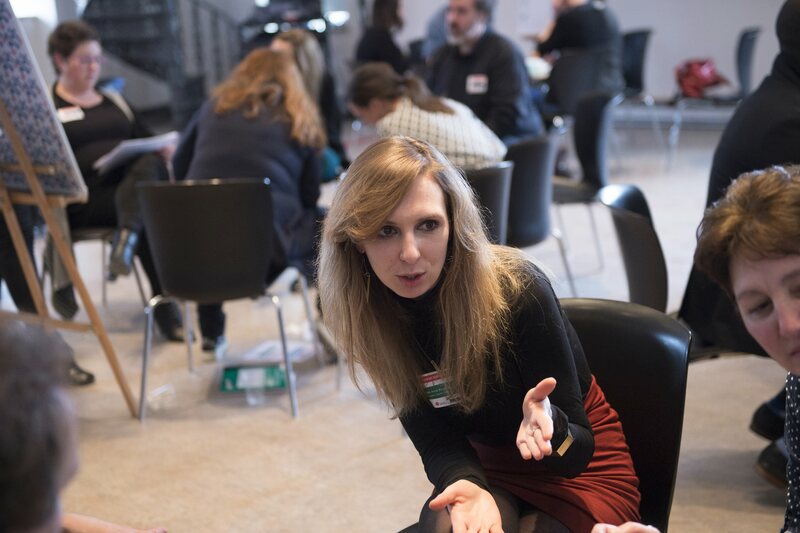 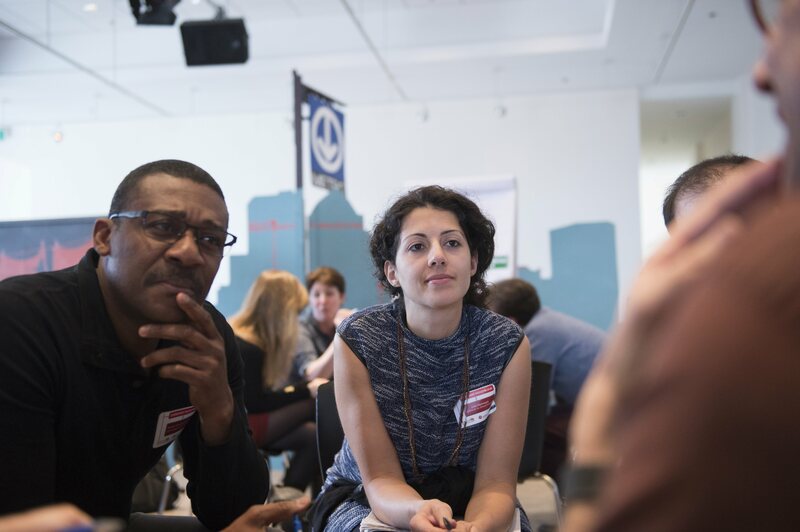 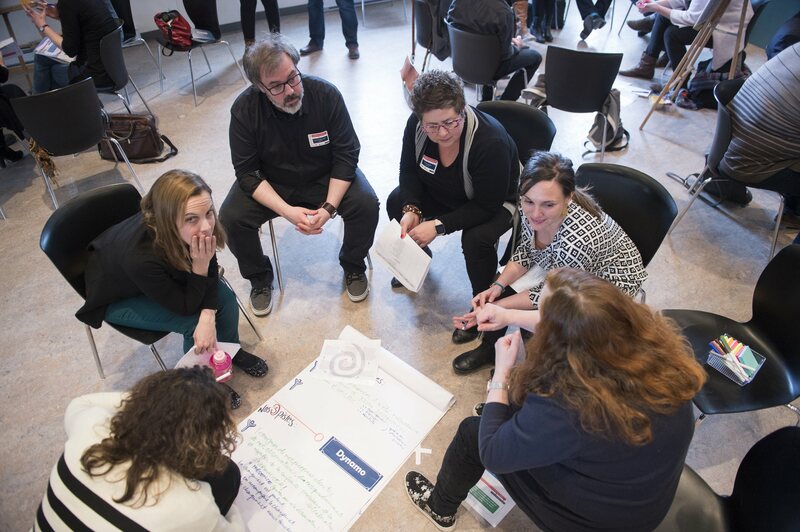 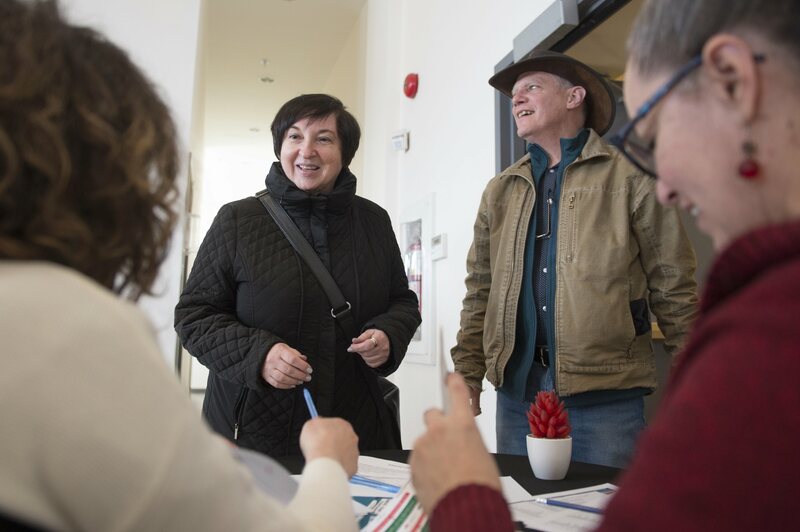 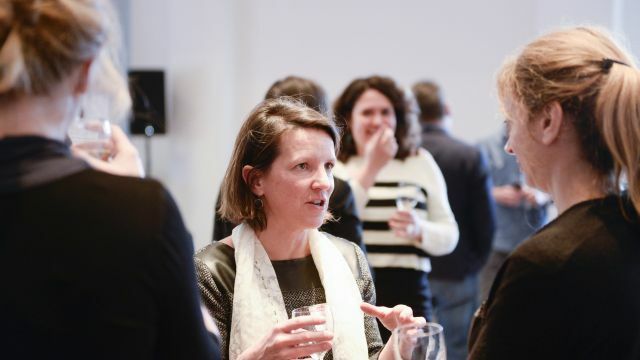 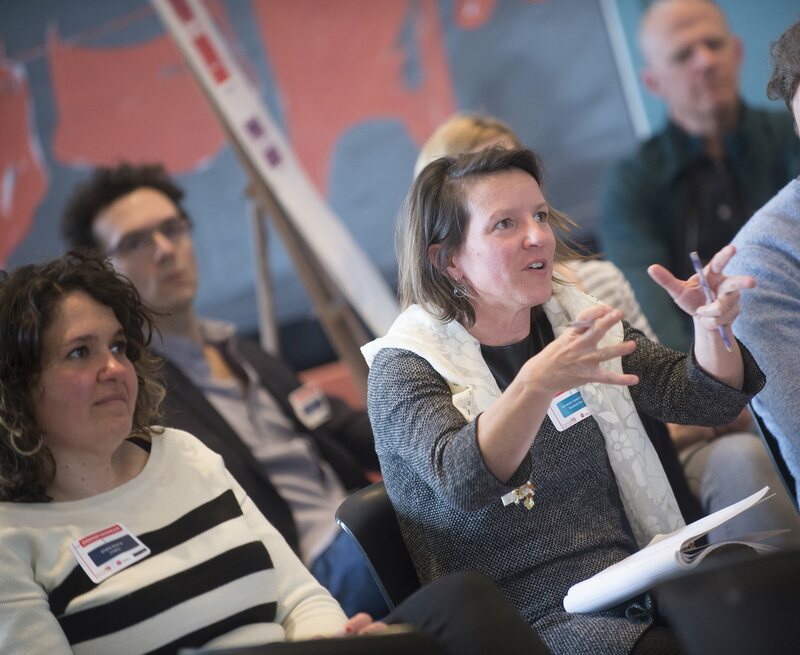 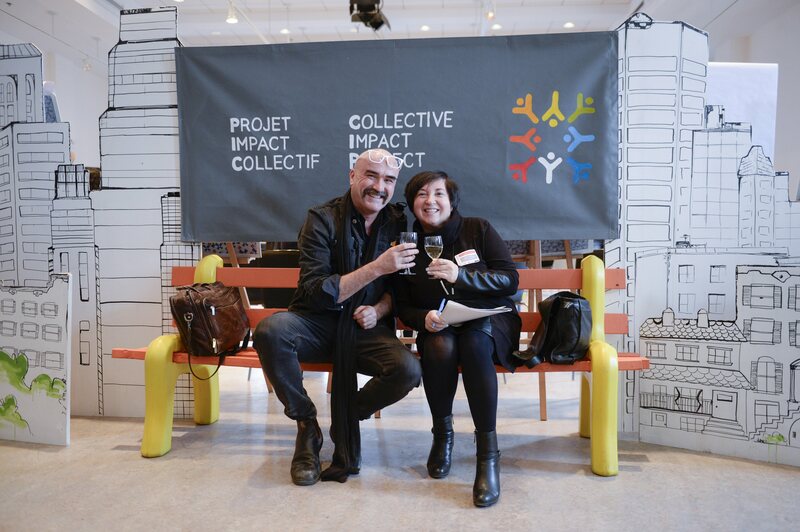 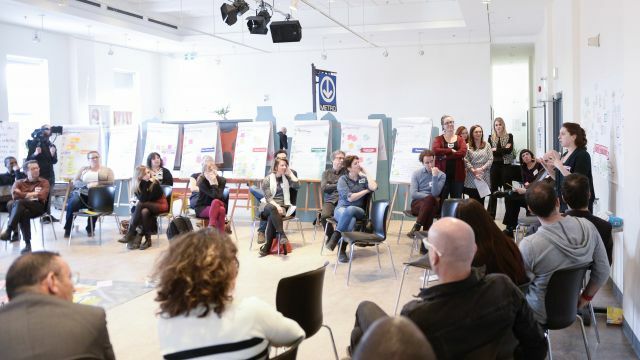 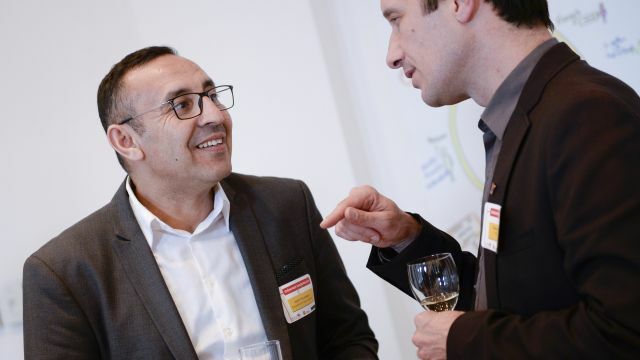 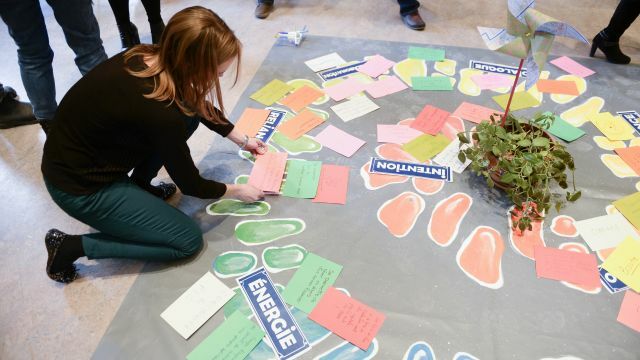 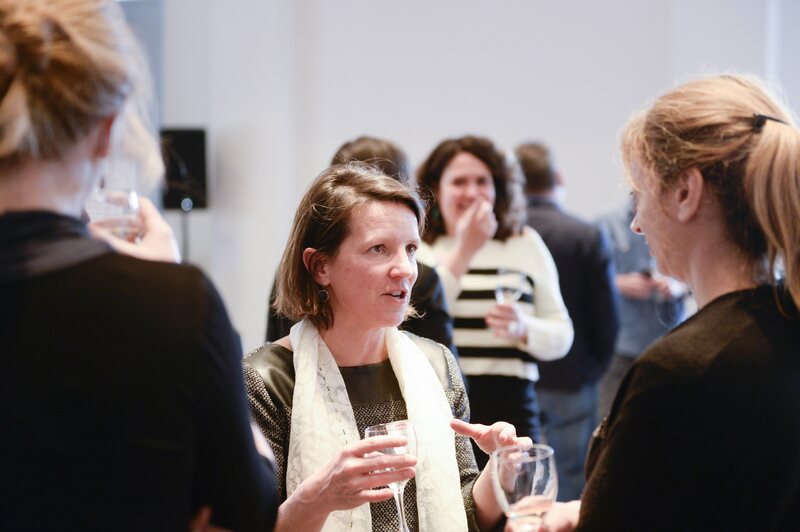 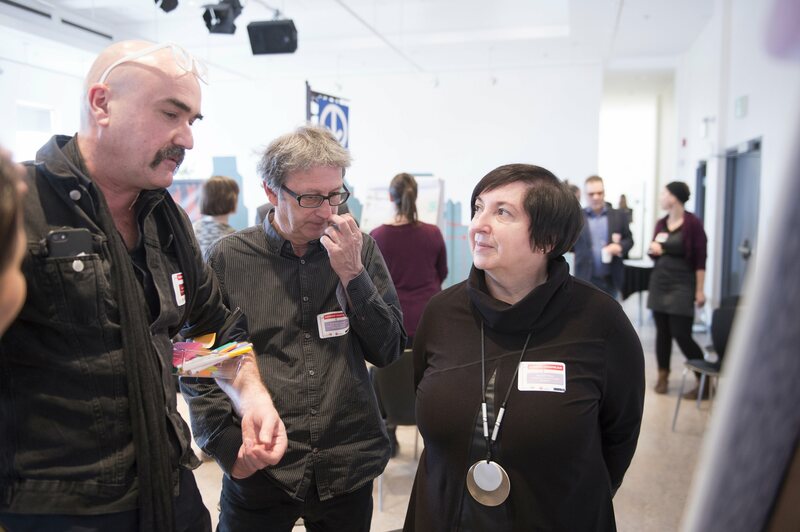 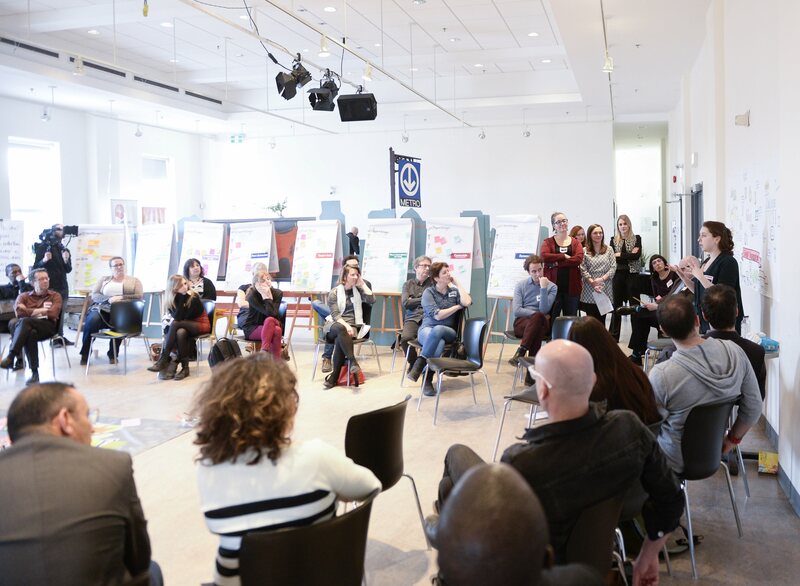 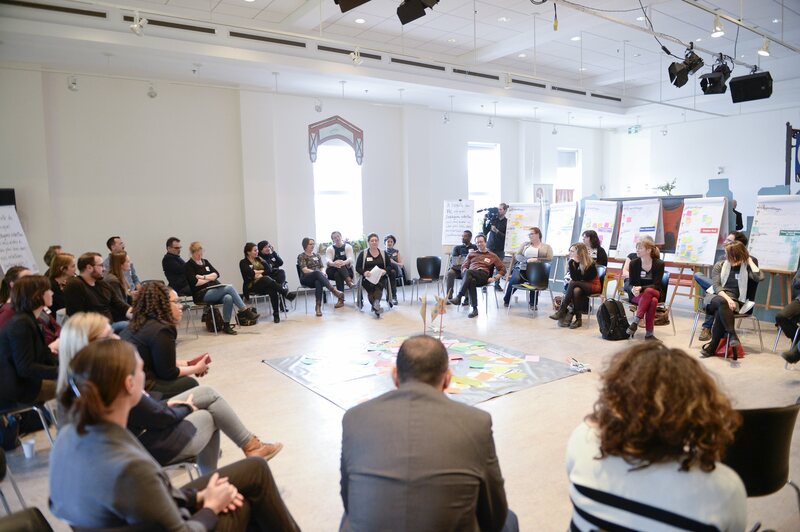 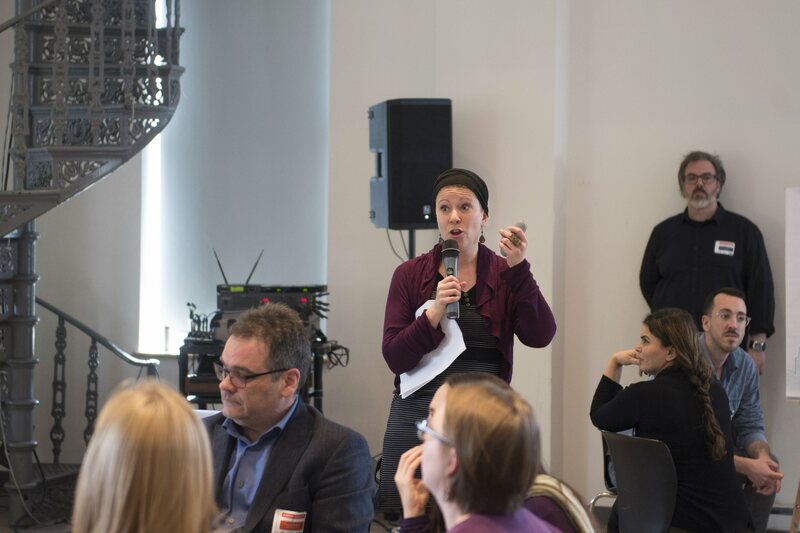 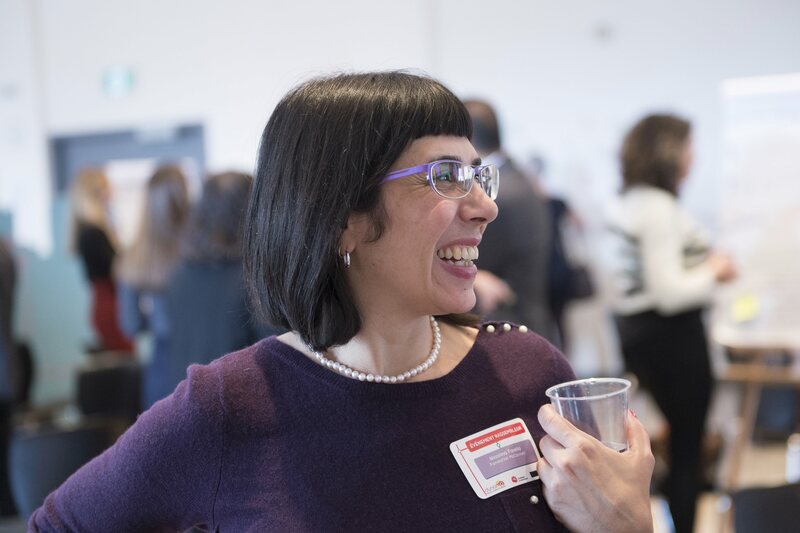 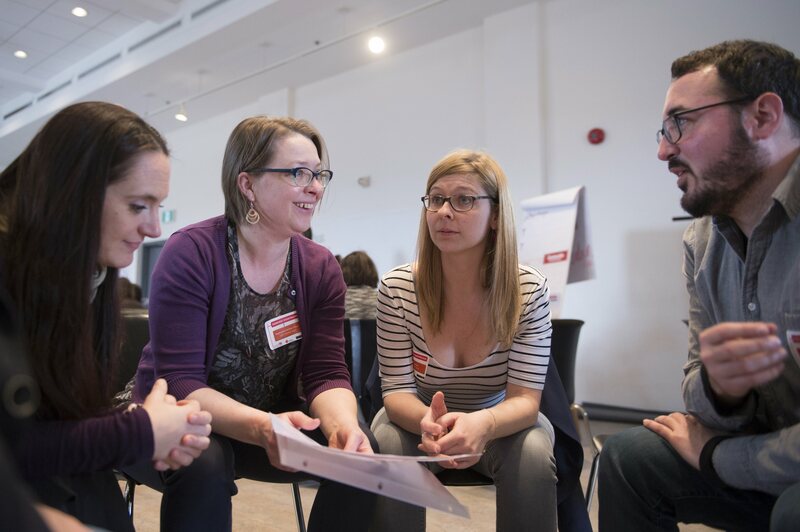 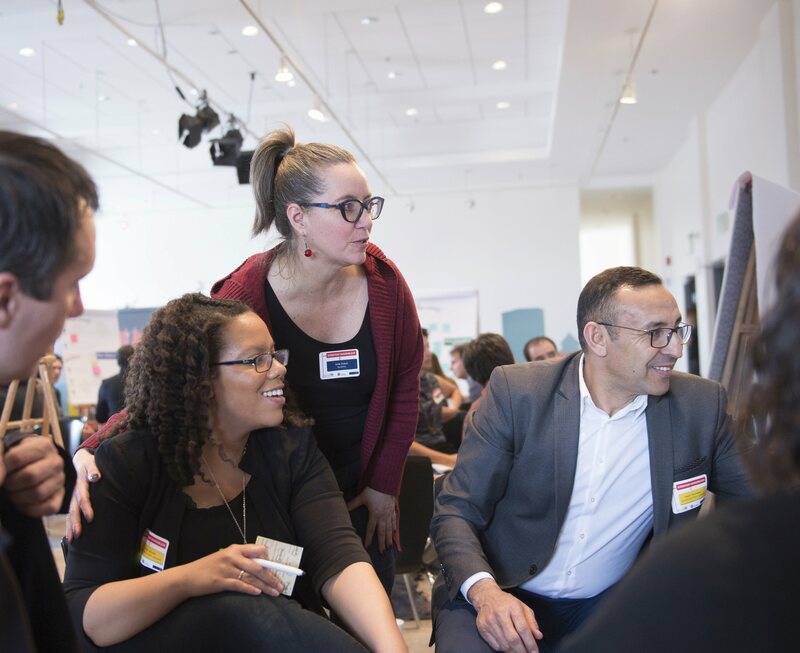 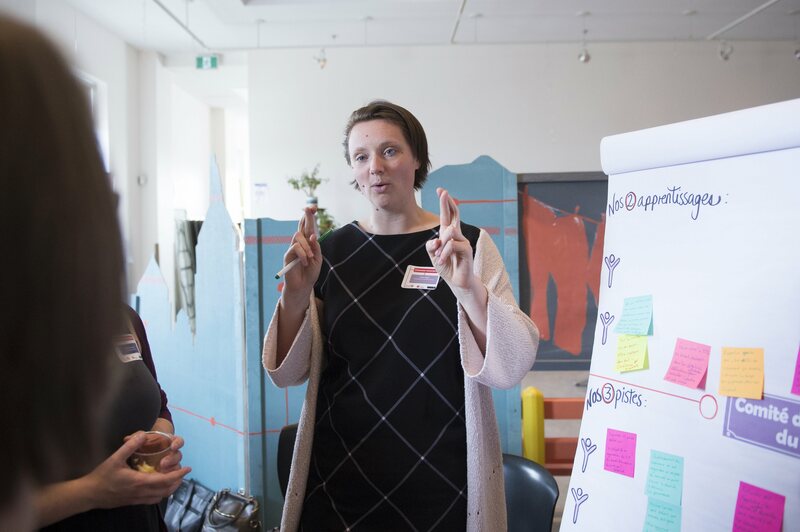 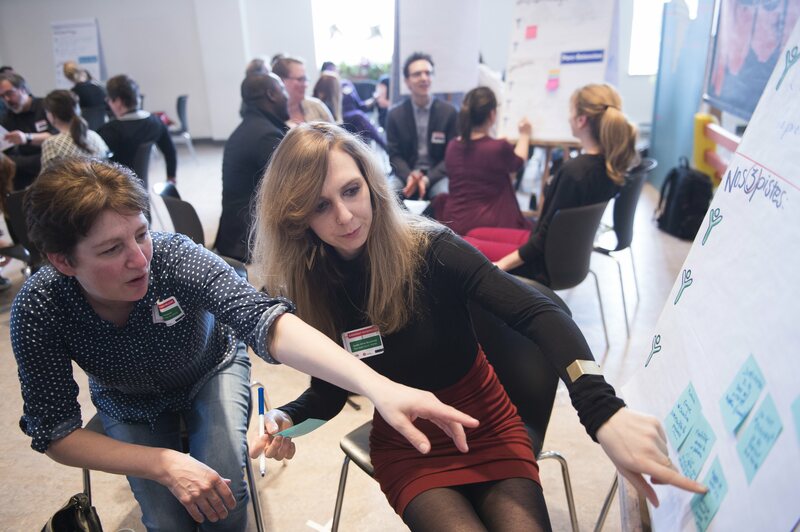 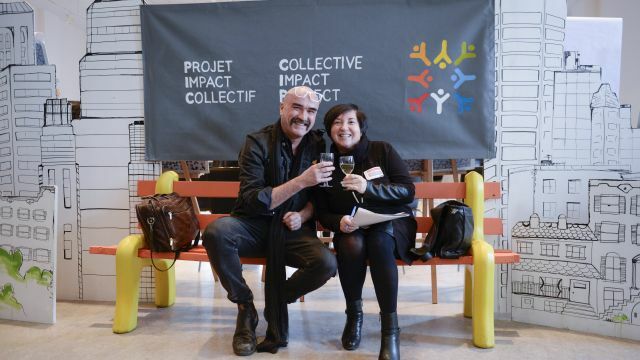 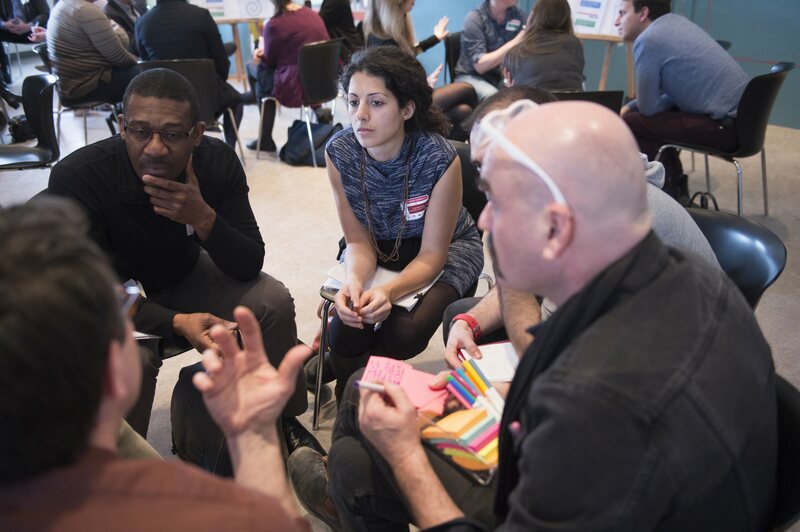 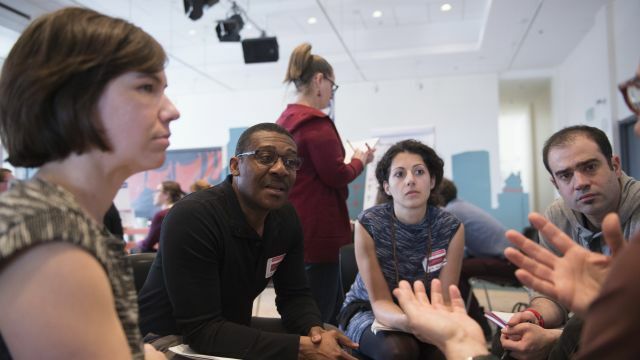 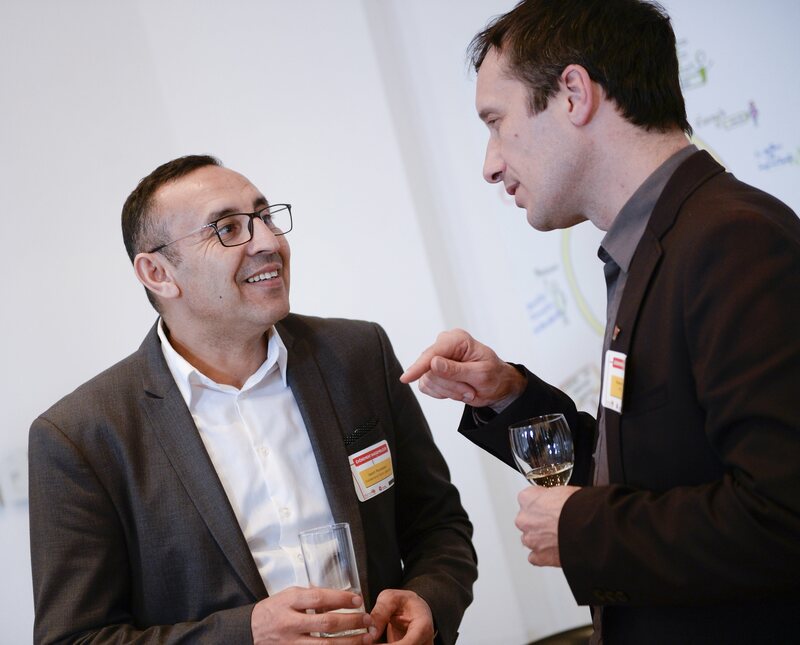 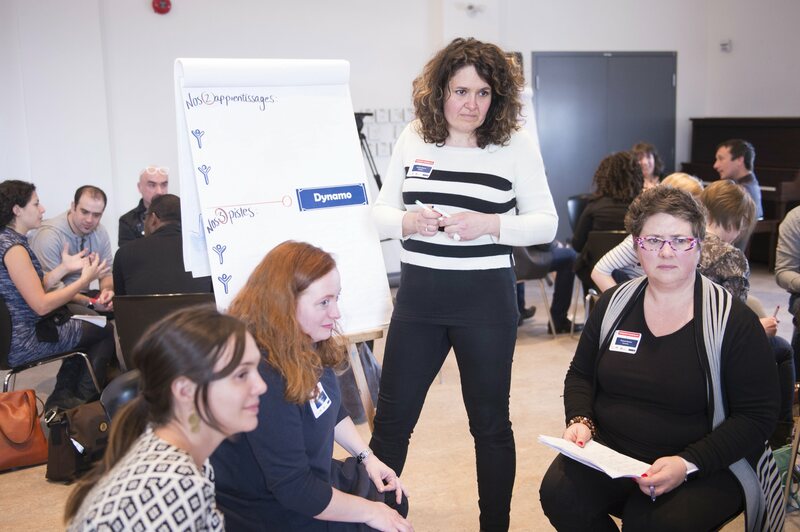 On March 30, 2018, Dynamo – Ressource en mobilisation des collectivités organized a first event to bring people together to talk about the Collective Impact Project (CIP). 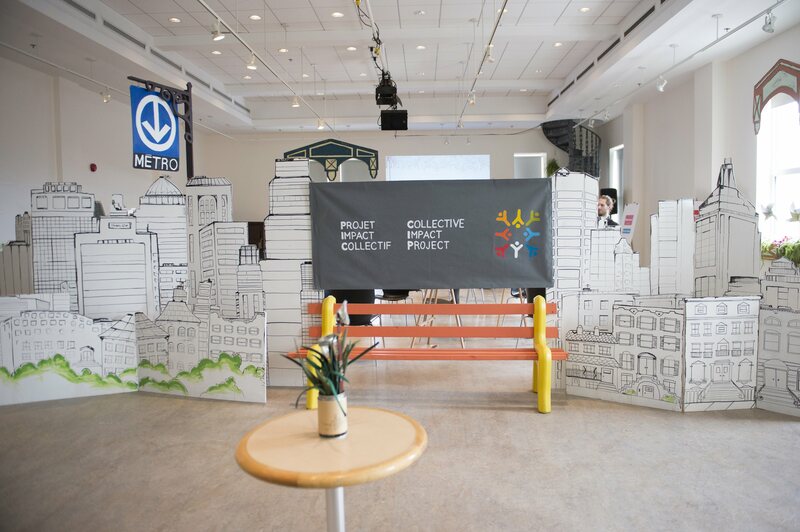 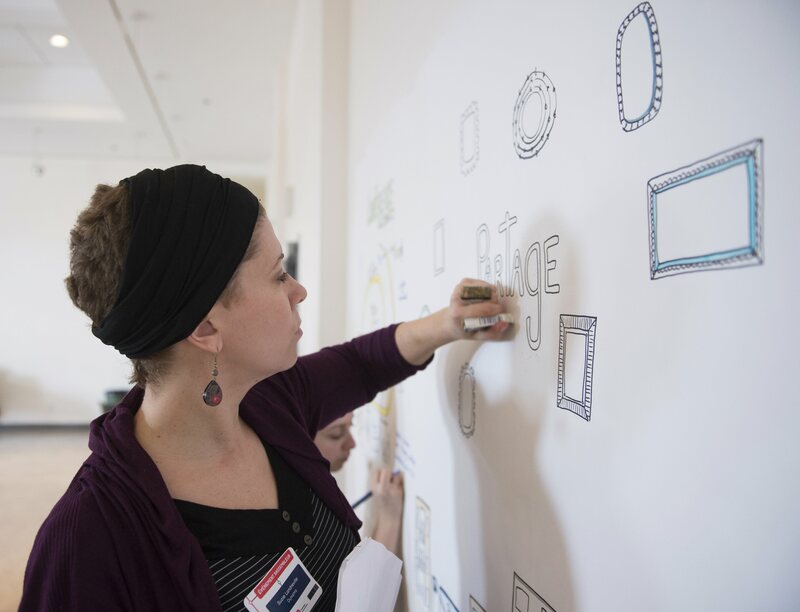 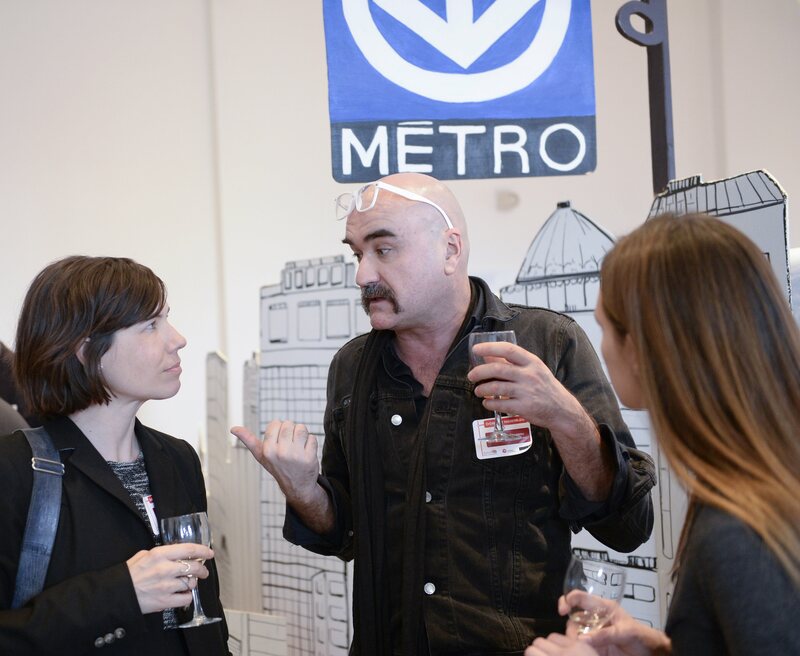 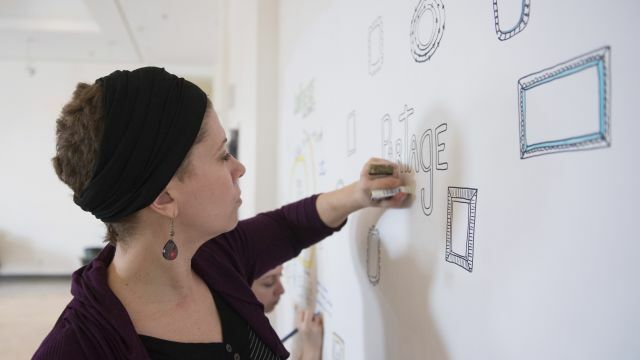 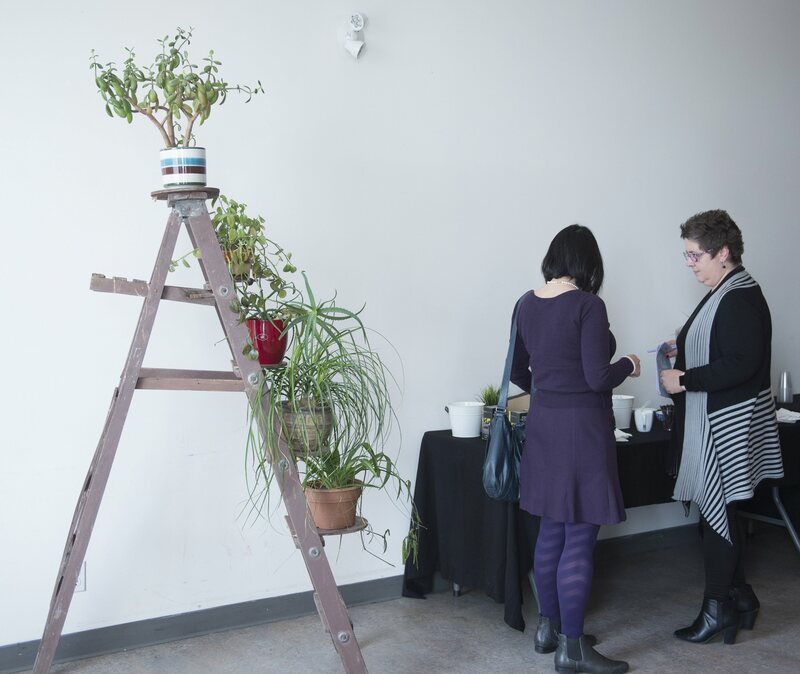 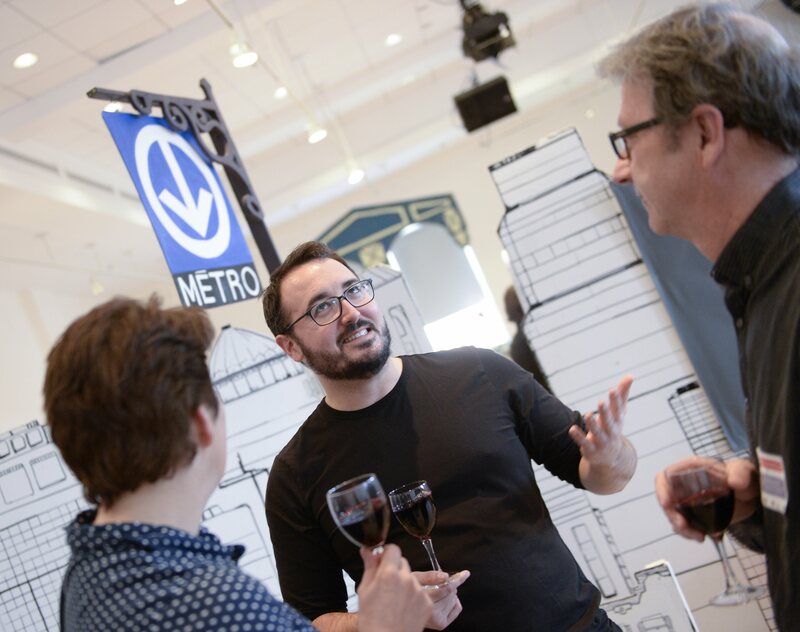 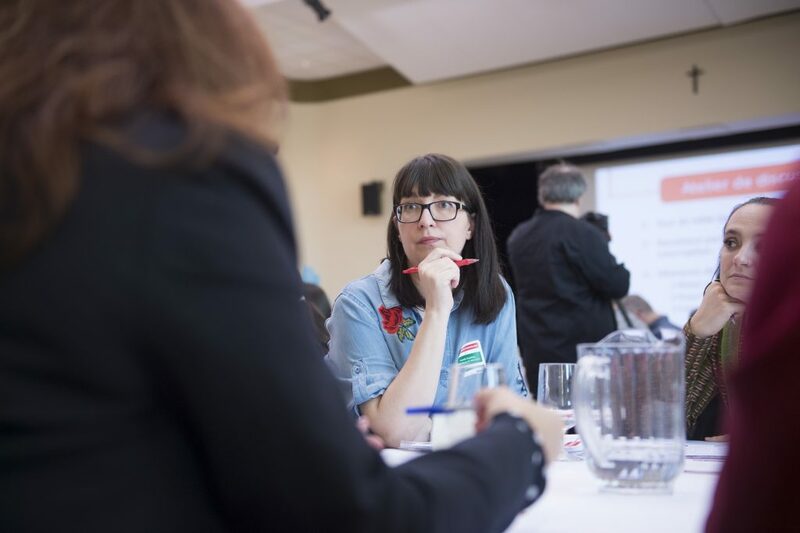 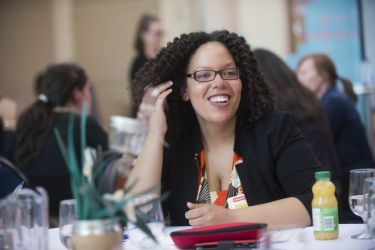 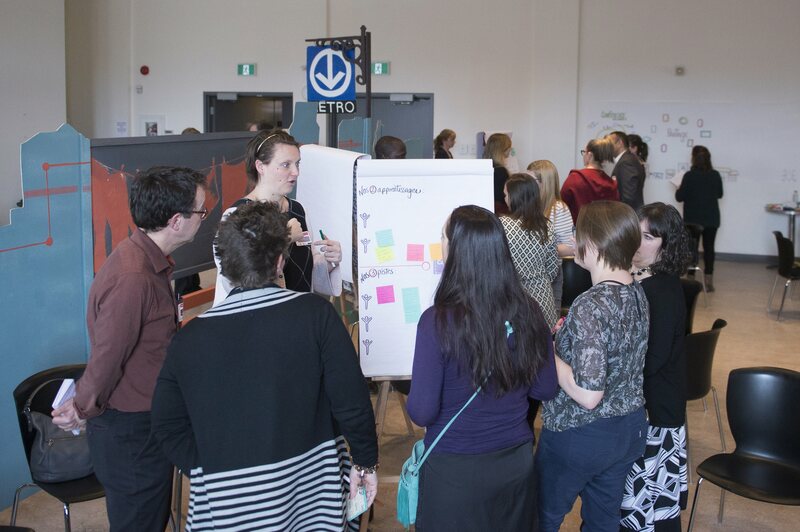 As the event organizer, Dynamo wanted to create an open and inspiring space to stimulate conversations so that people could get ready for the second year of the CIP. 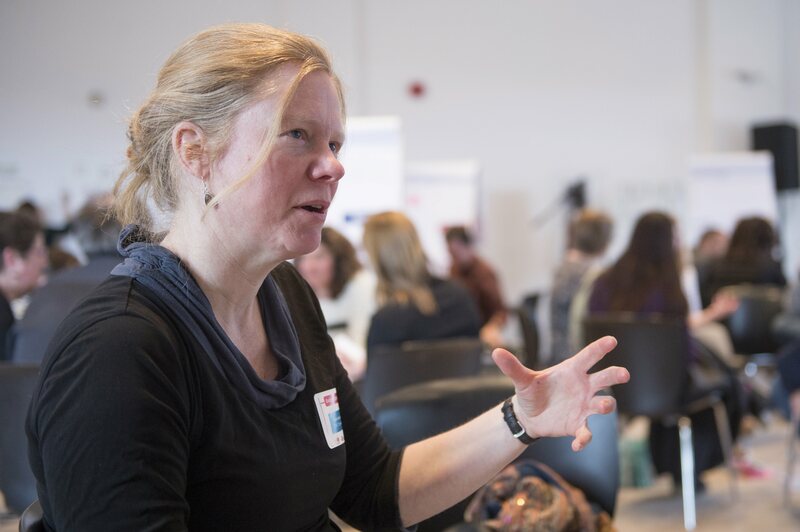 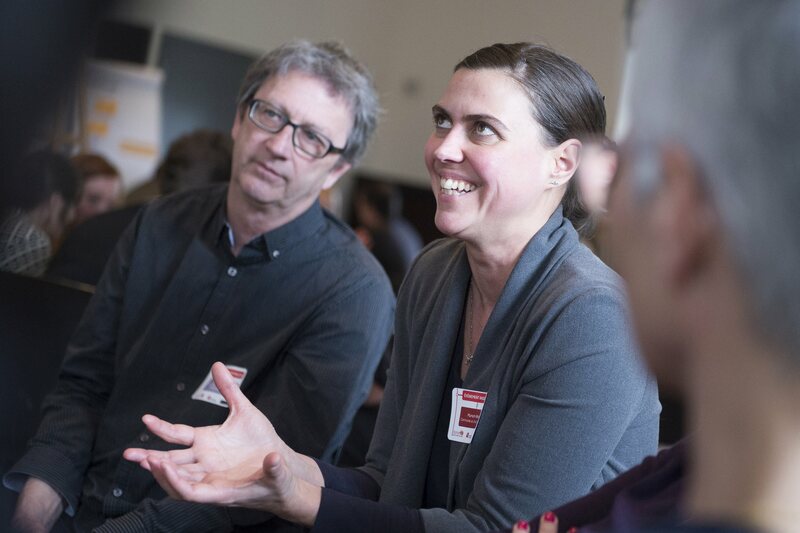 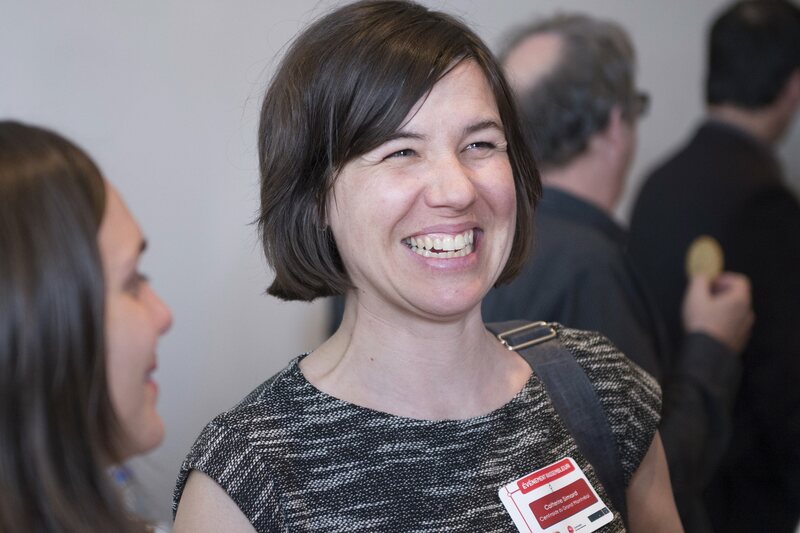 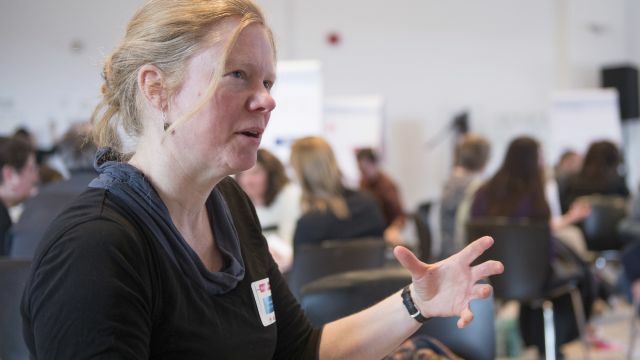 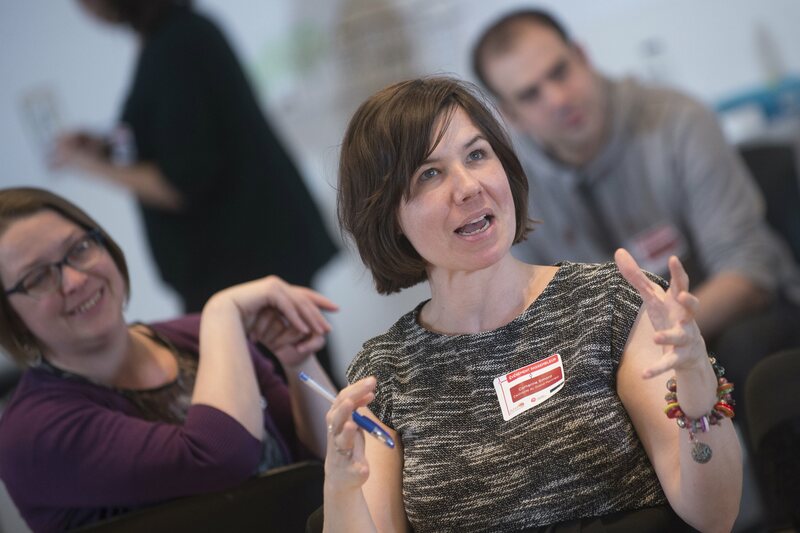 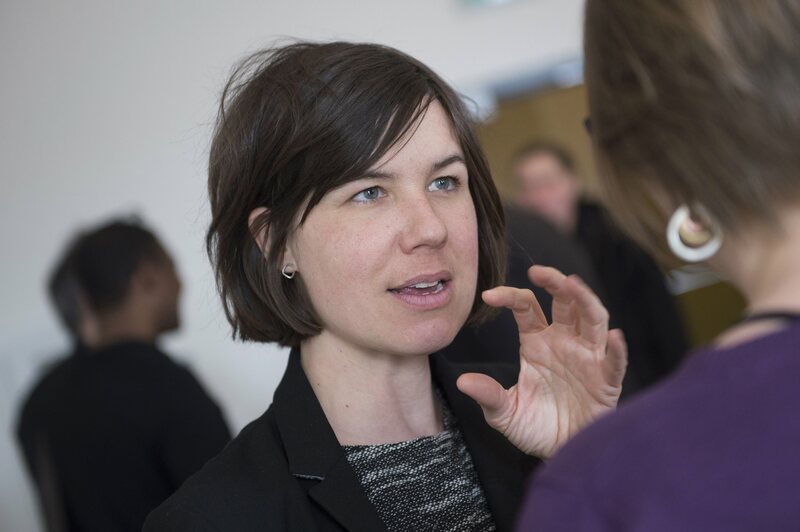 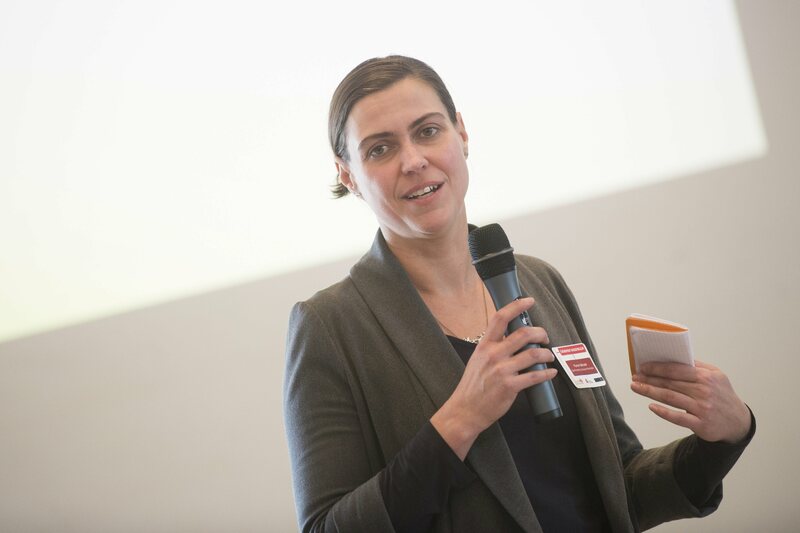 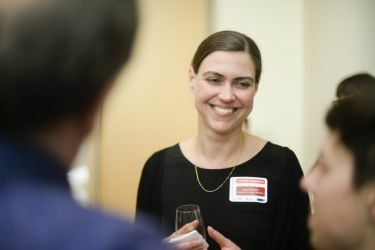 Speaker Vanessa Reid presented examples of challenges that can arise during the initial phase of any new collective project. 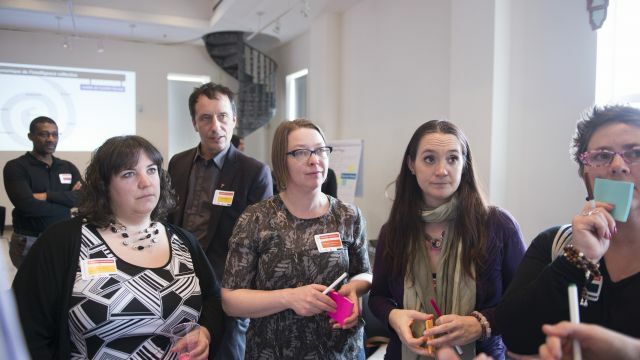 Dynamo also invited everyone to talk about the history of the CIP from their perspective. 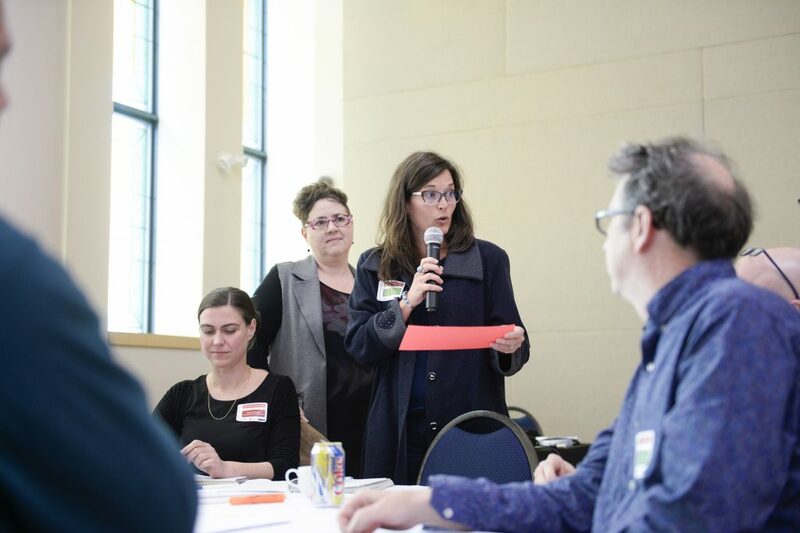 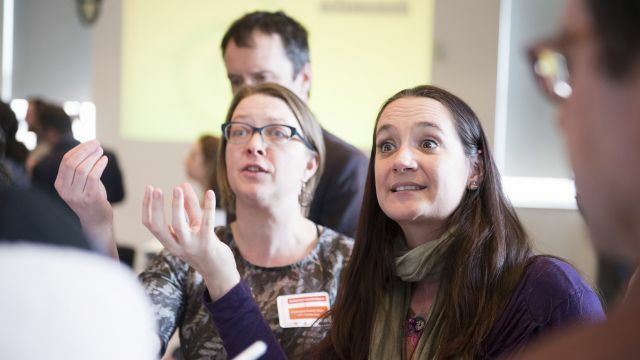 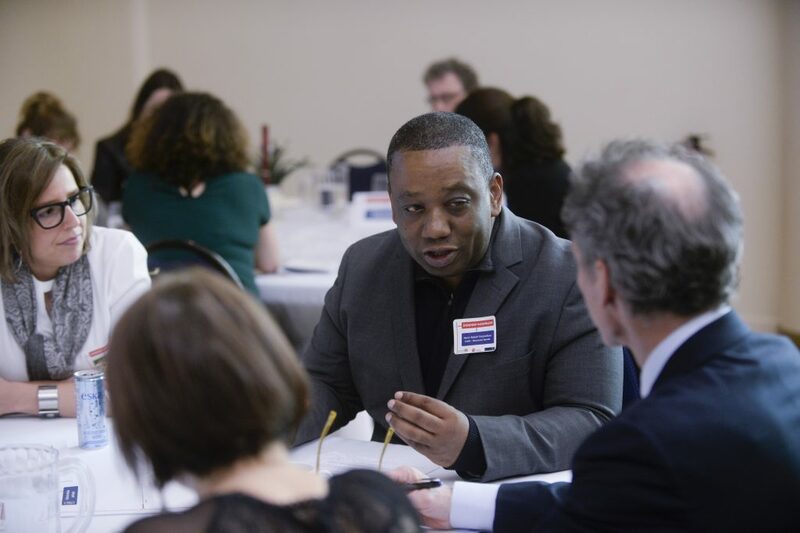 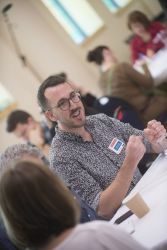 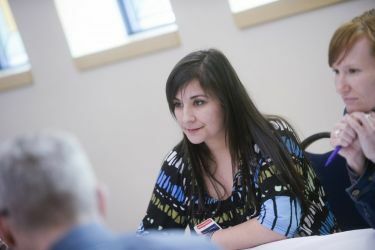 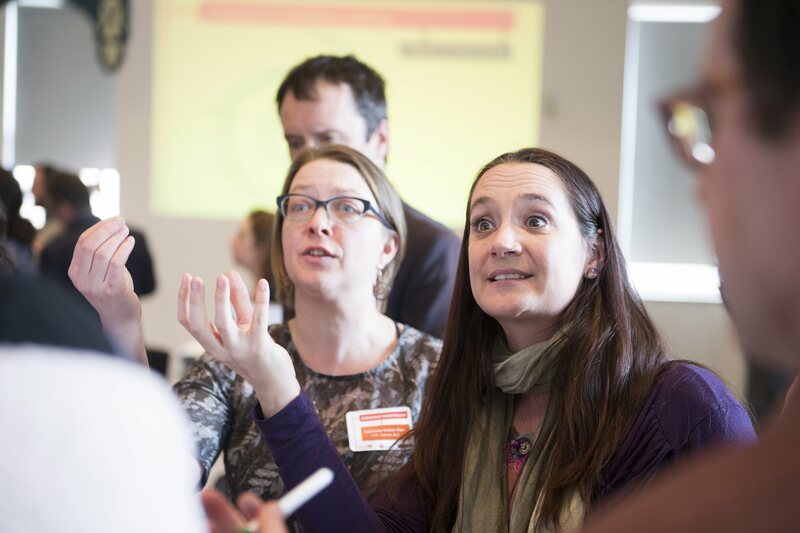 Local roundtable coordinators, Dynamo’s support staff, residents, and financial partners all had their say. 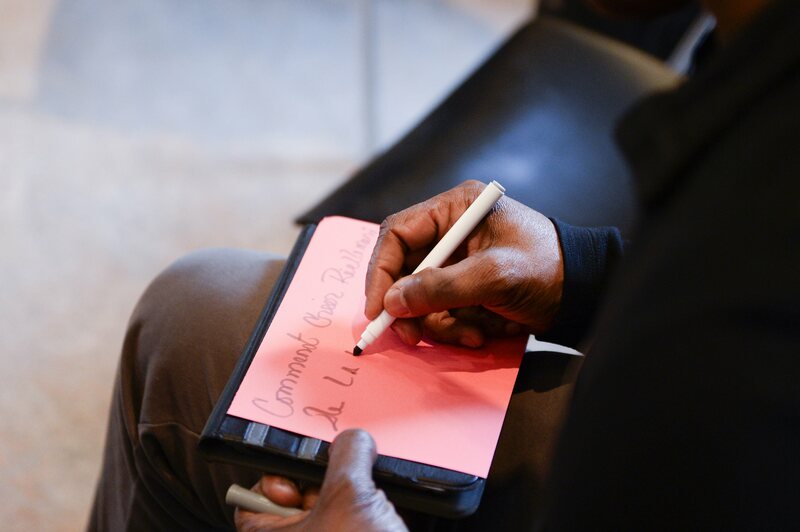 The day ended with a review of the concepts learned and the key components to remember for the rest of the project. Relive this inspiring event attended by local stakeholders, residents, agency staff and other regional partners who are involved in the CIP.